Three-row crossover aces small-overlap frontal crash test. 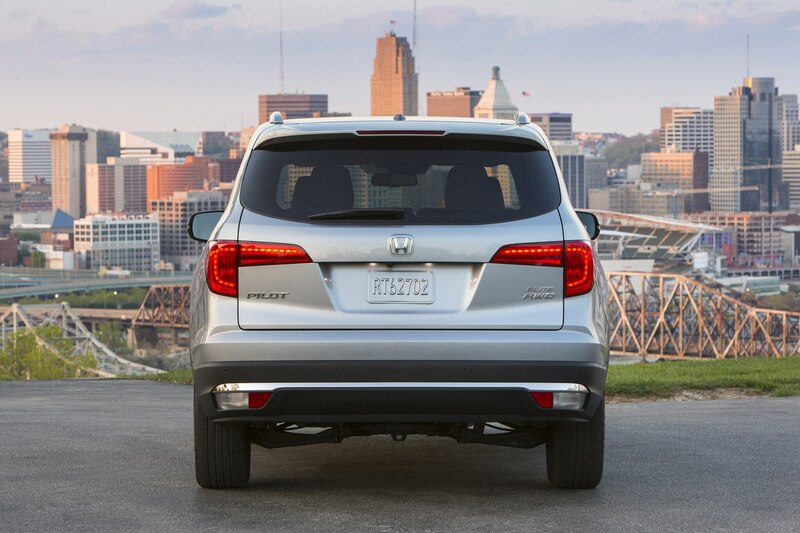 Honda’s all-new 2016 Pilot midsize, three-row crossover has nabbed the Insurance Institute for Highway Safety’s Top Safety Pick+ rating, along with the National Highway Traffic Safety Administration’s highest crash-test ratings, when equipped with optional semi-autonomous accident prevention technologies. 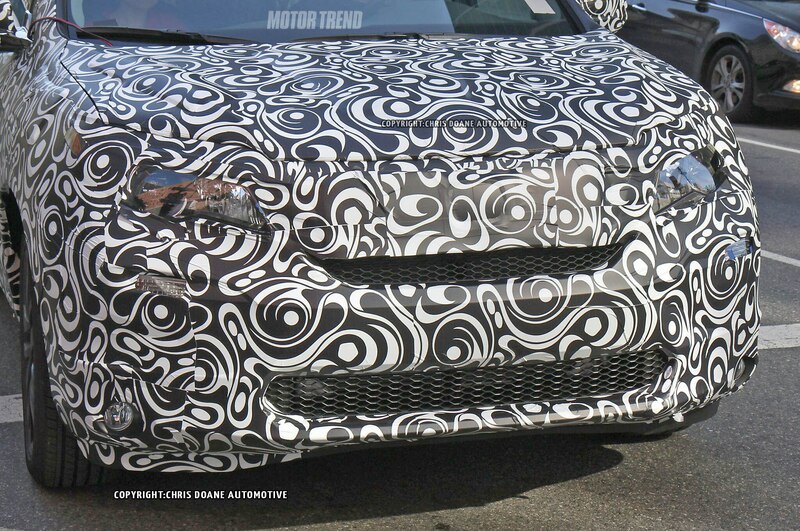 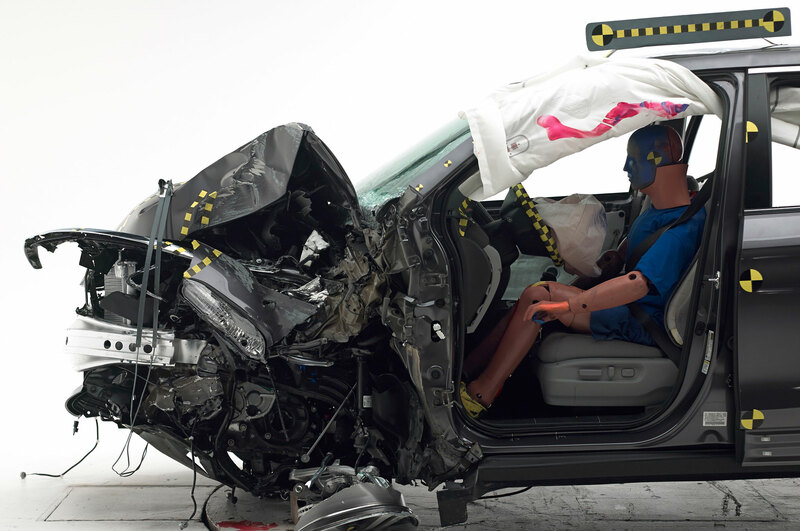 The IIHS ratings include a “Good” score for the small-overlap frontal crash test, as well as for four other tests. 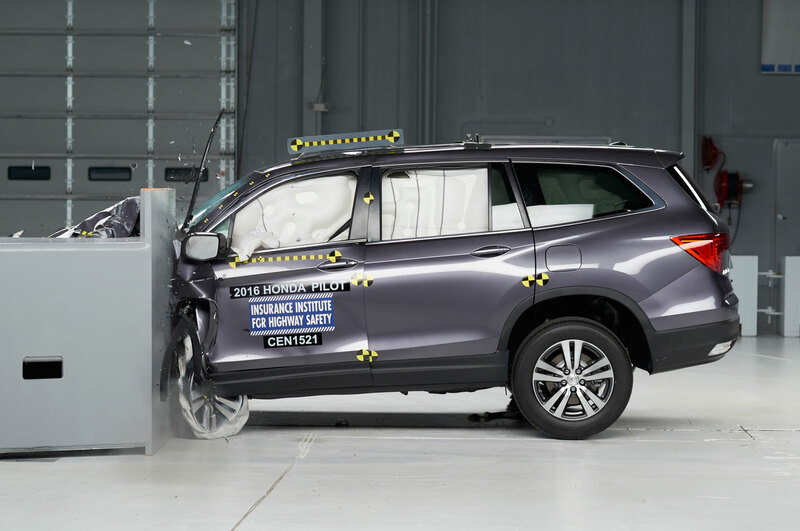 IIHS awards its Top Safety Pick+ designation only to cars and trucks that offer a front crash-prevention system, and only when that system earns a superior rating from the insurance industry organization, Honda says. 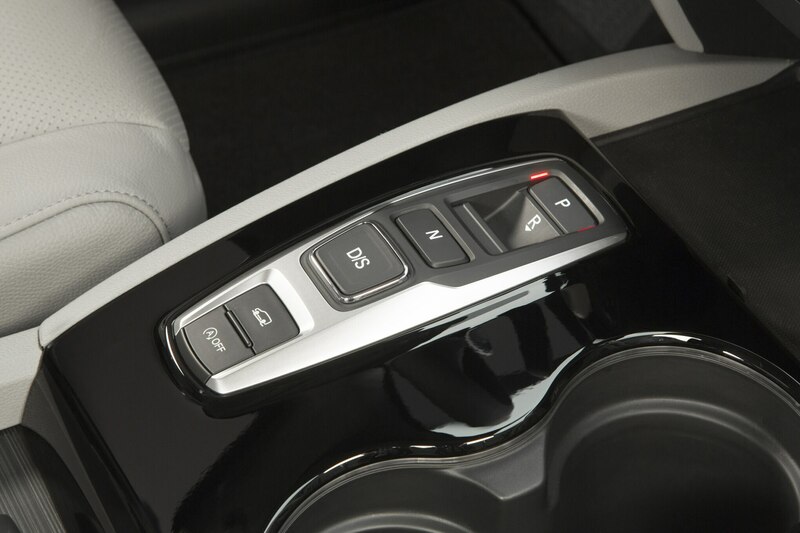 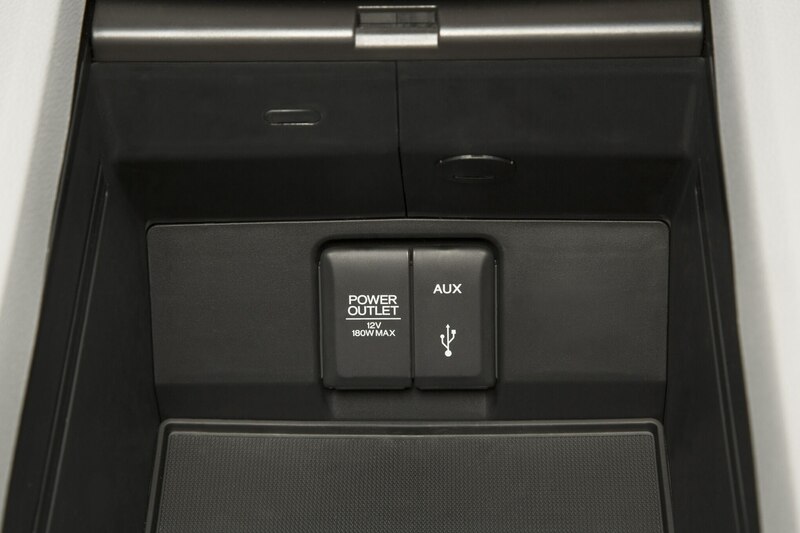 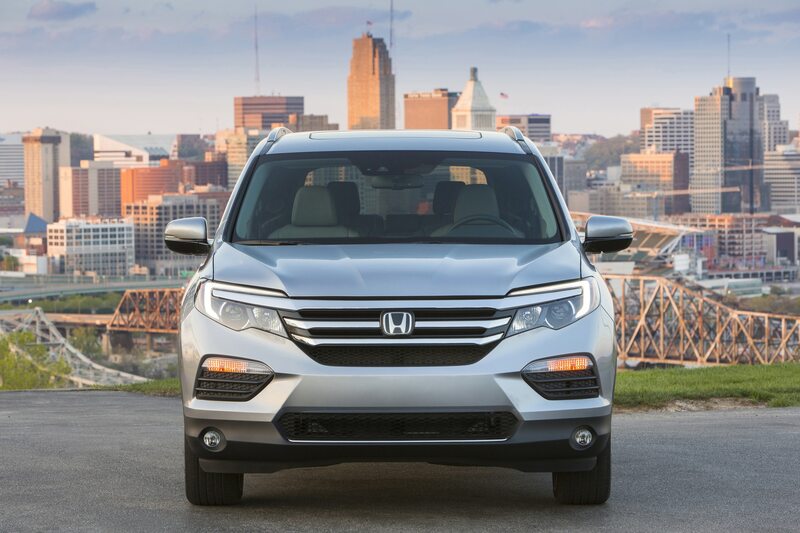 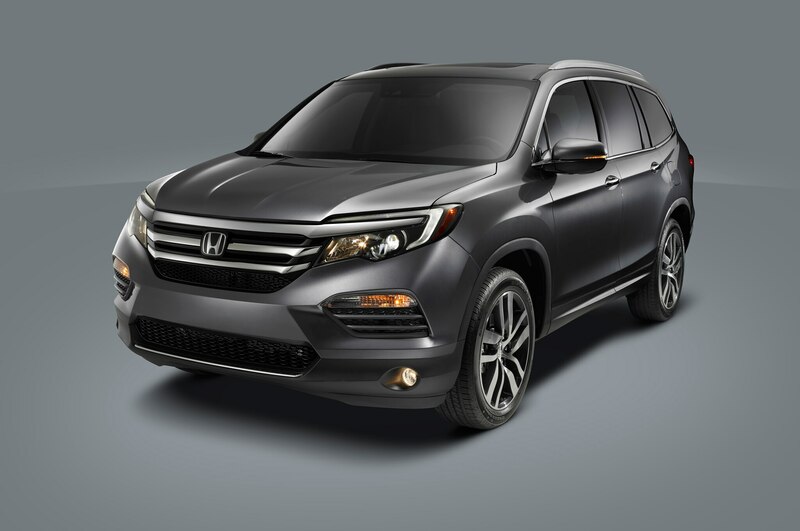 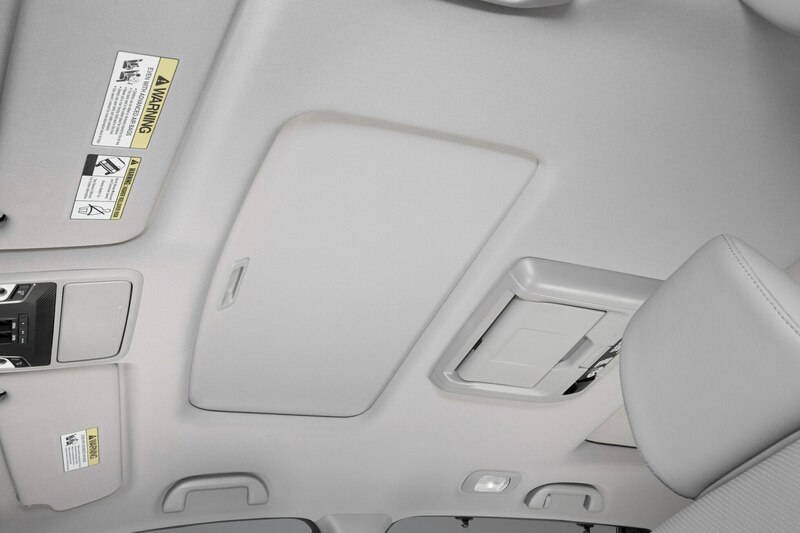 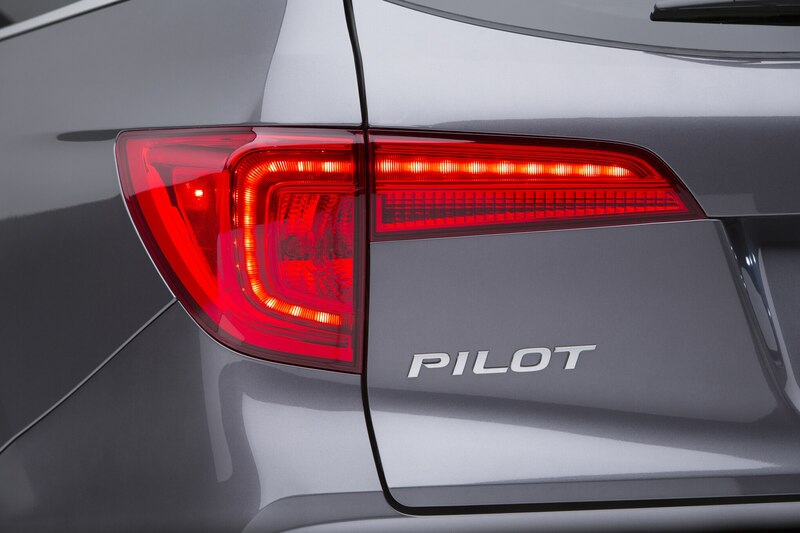 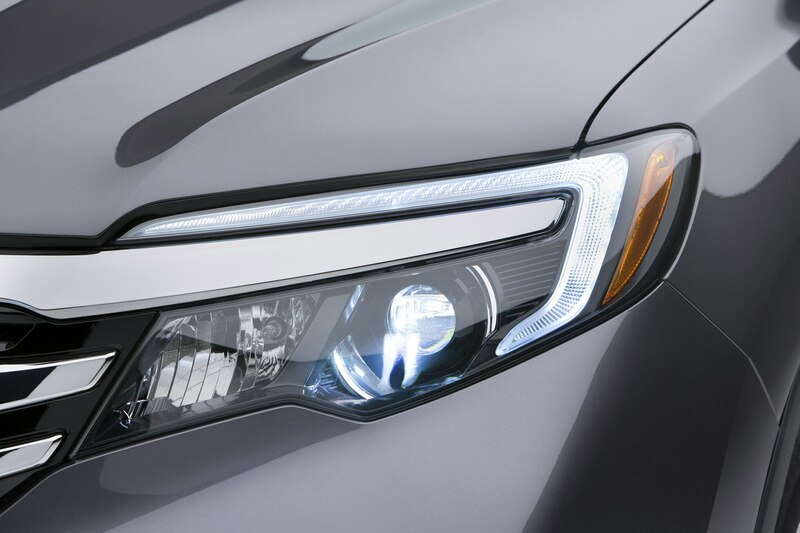 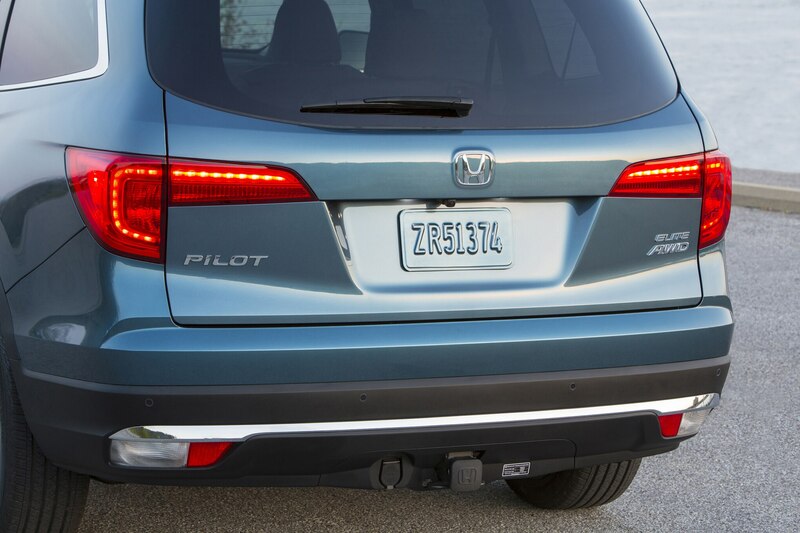 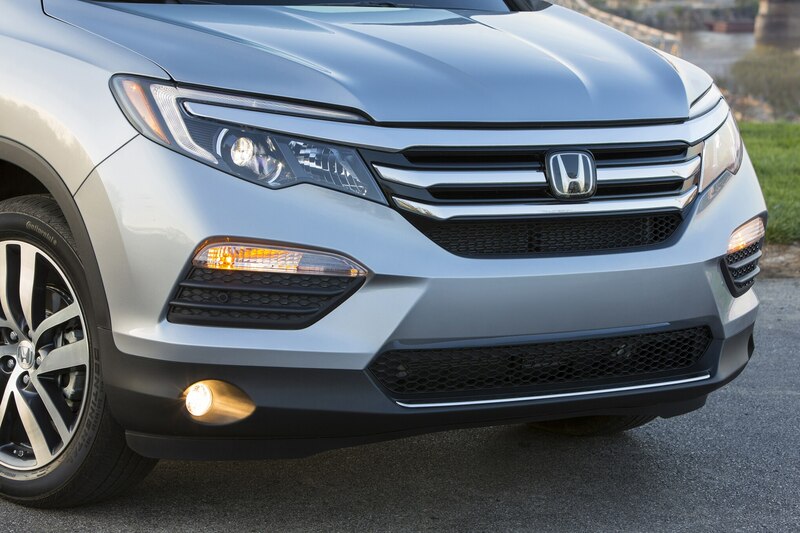 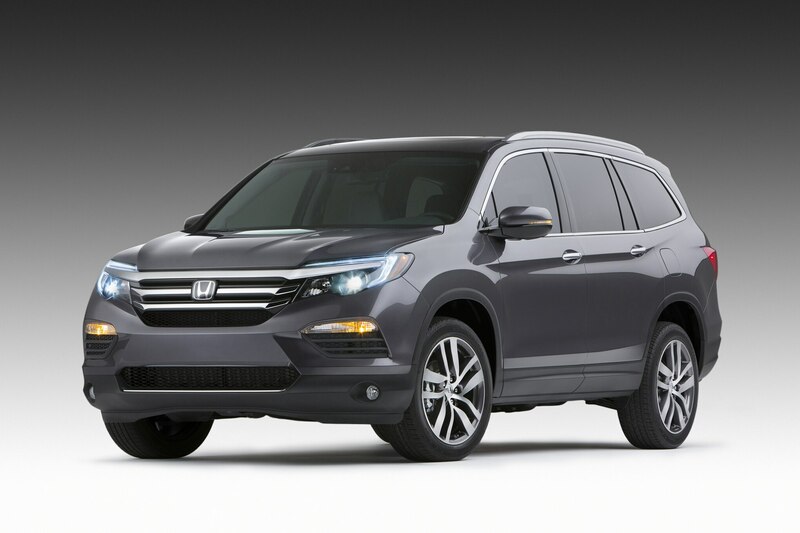 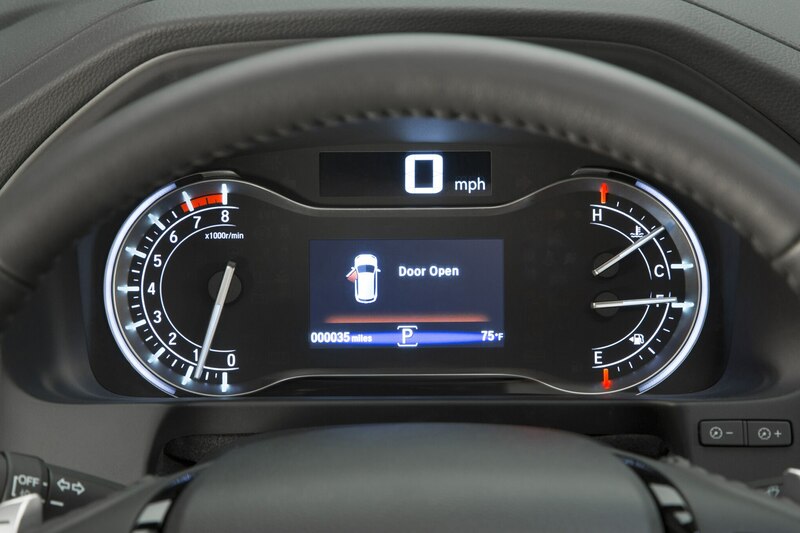 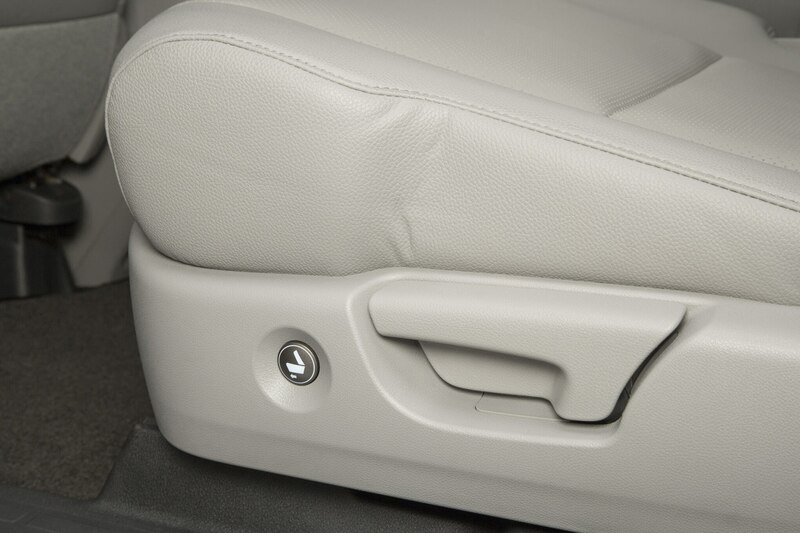 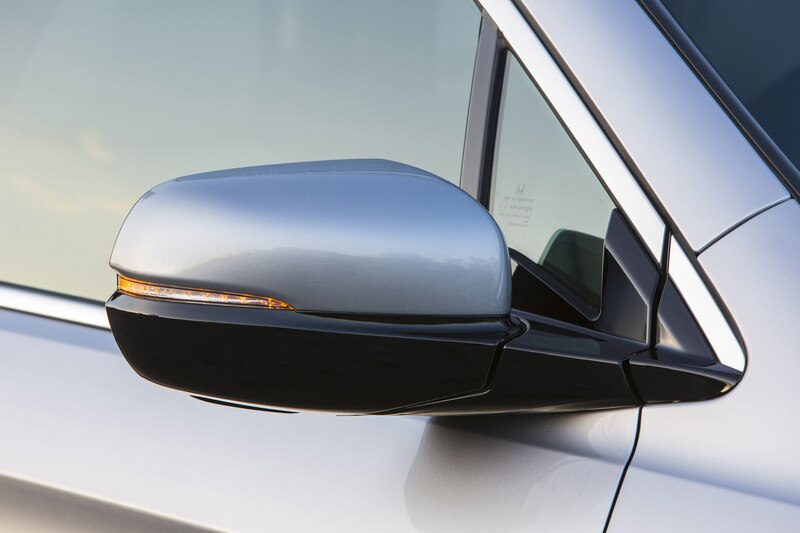 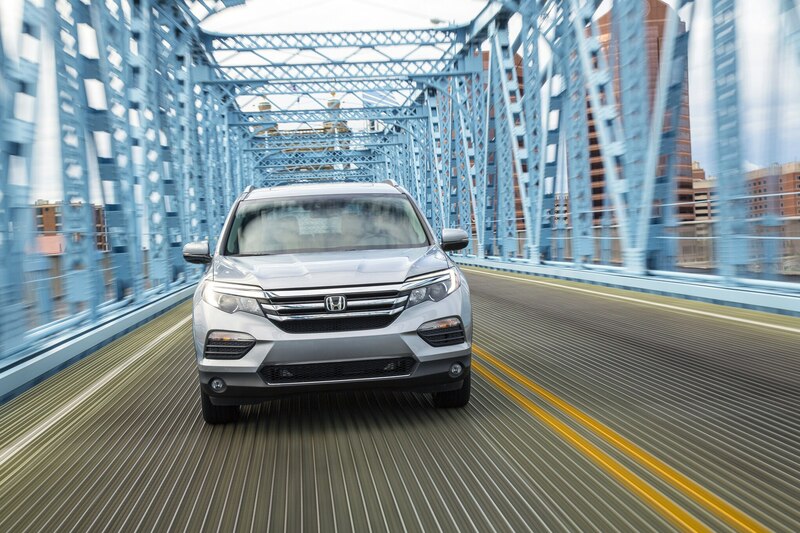 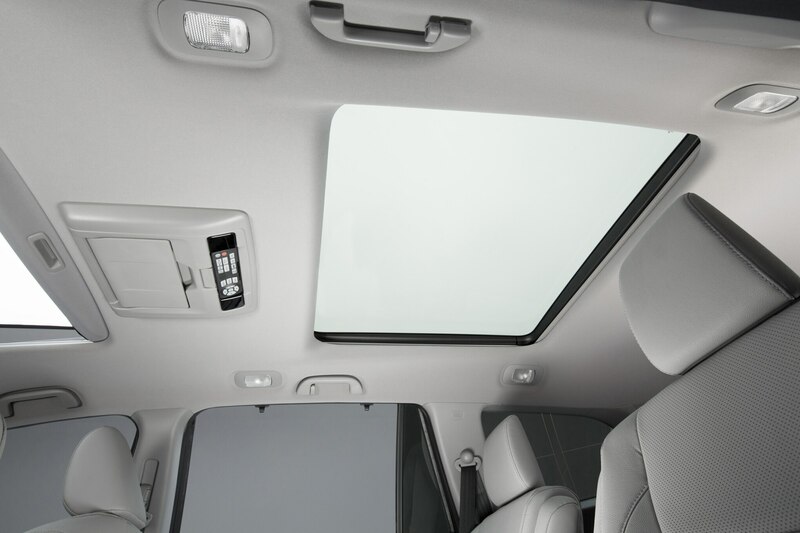 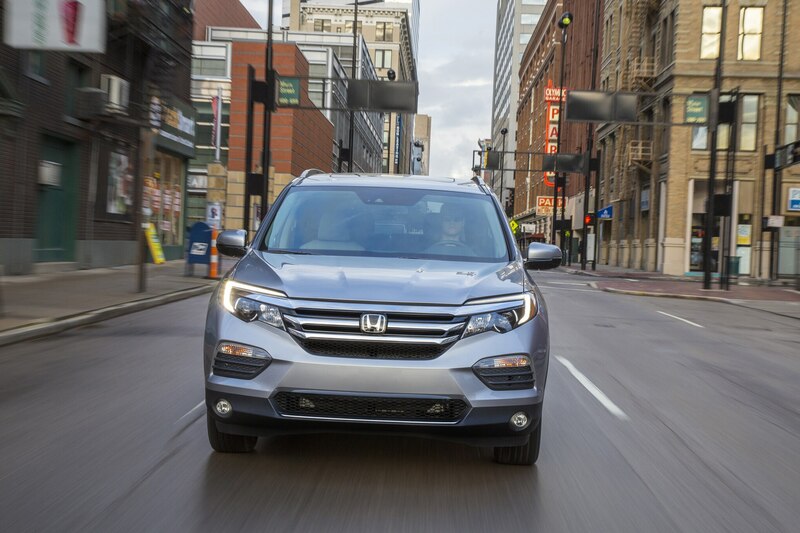 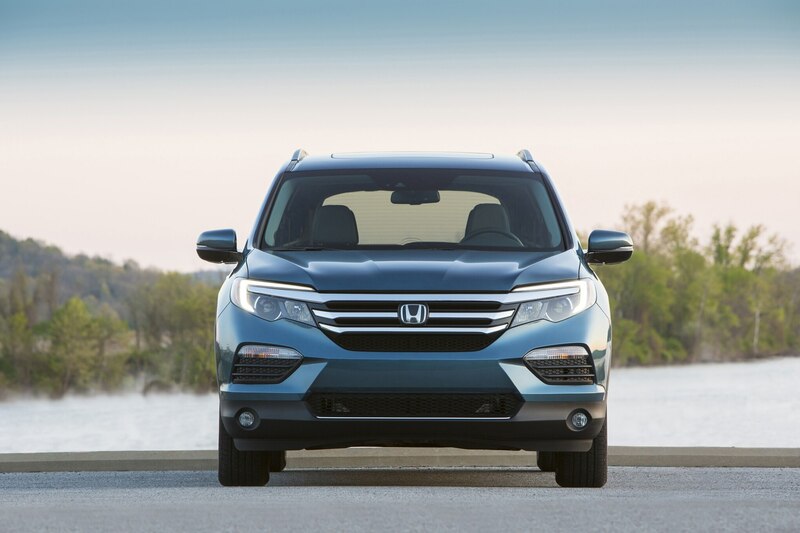 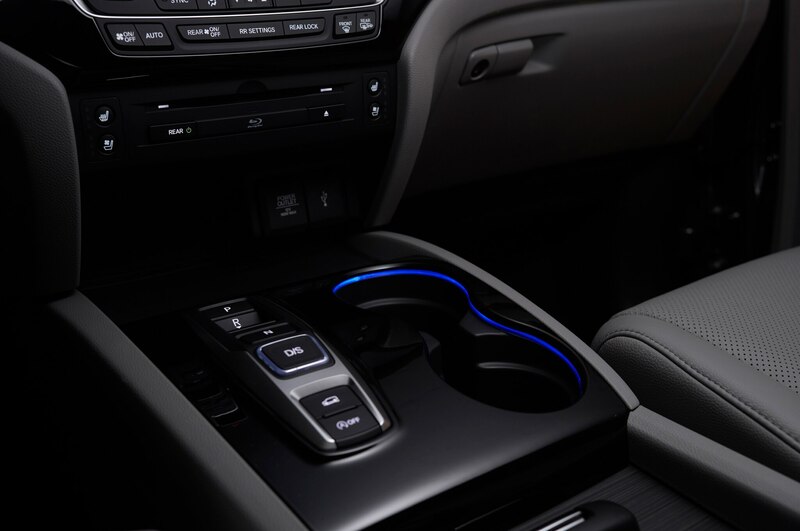 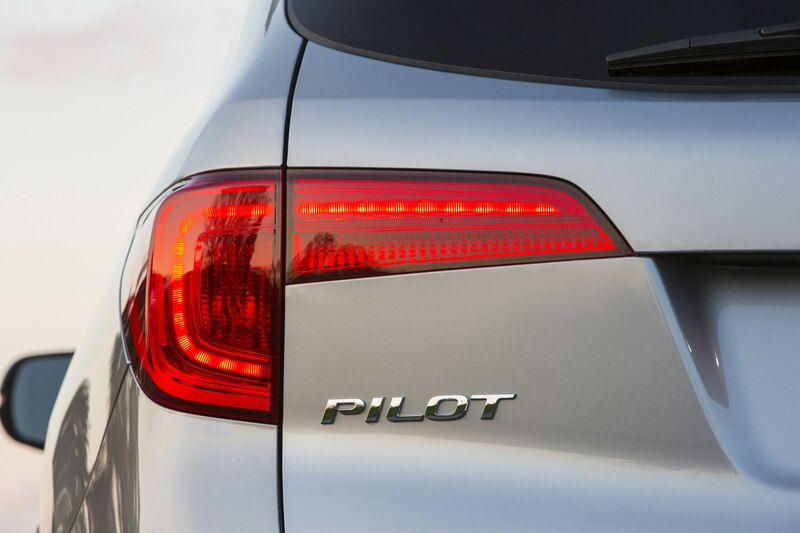 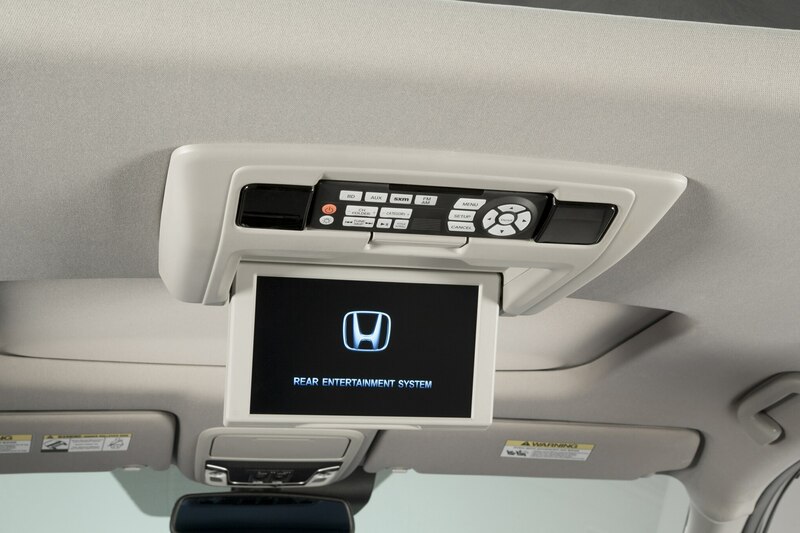 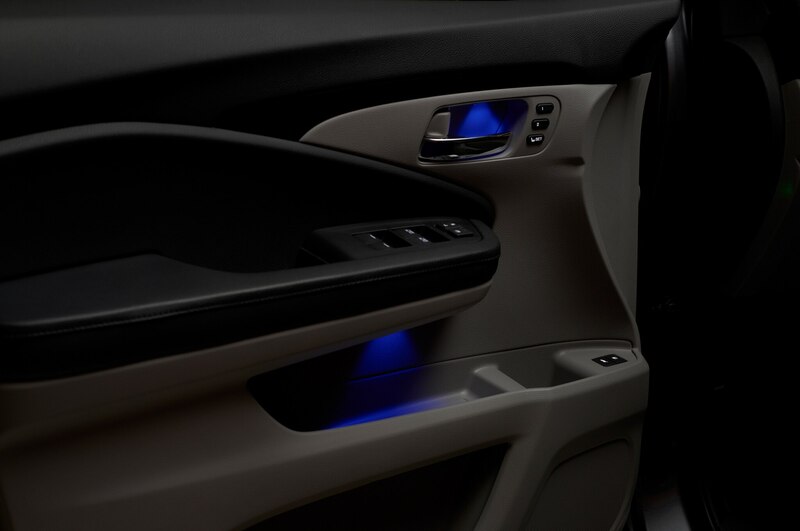 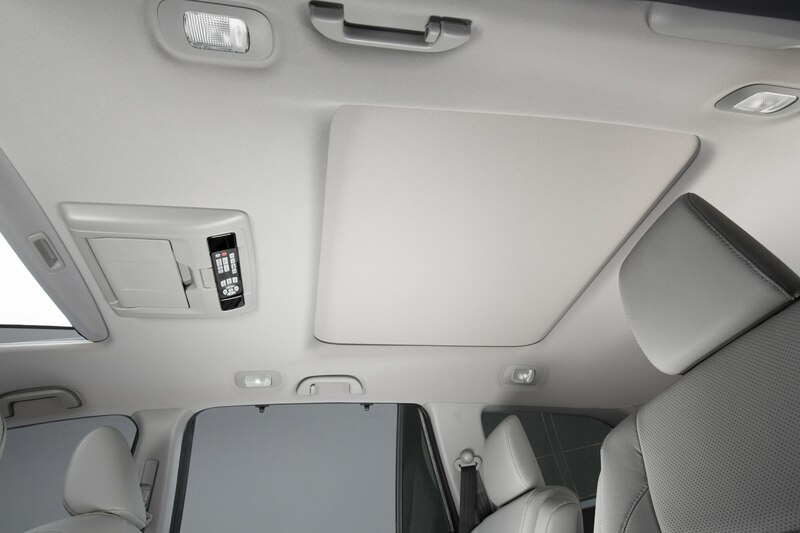 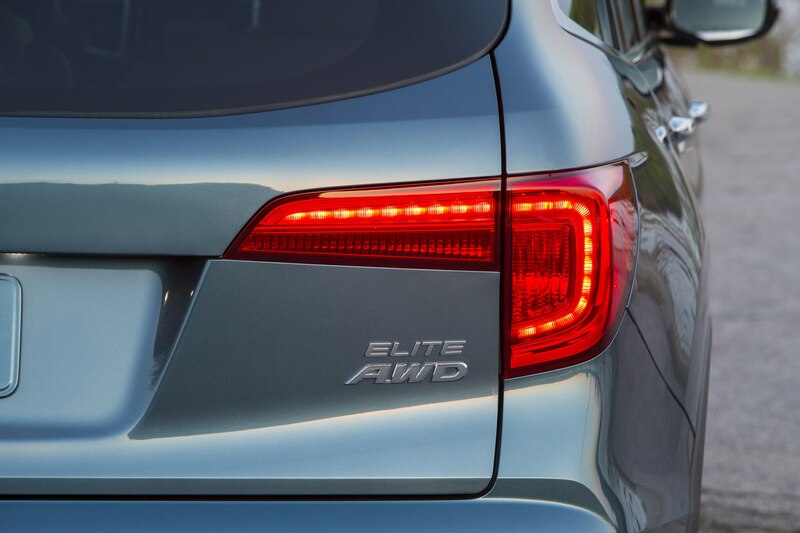 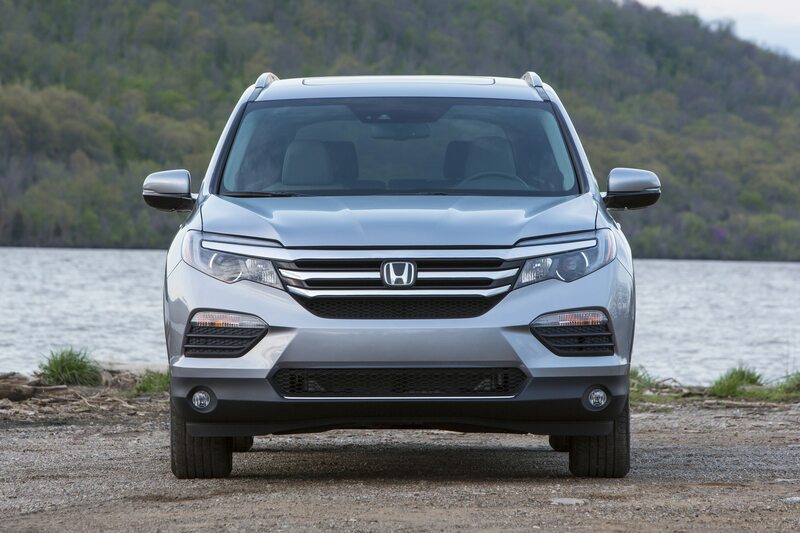 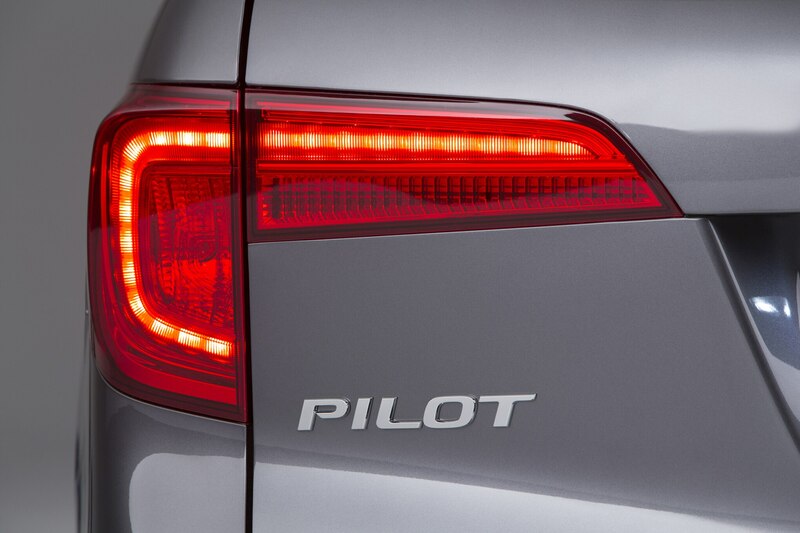 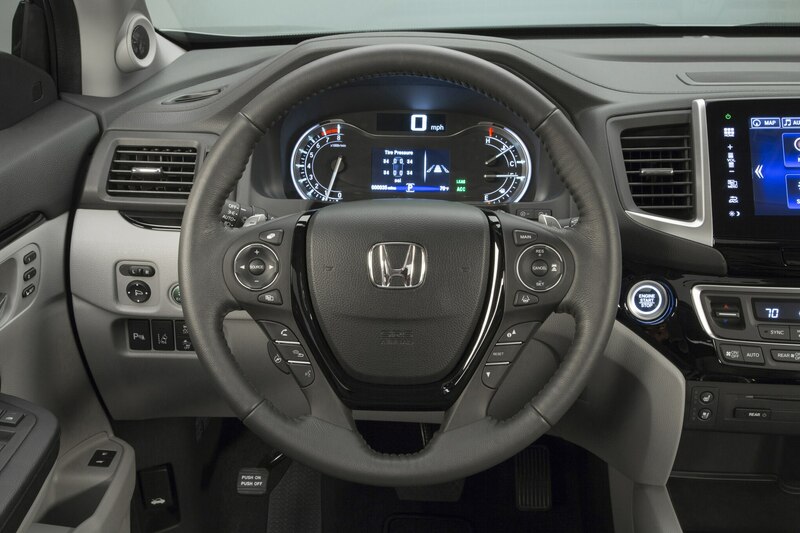 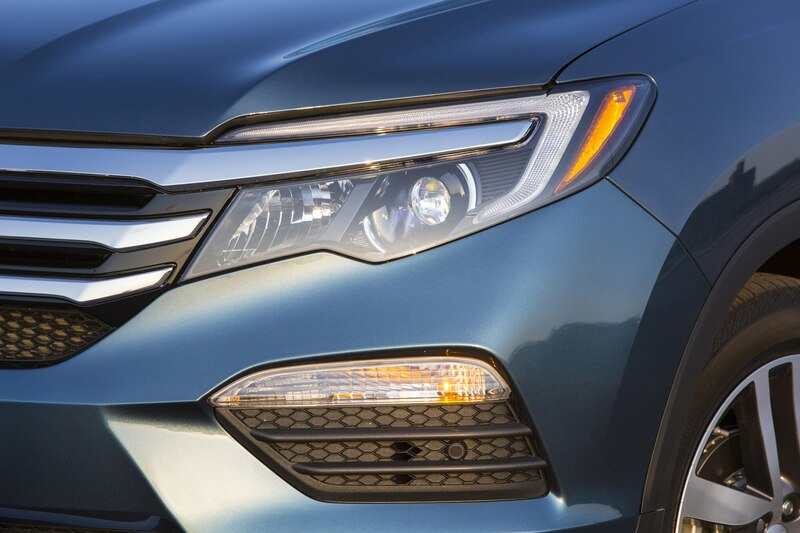 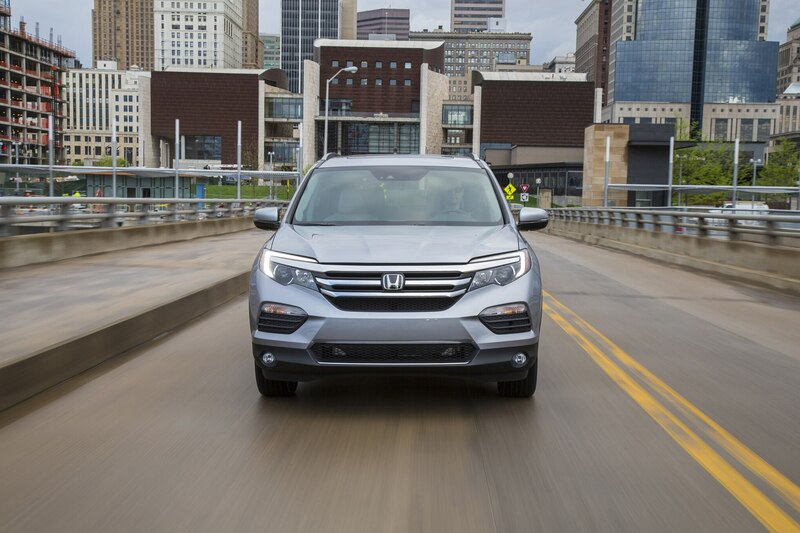 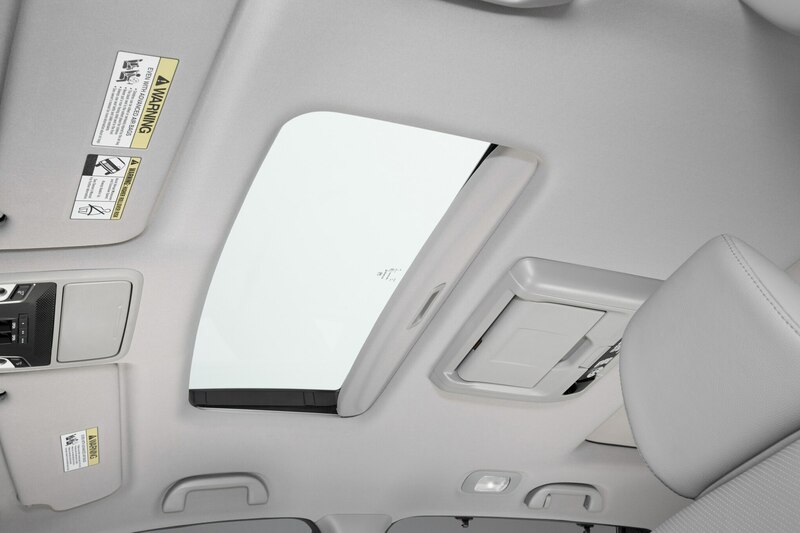 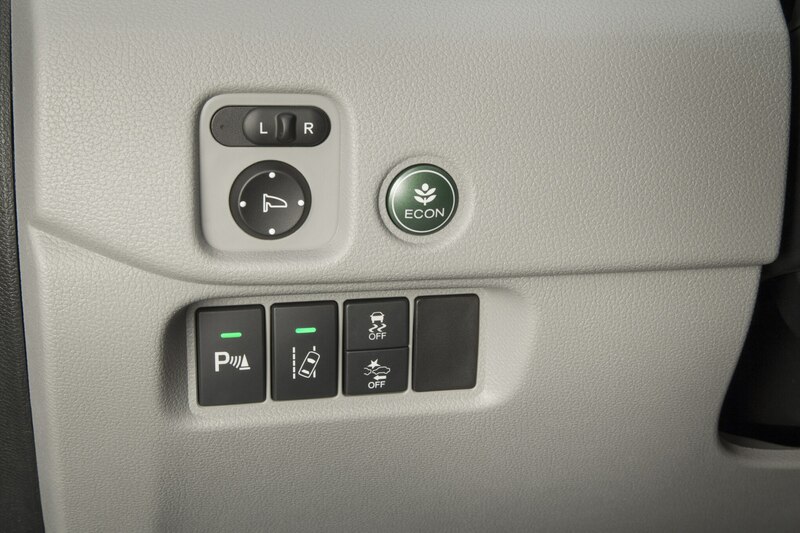 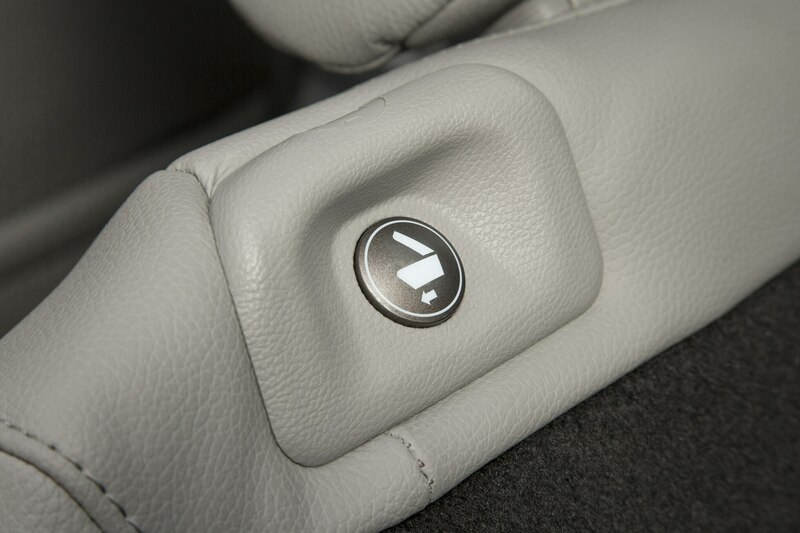 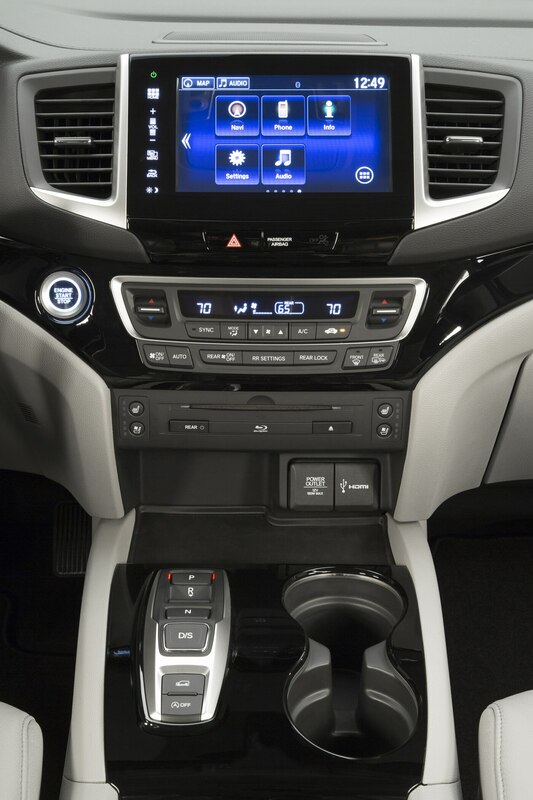 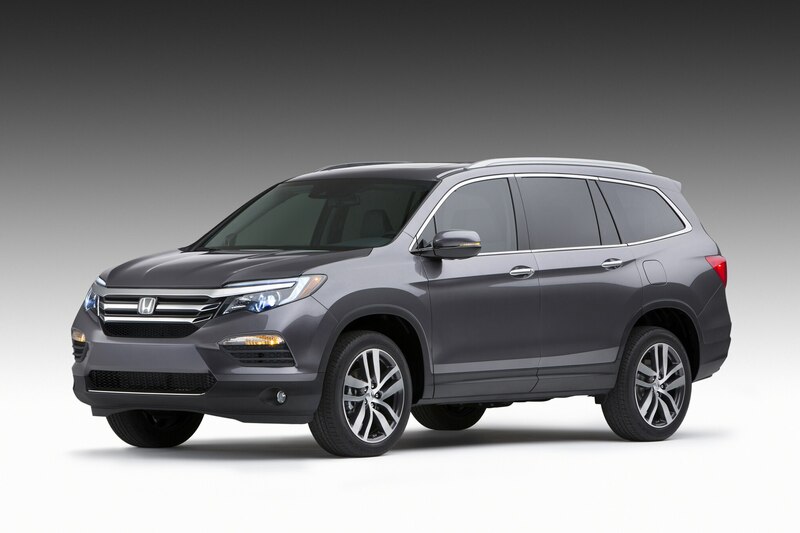 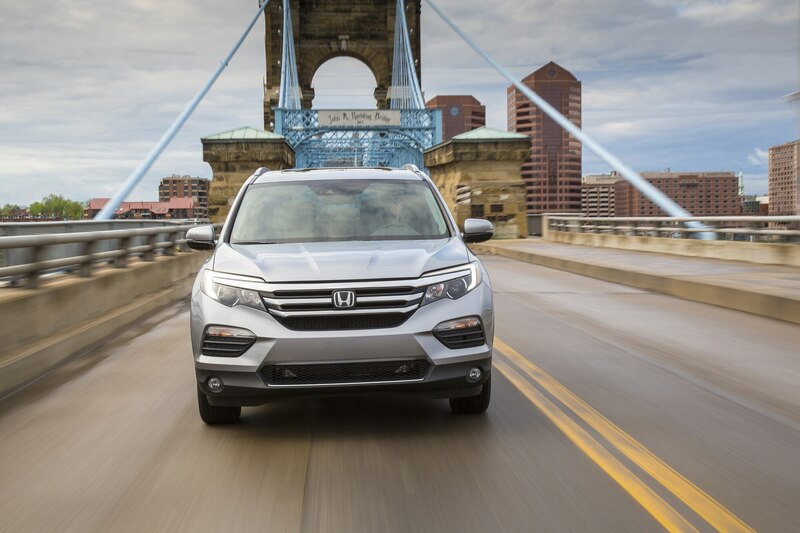 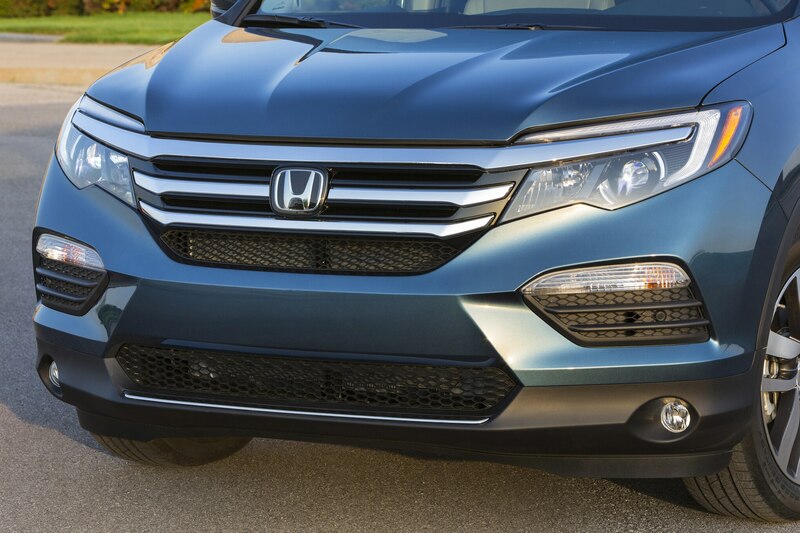 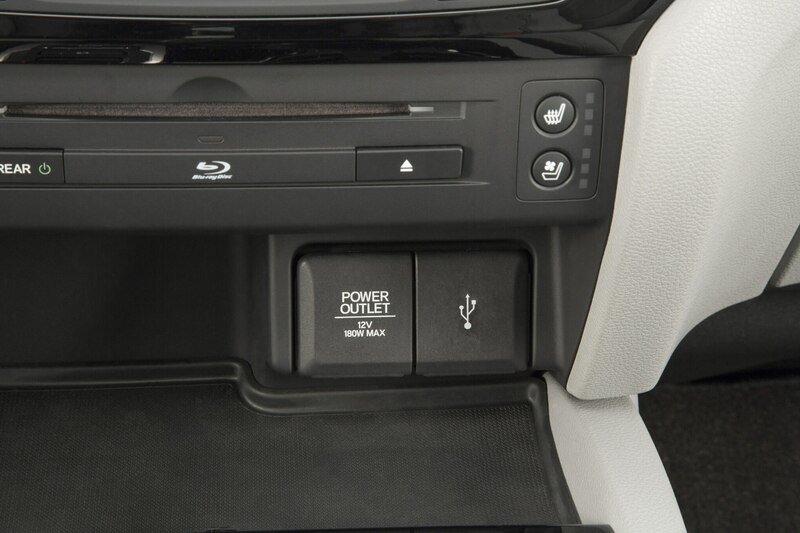 The automaker’s Honda Sensing system is available on ’16 Pilots with the EX, EX-L, Touring, and Elite trim levels. 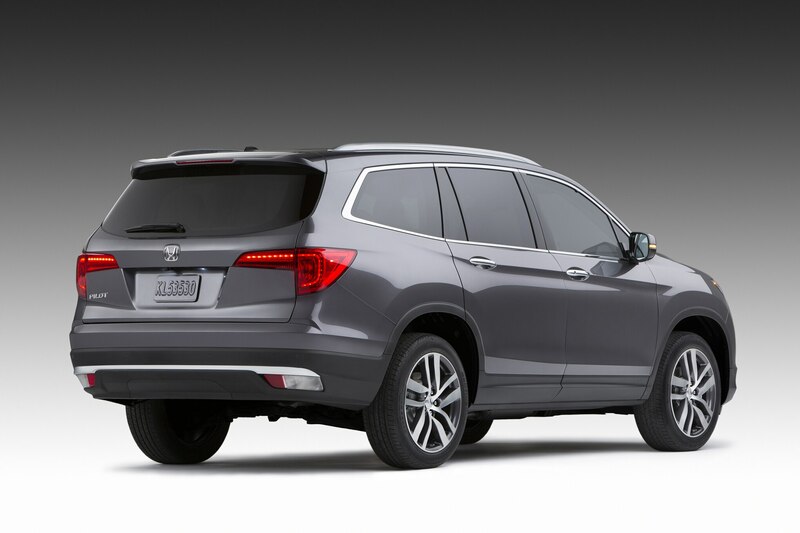 It is not offered on the base Pilot LX, which starts at $30,875. 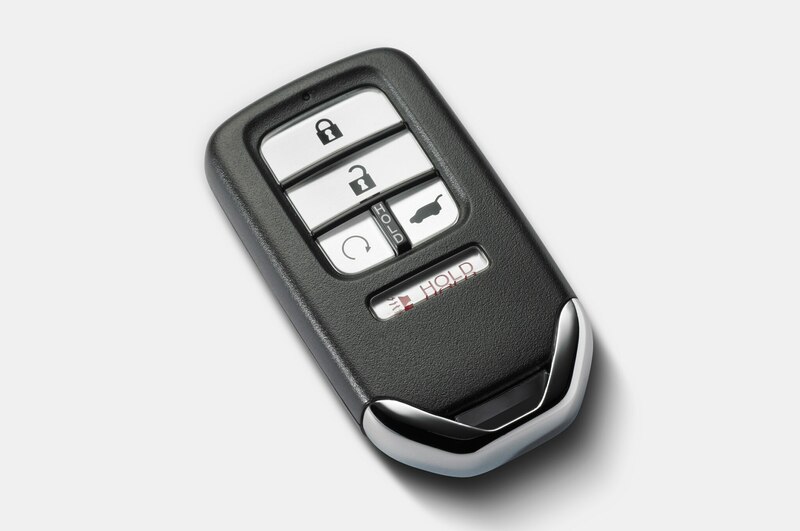 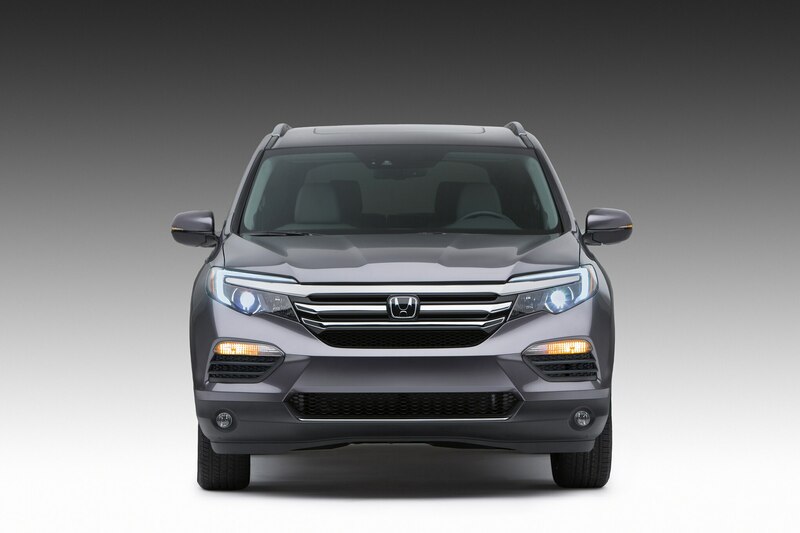 The EX with Honda Sensing is $34,310, which is $1,000 more than the EX without the system. 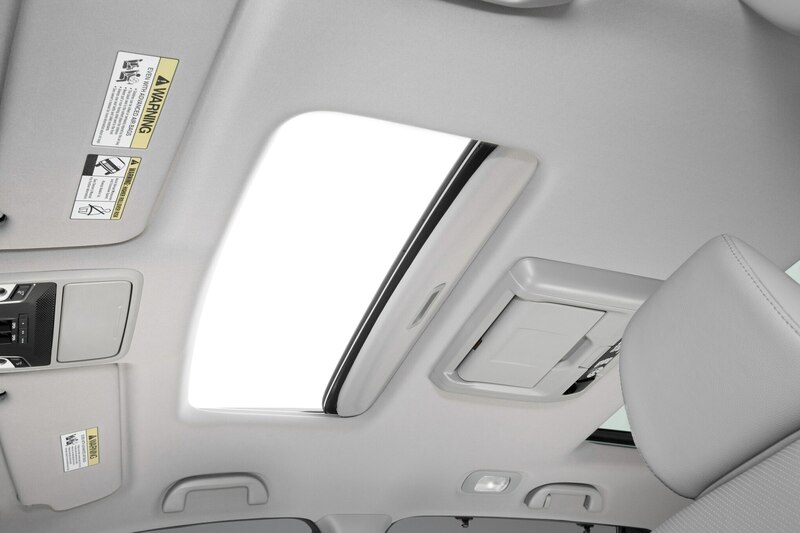 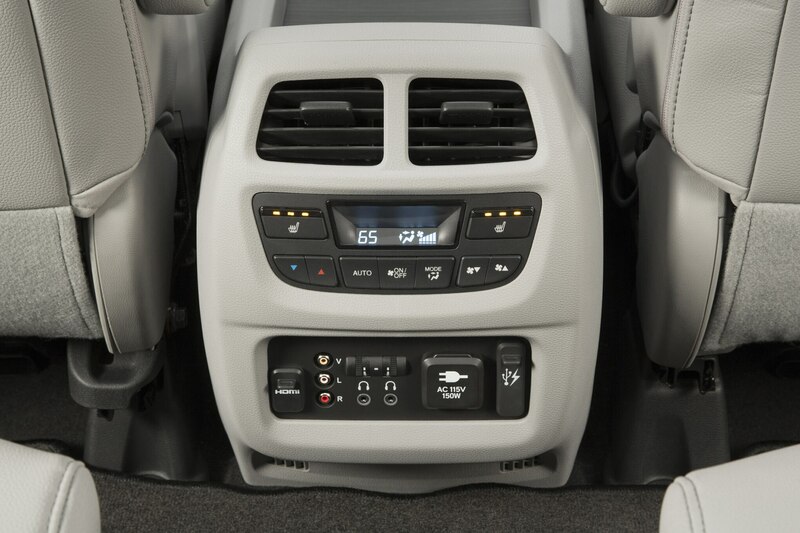 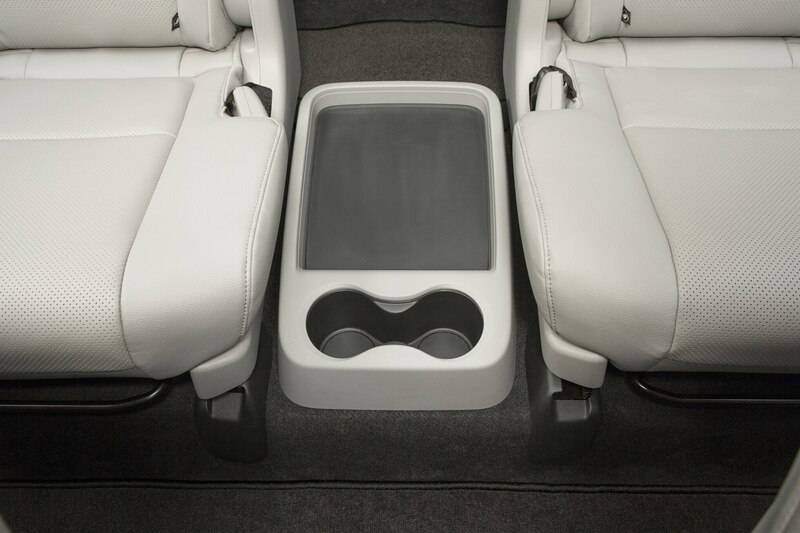 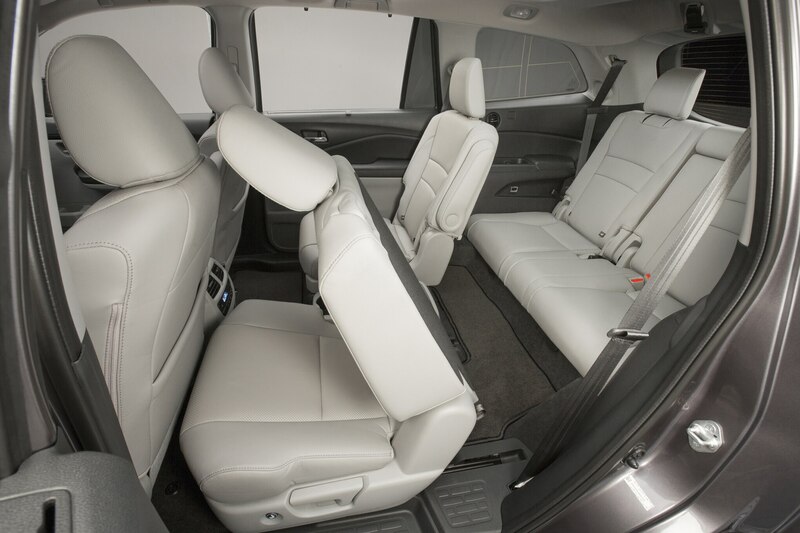 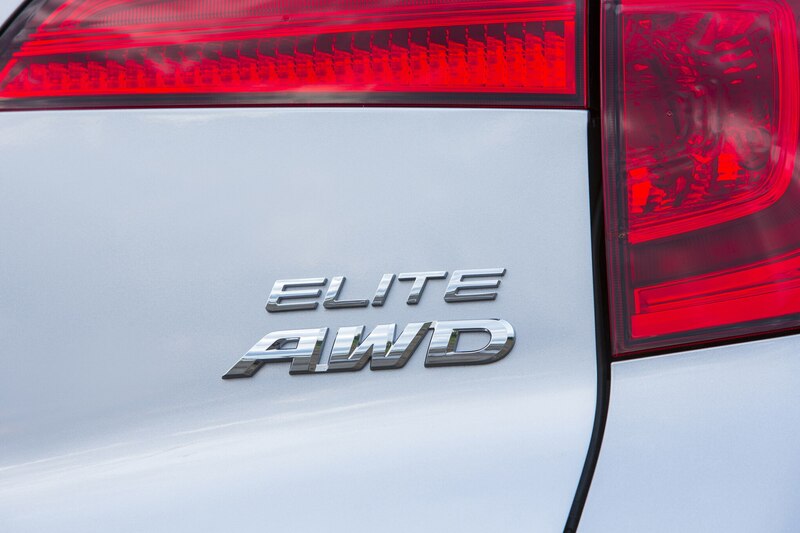 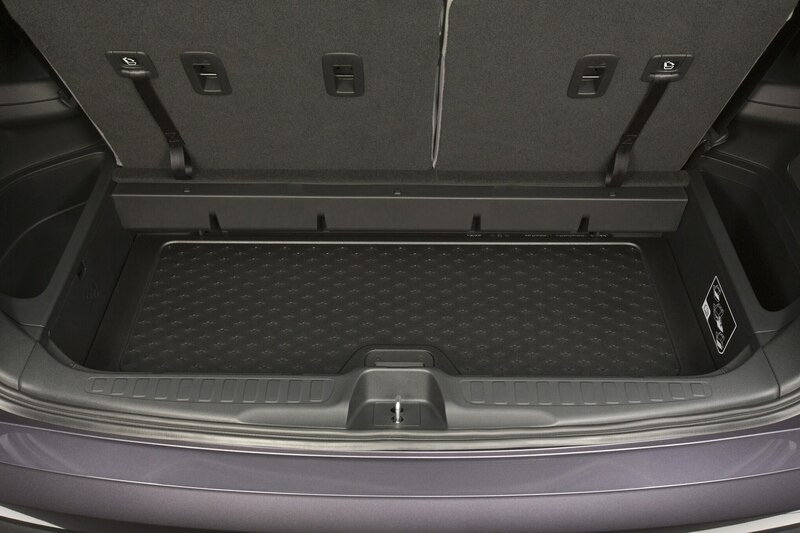 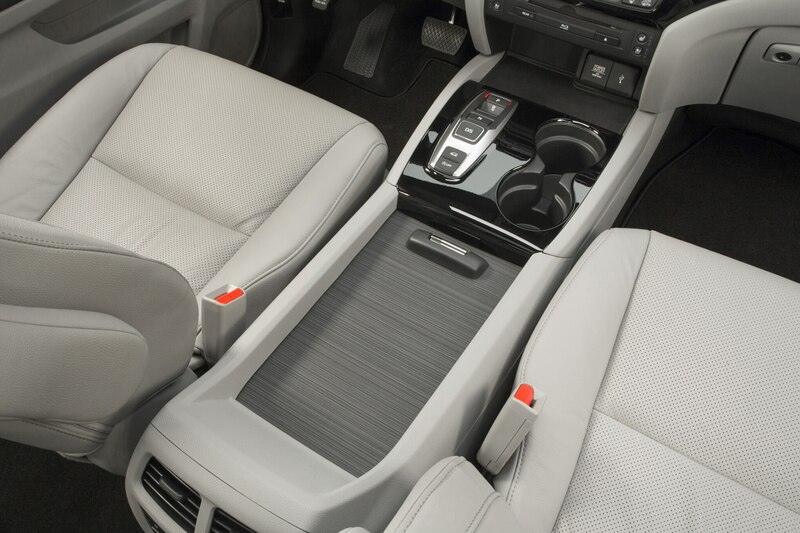 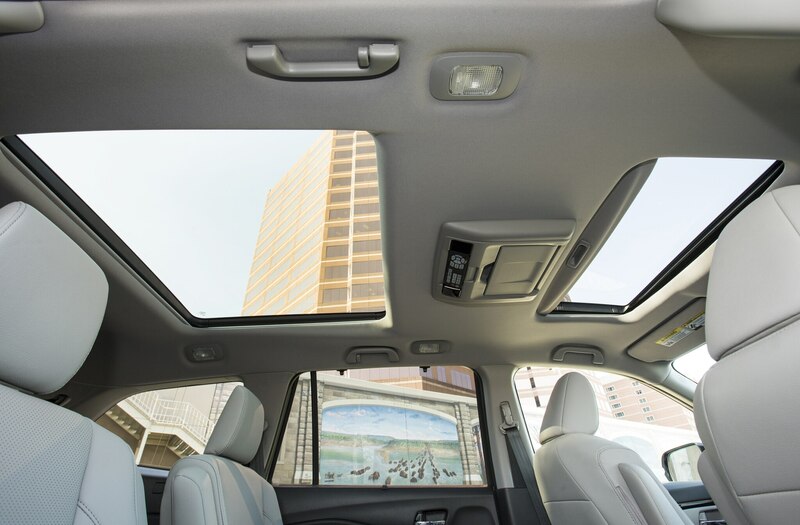 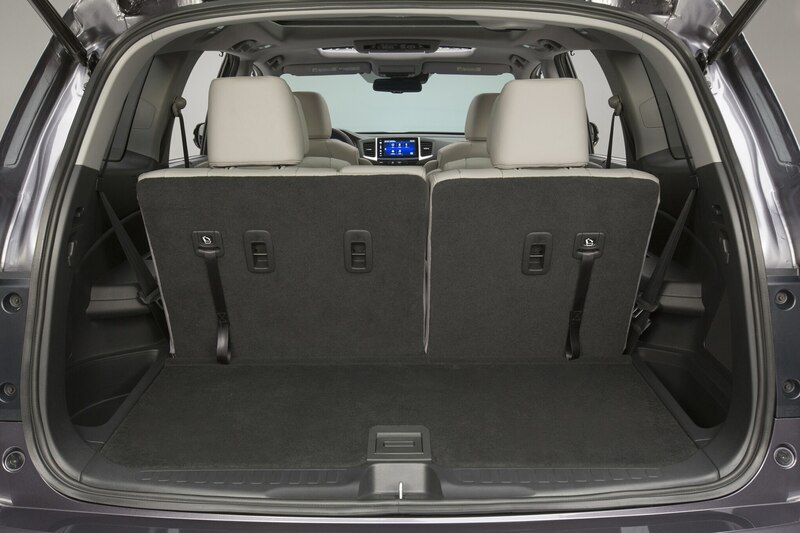 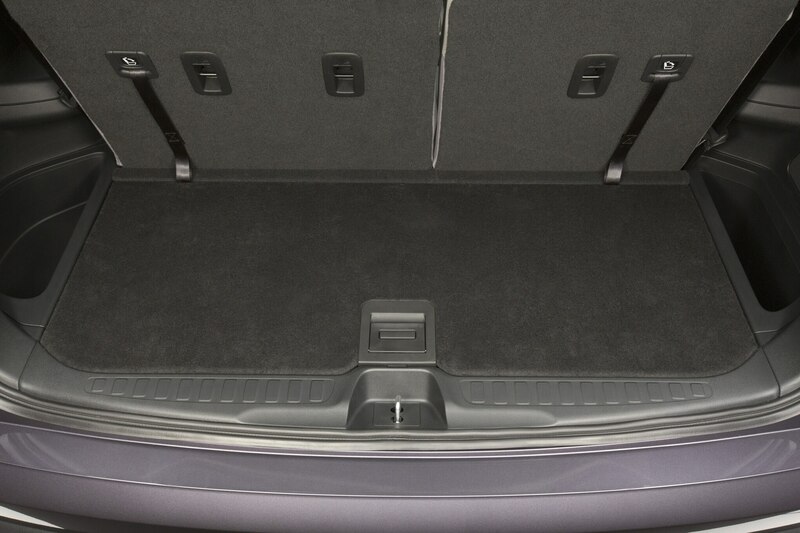 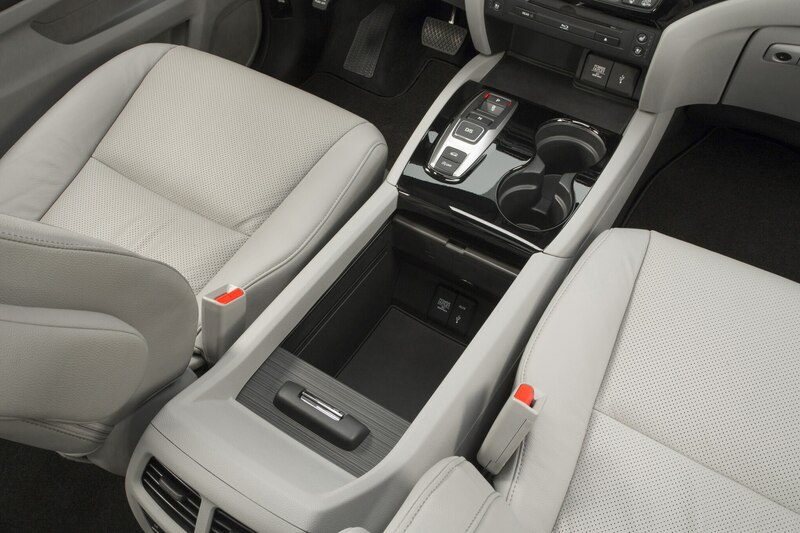 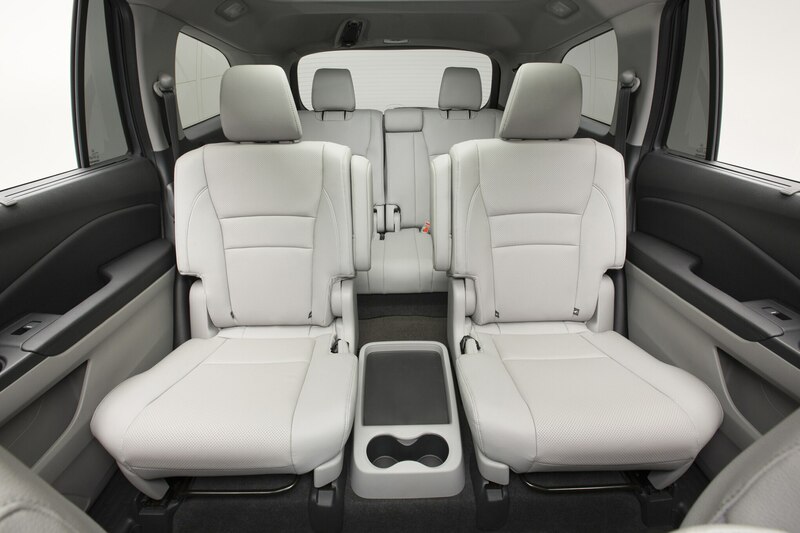 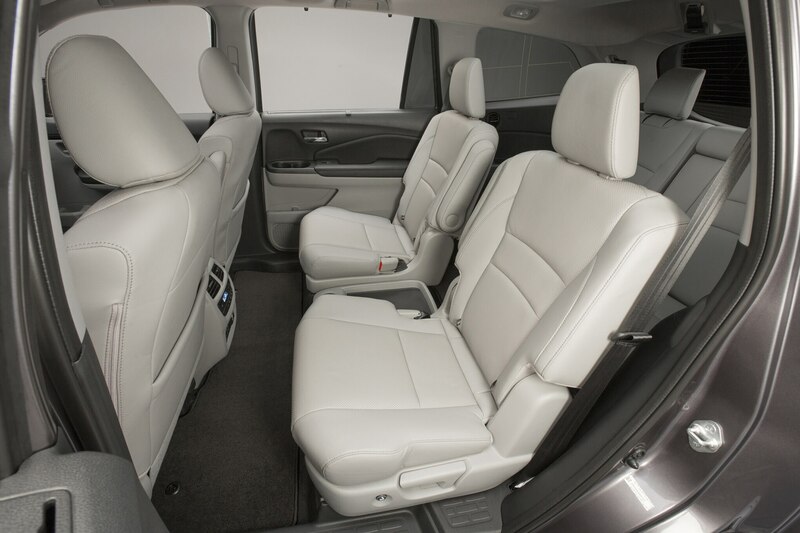 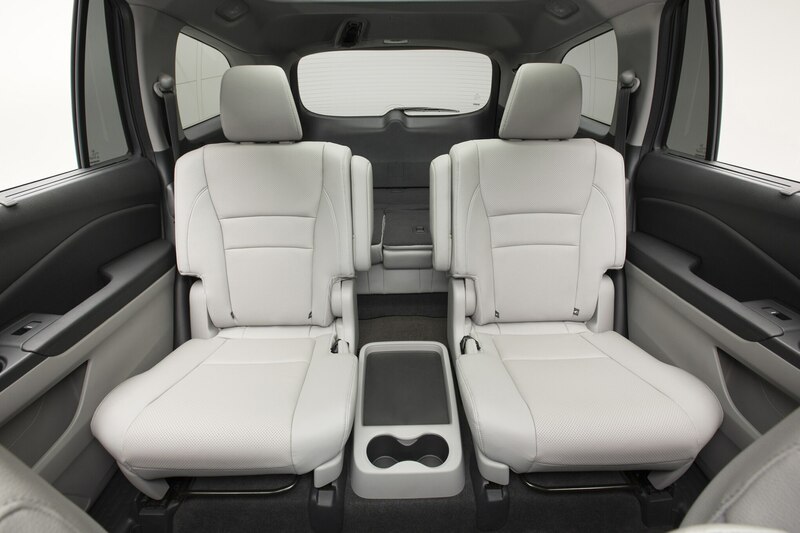 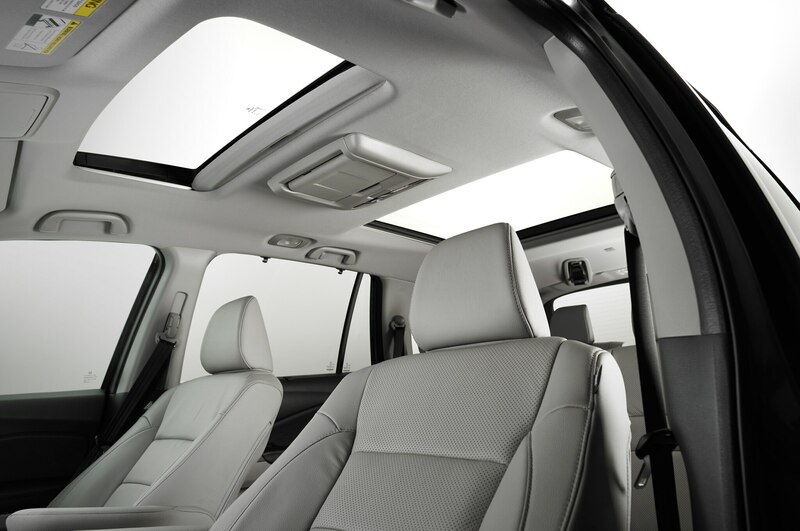 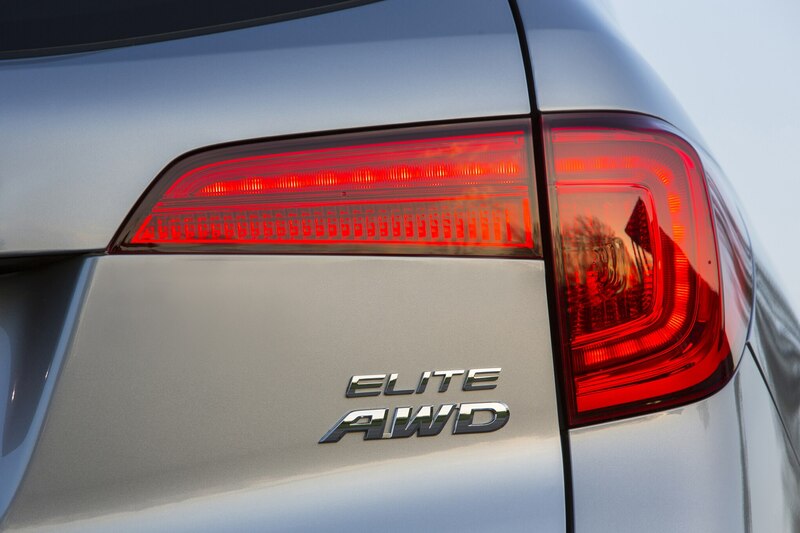 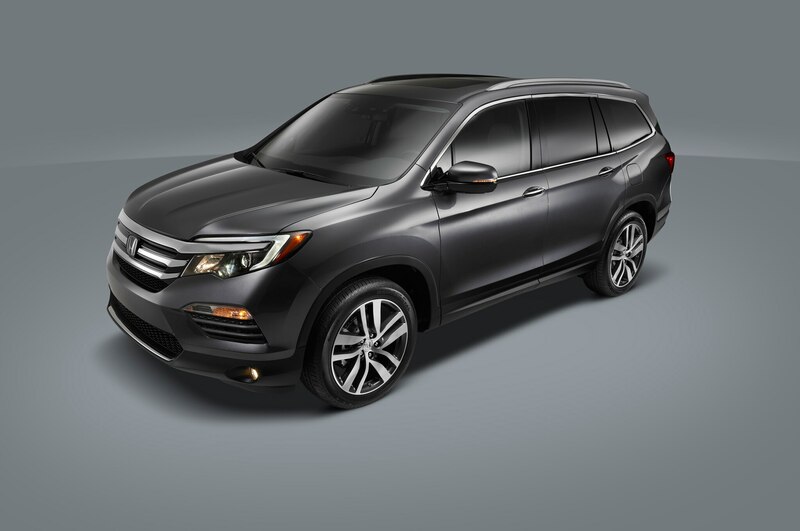 The top-trim level, Elite, starts at $47,300 and includes the front crash-prevention system. 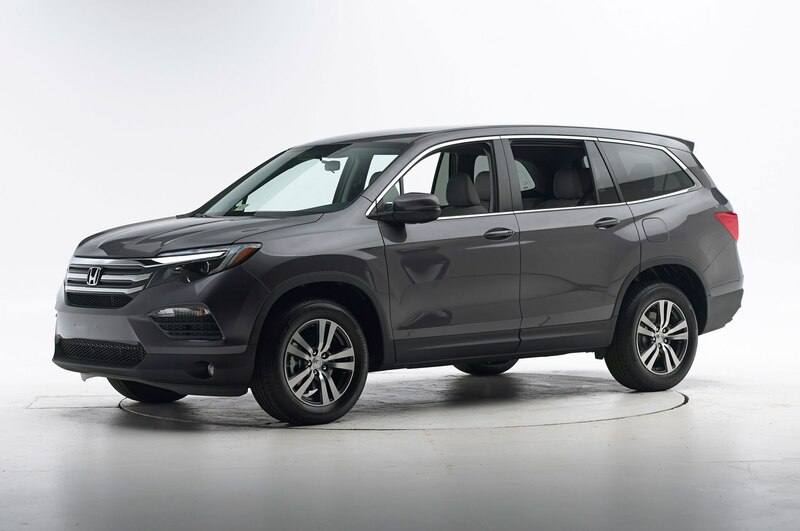 The new Pilot’s ACE body structure features a “three-bone” floor frame, with a third longitudinal frame rail running through the middle of the unibody’s floor frame, says Brian Bautsch, who is in charge of the CUV’s safety development. 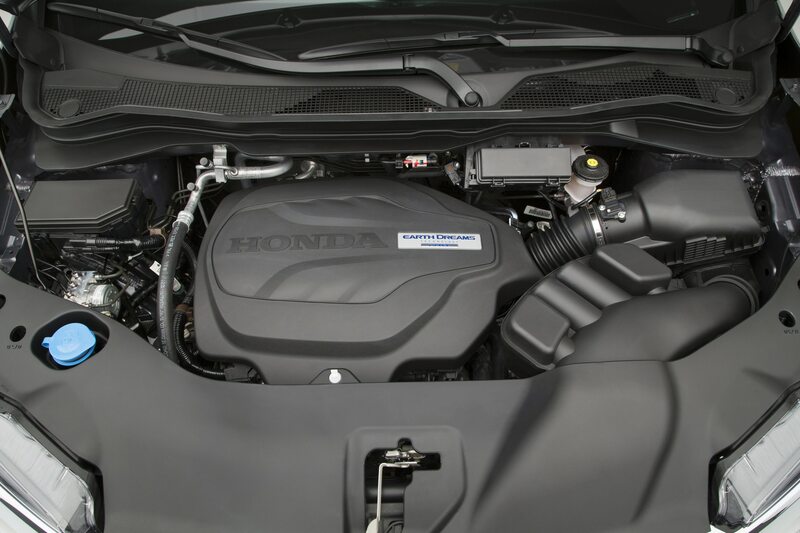 Ultra-high-strength steel surrounds the door frames while a “quick-engagement” front end has more easily collapsed steel around the engine compartment. 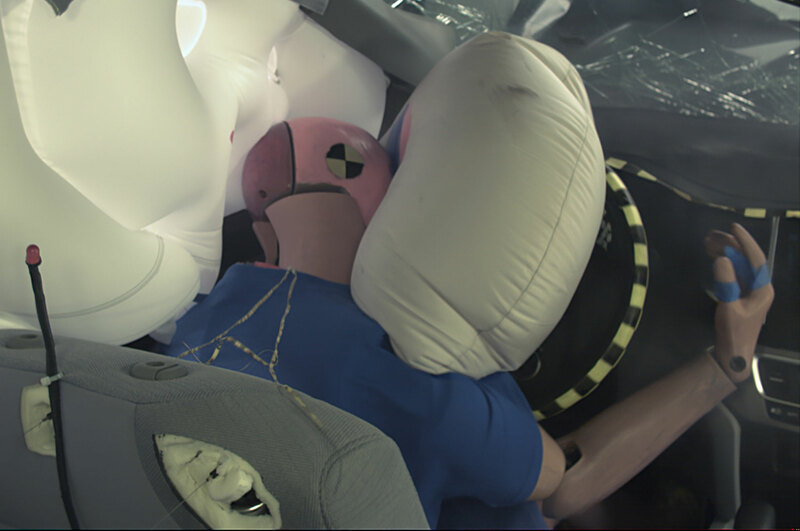 This combination helps the Pilot pass the IIHS small-overlap crash test. 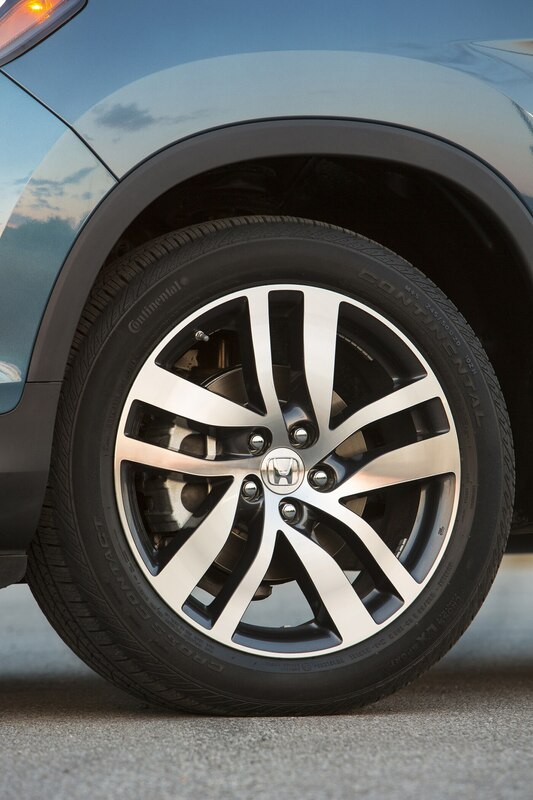 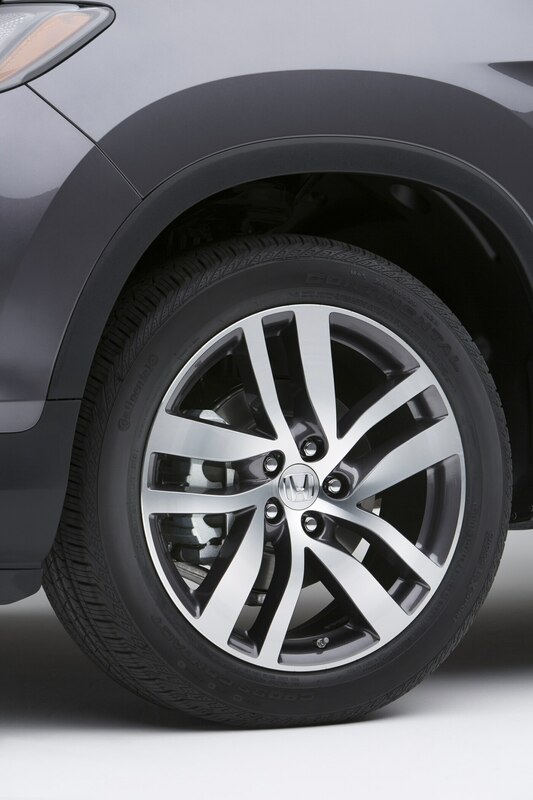 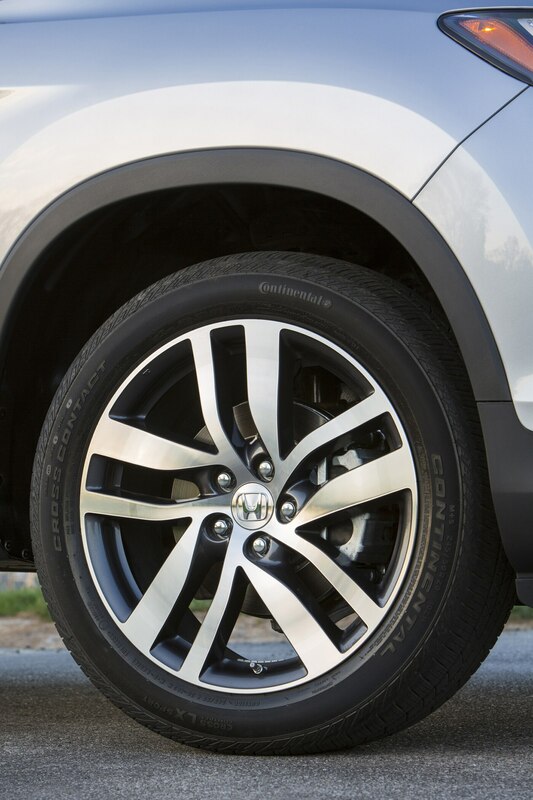 The Honda Pilot‘s left front wheel, tire, and brake caliper can be seen bending out of the way from the driver’s floorboard in the crash-test video. 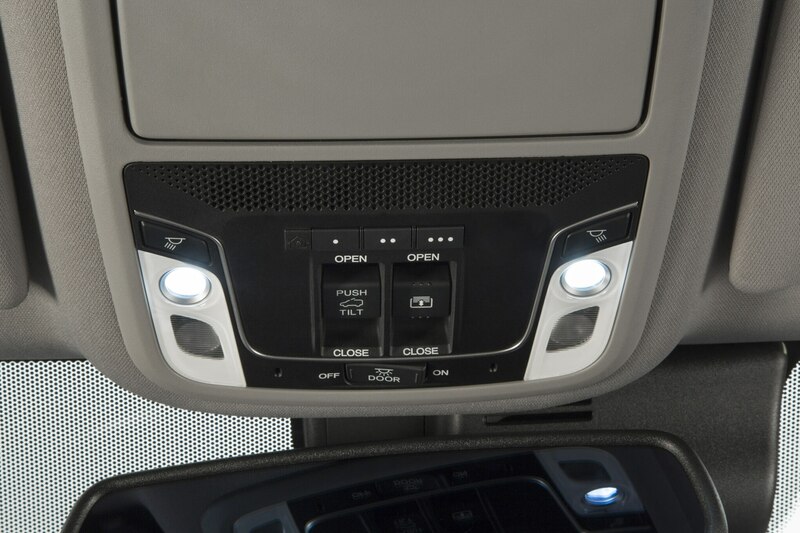 Bautsch and his team worked with an electric power-assisted steering box moved to the steering column, inside the passenger compartment. 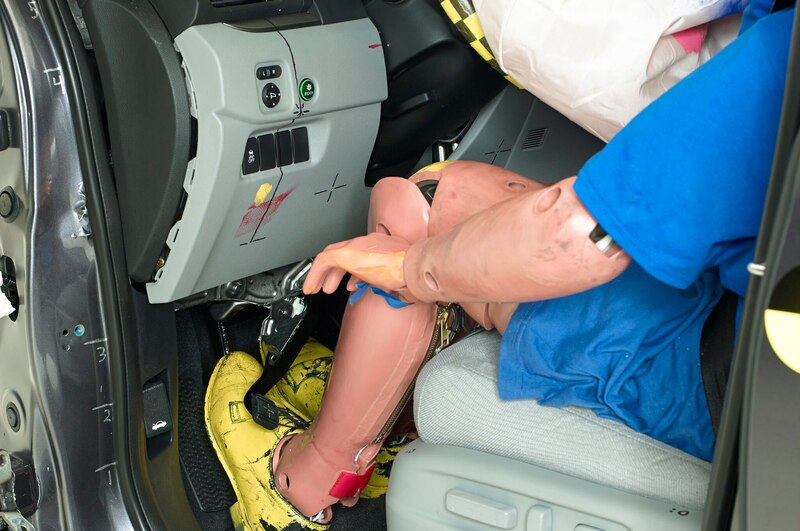 The new Pilot does not have a knee airbag. 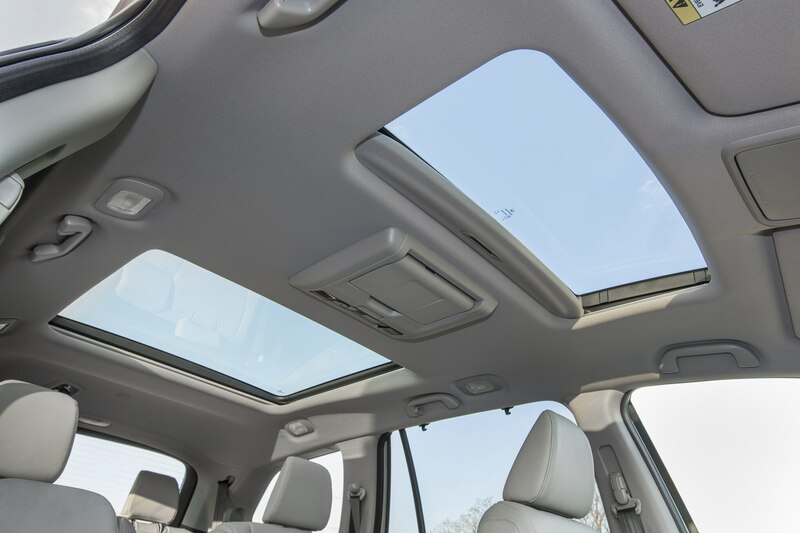 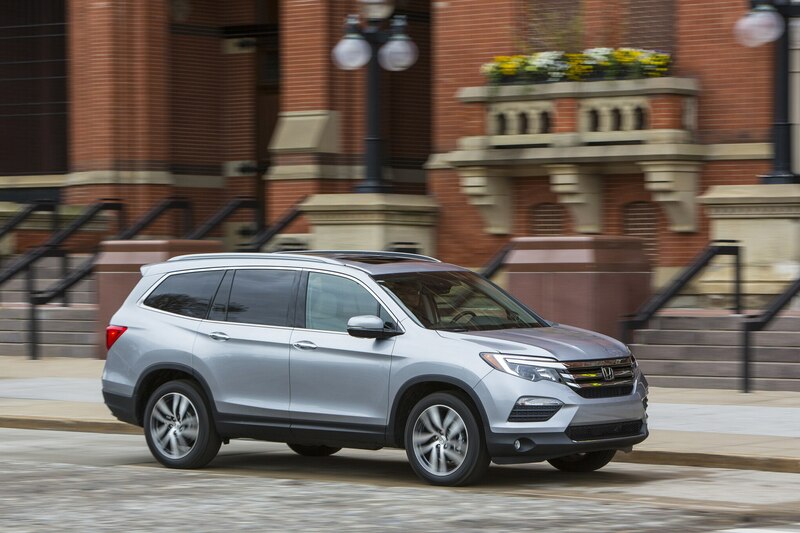 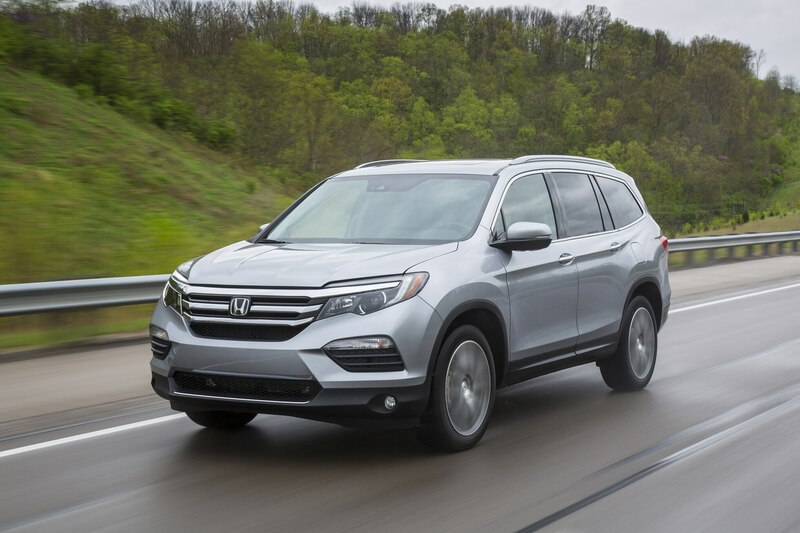 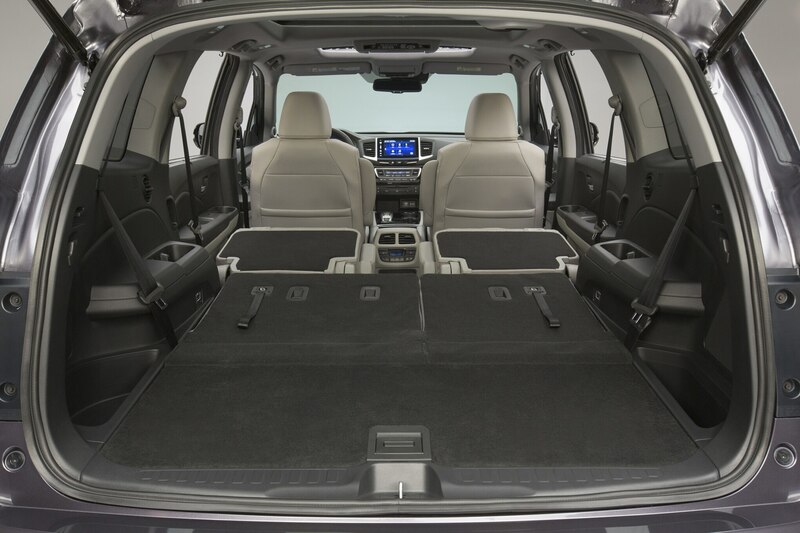 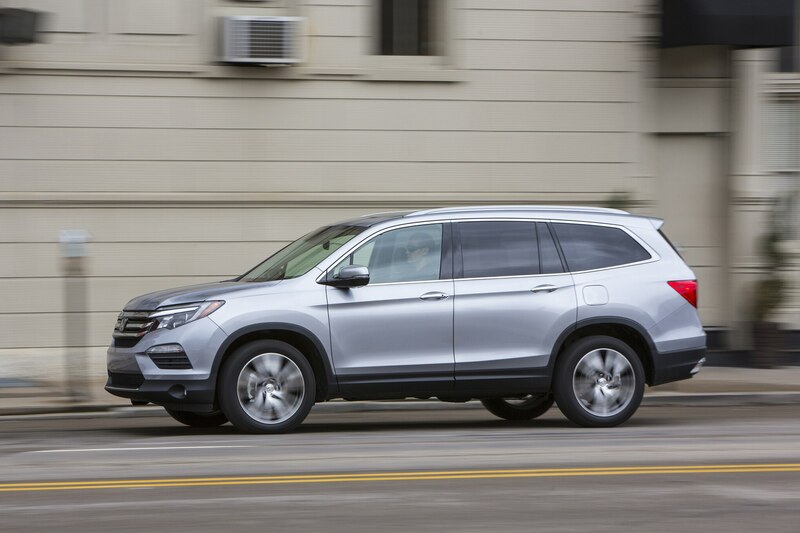 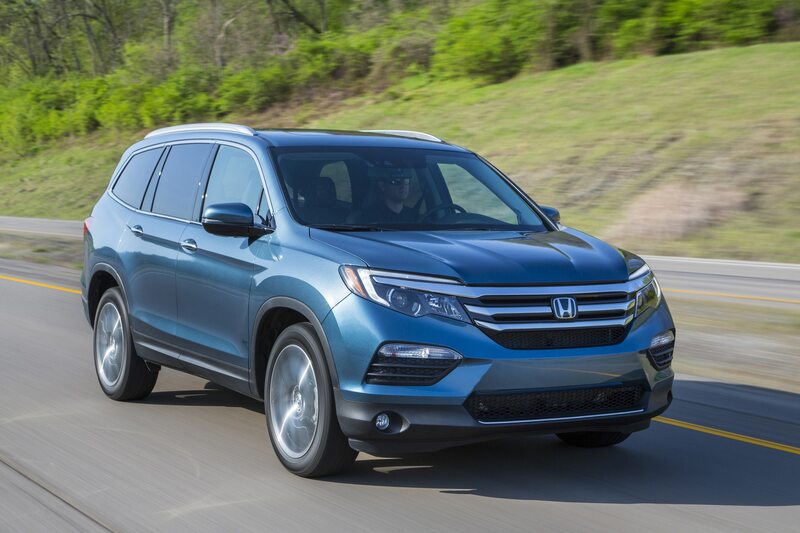 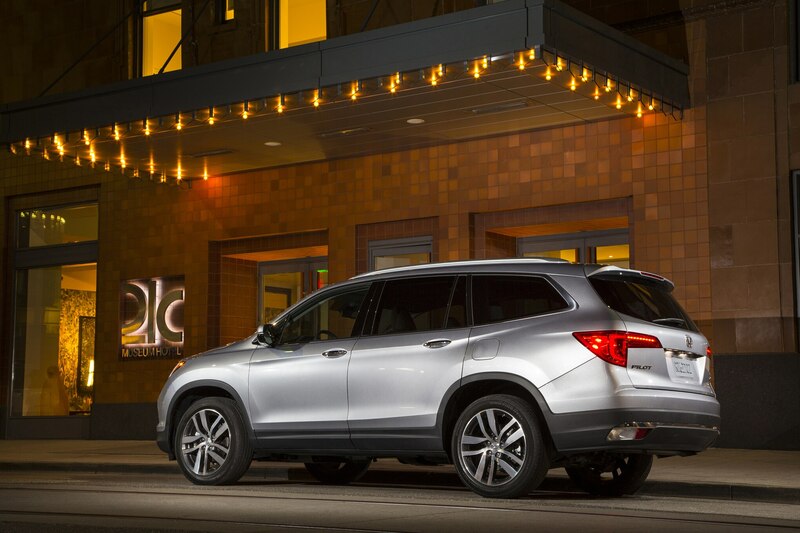 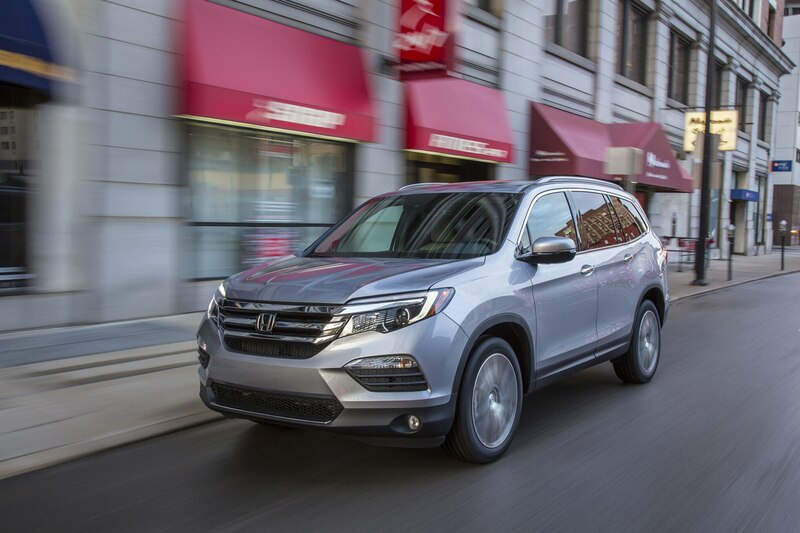 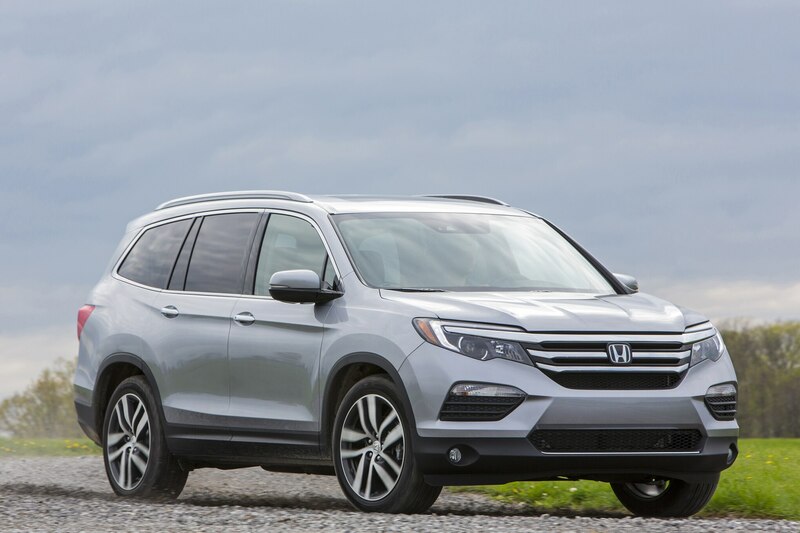 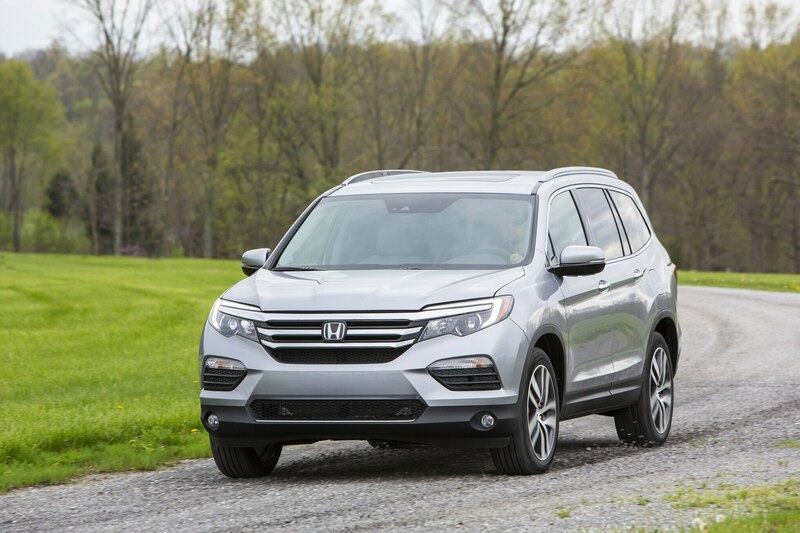 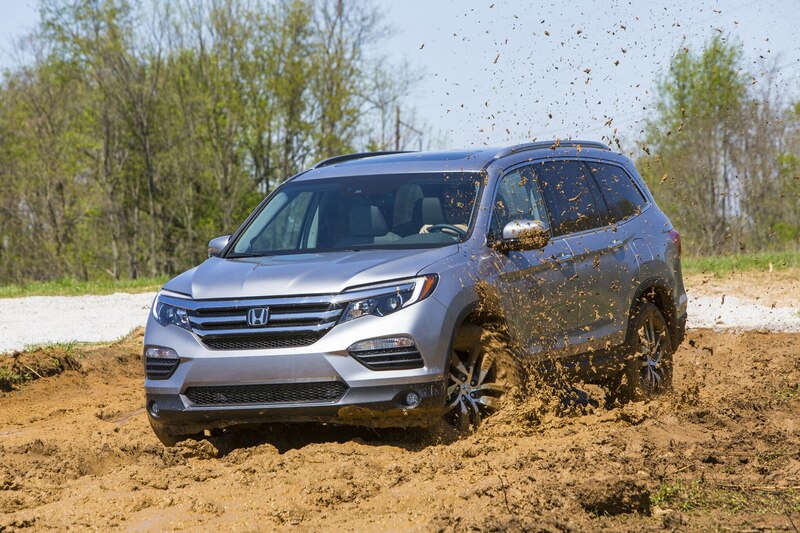 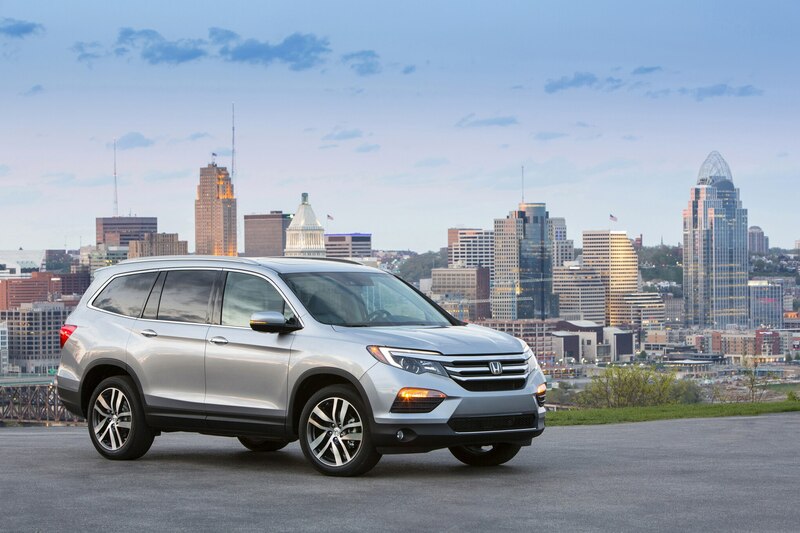 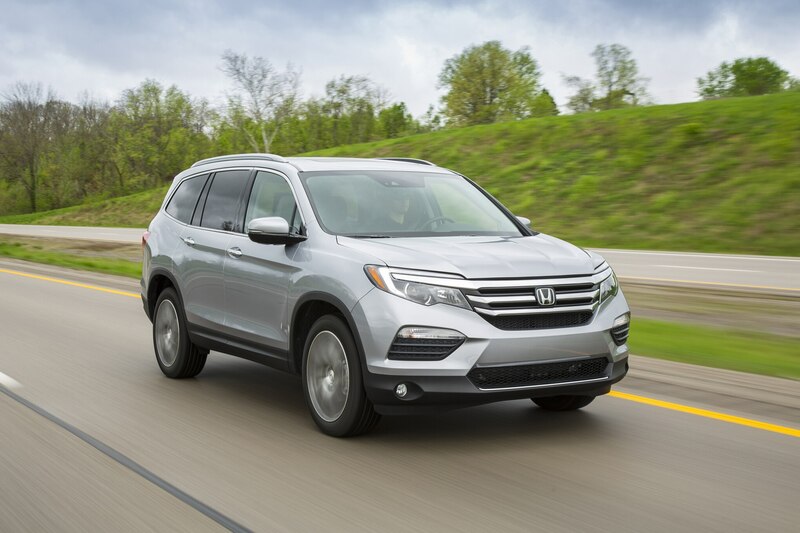 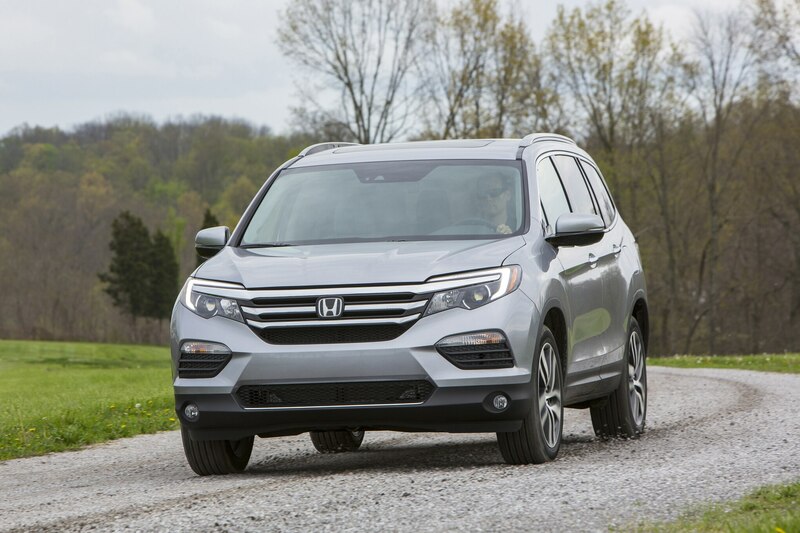 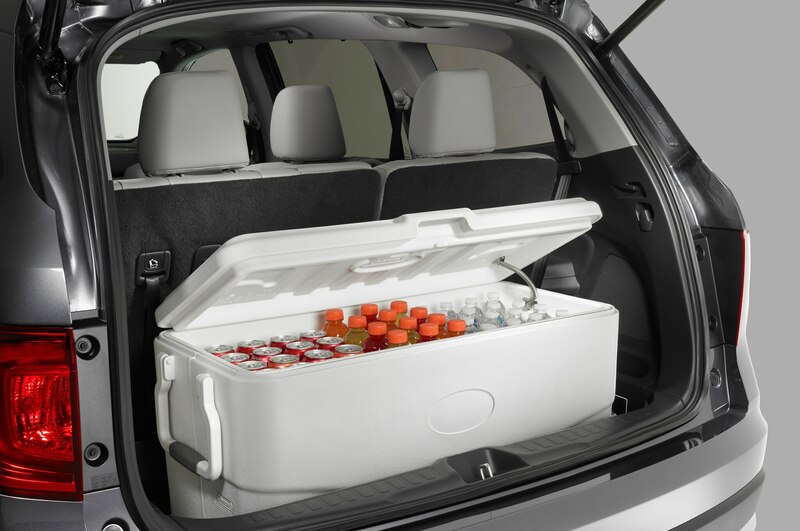 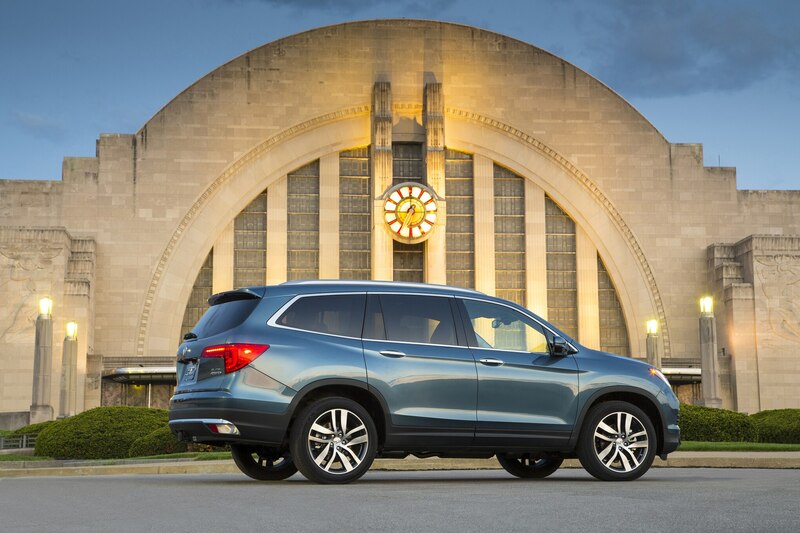 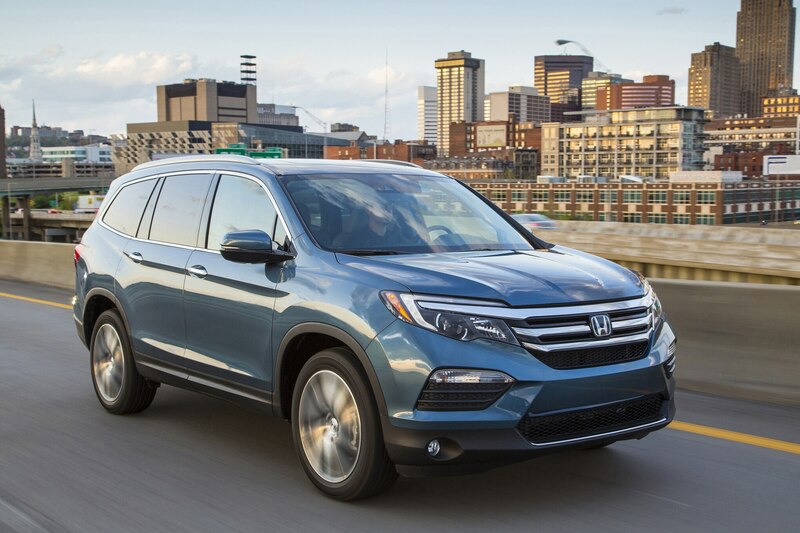 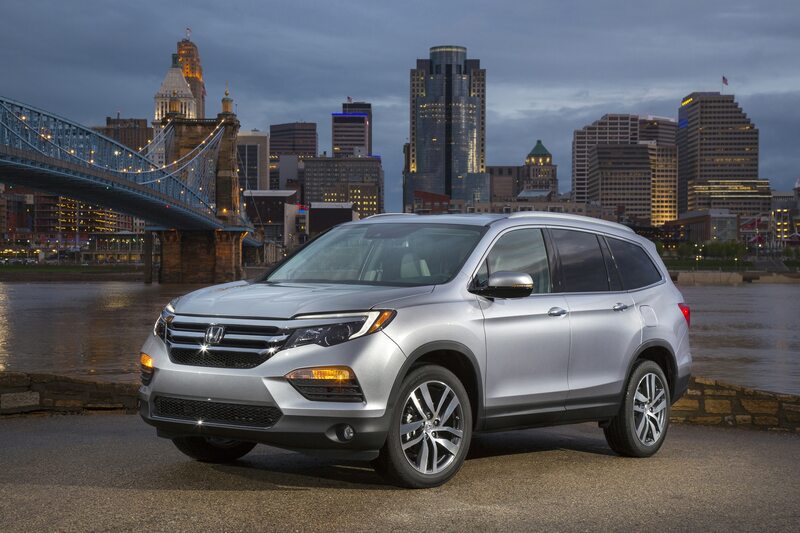 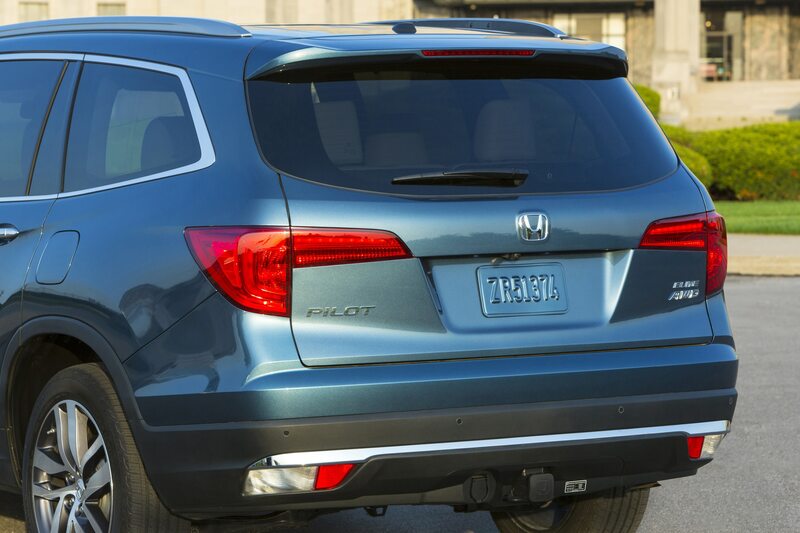 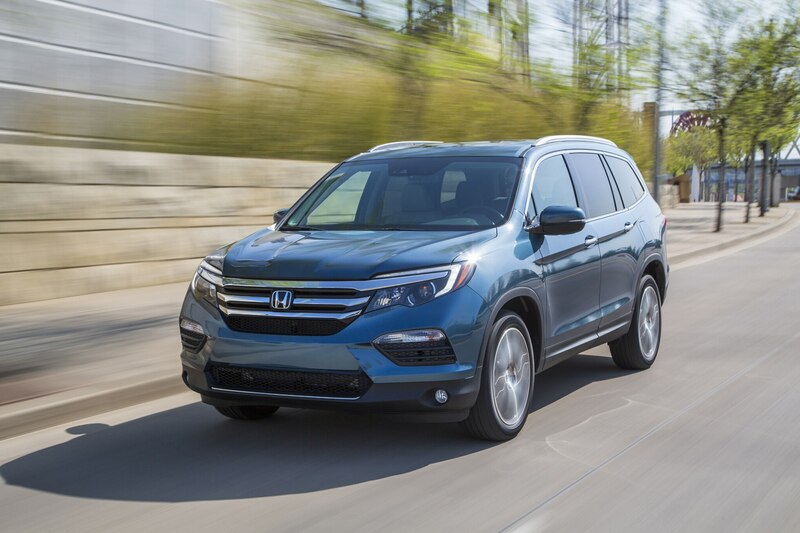 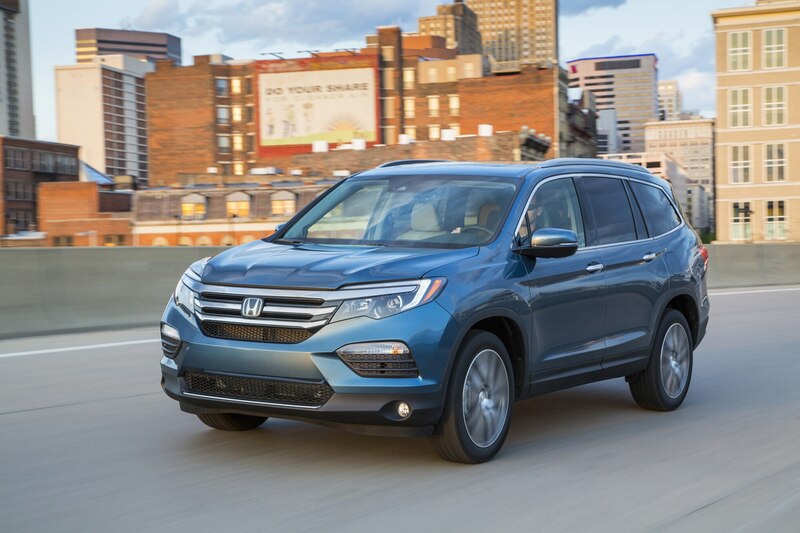 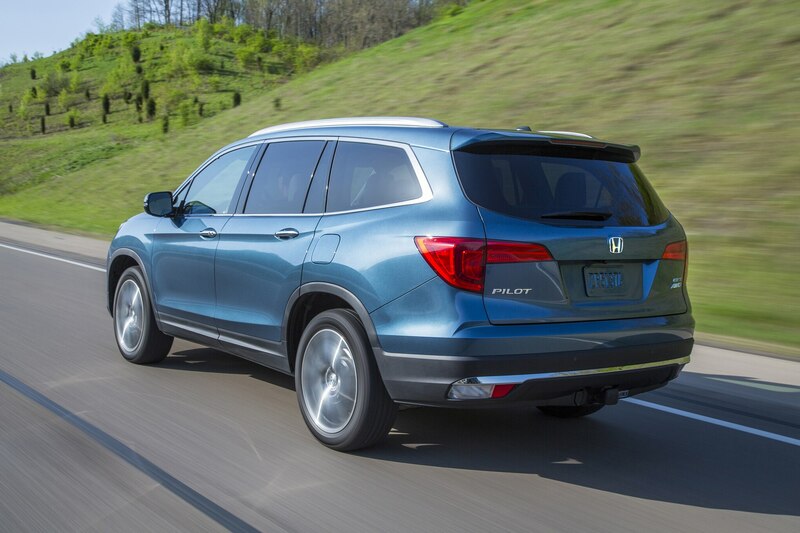 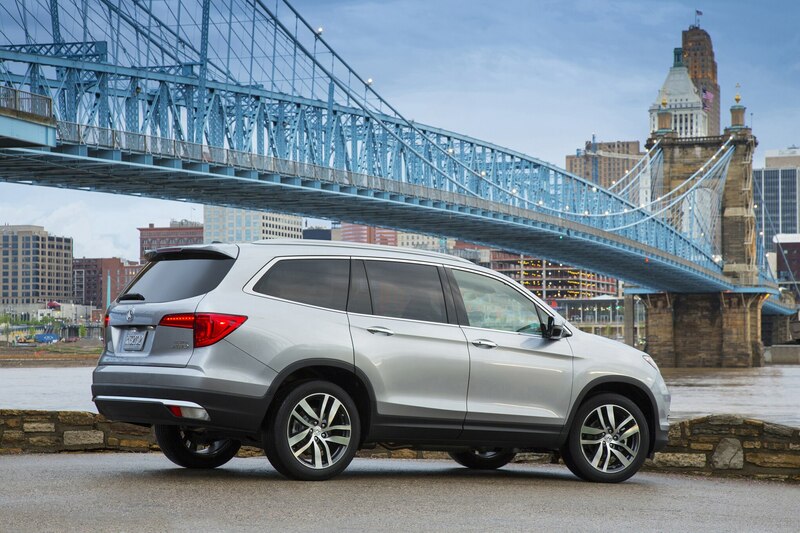 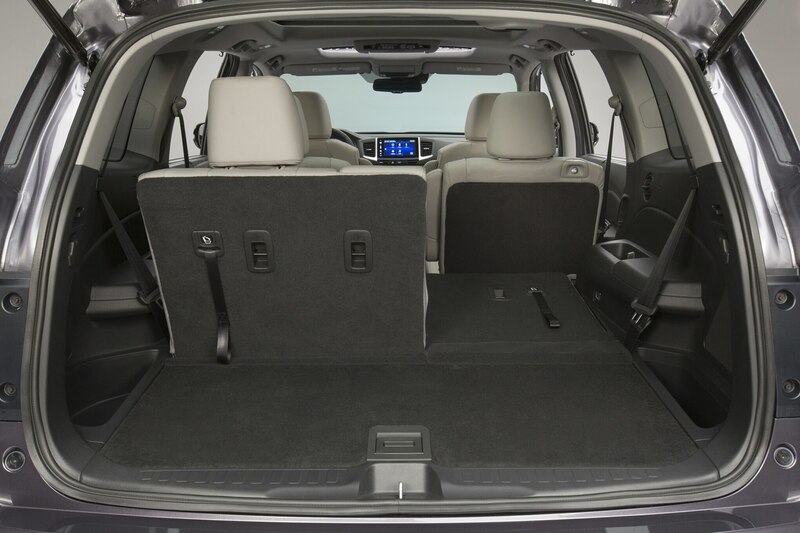 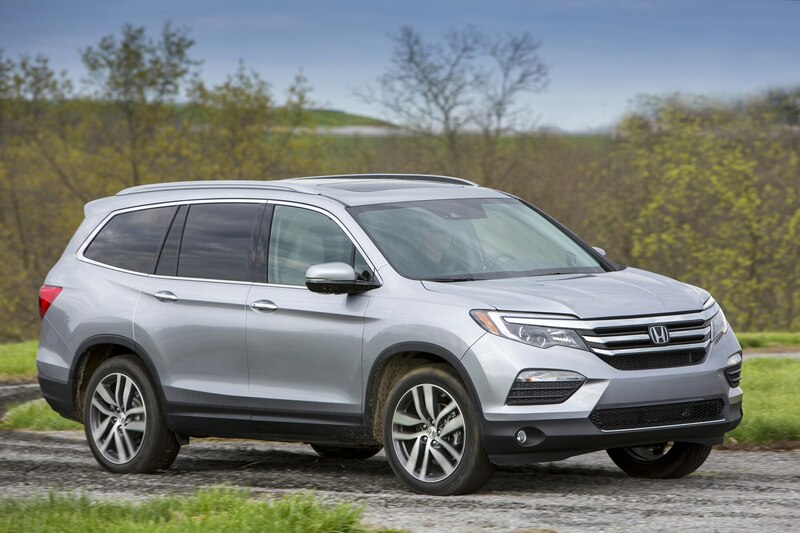 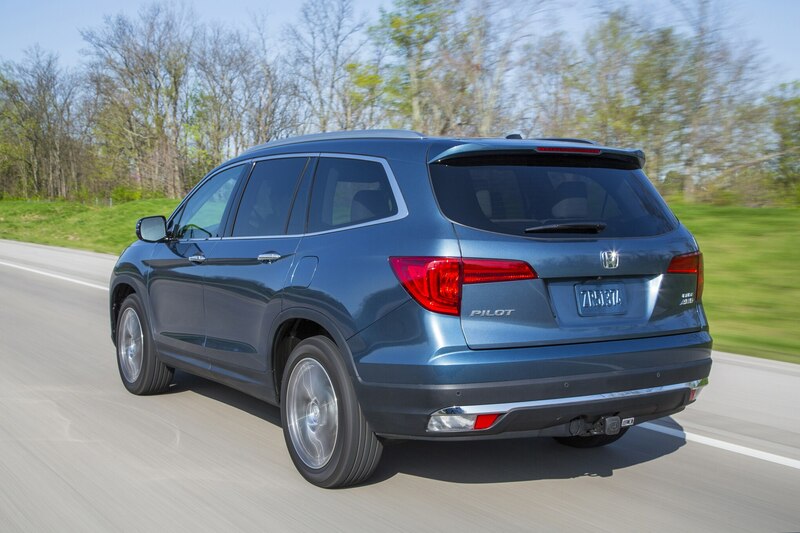 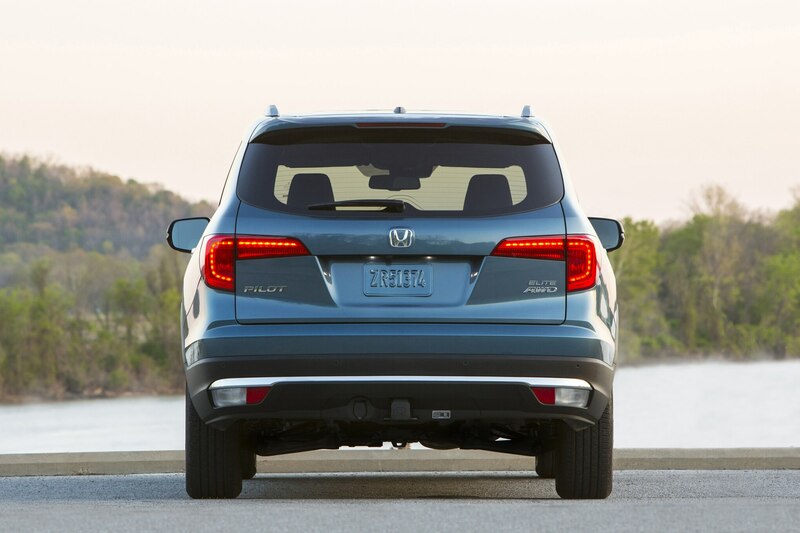 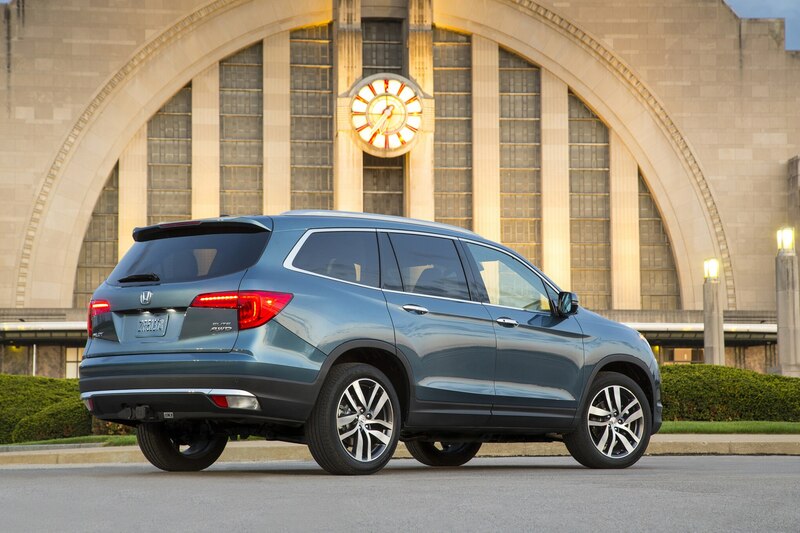 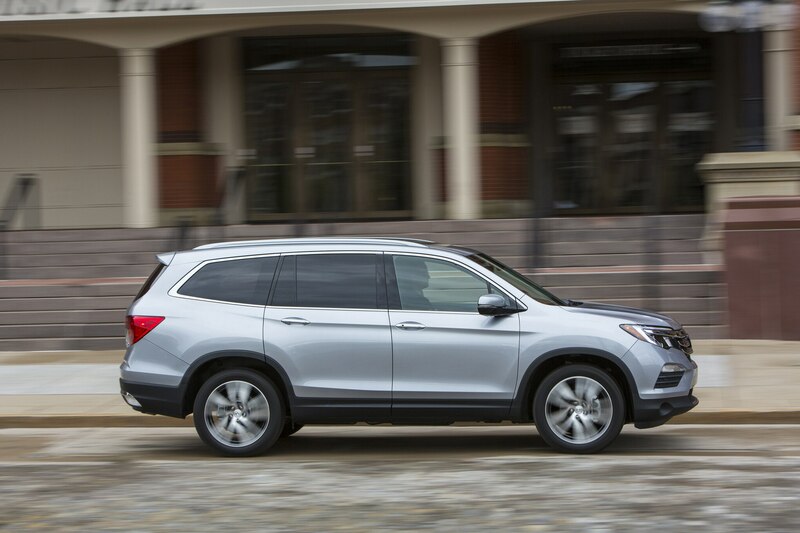 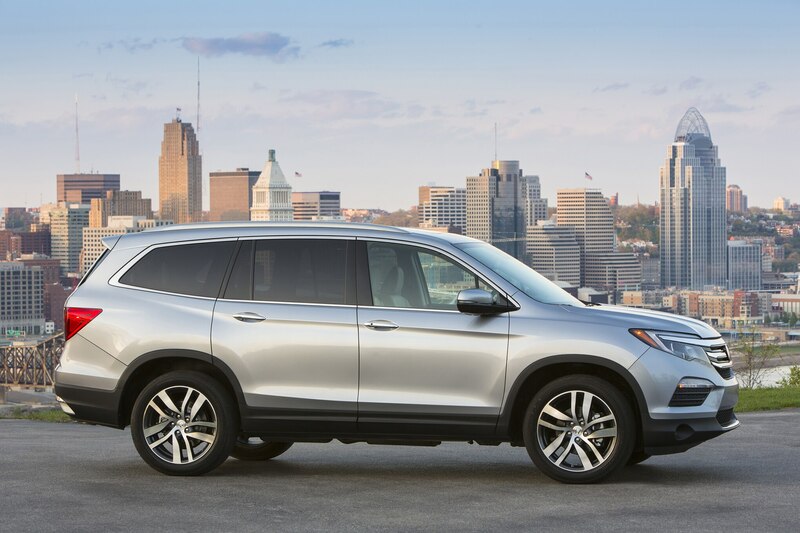 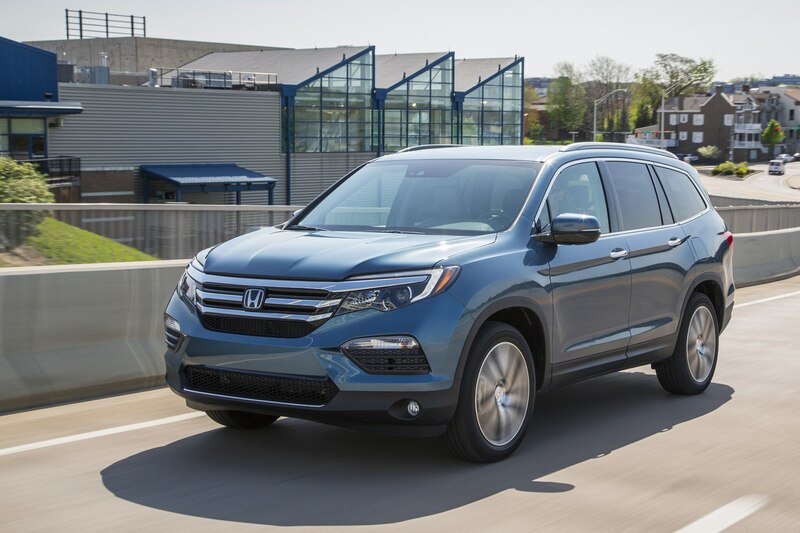 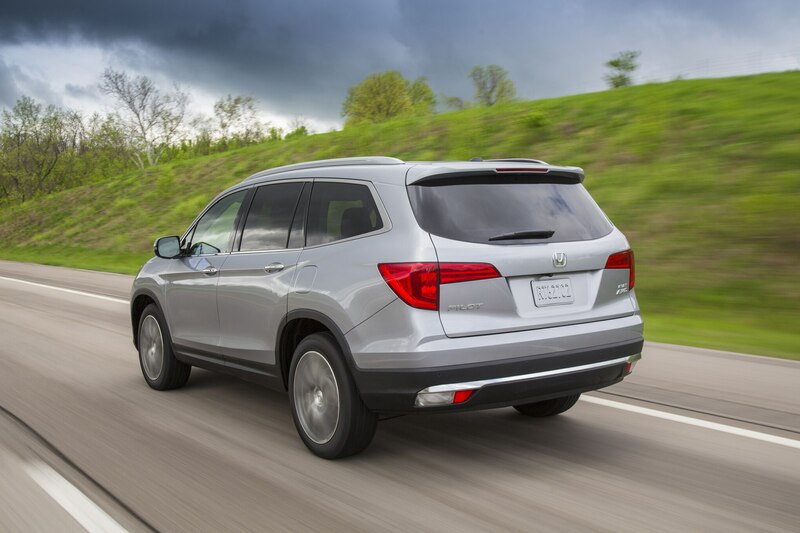 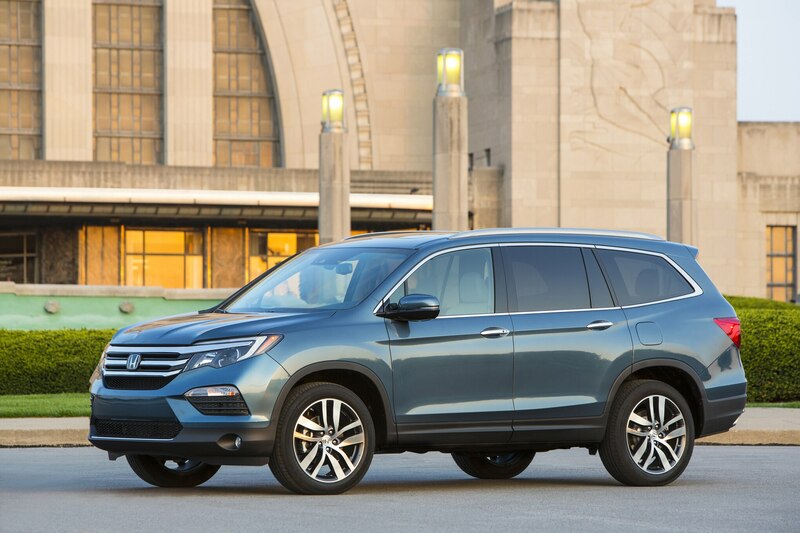 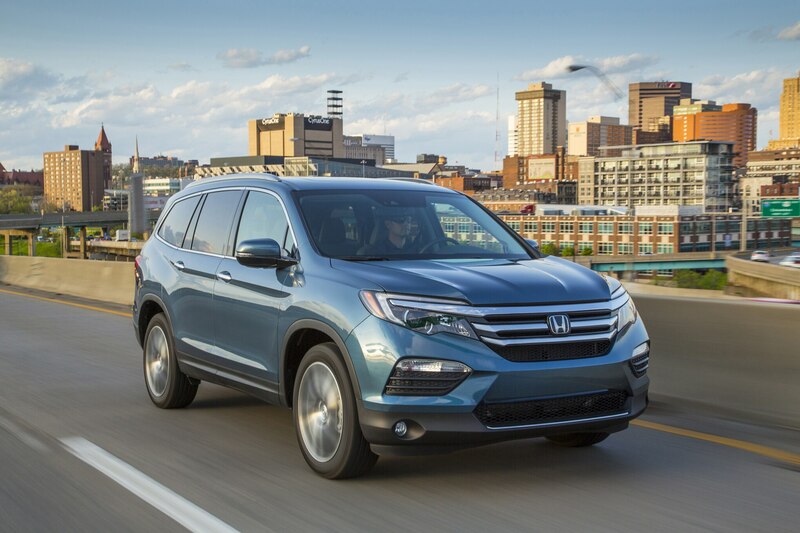 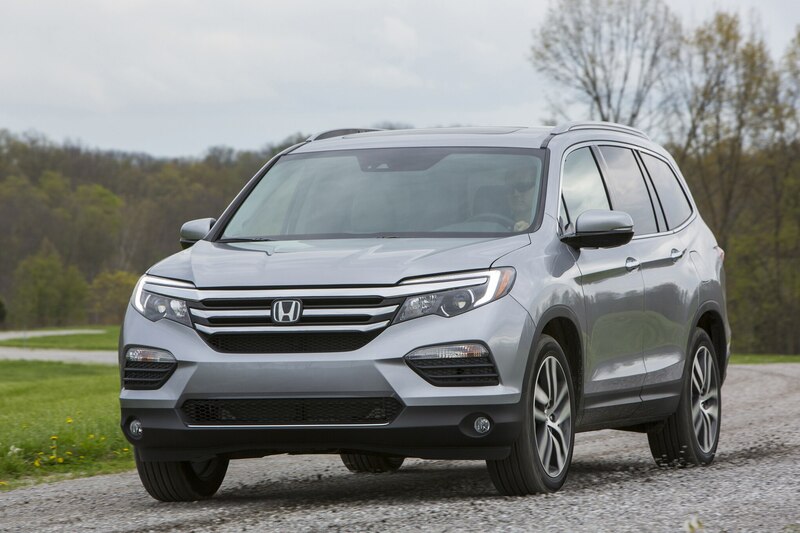 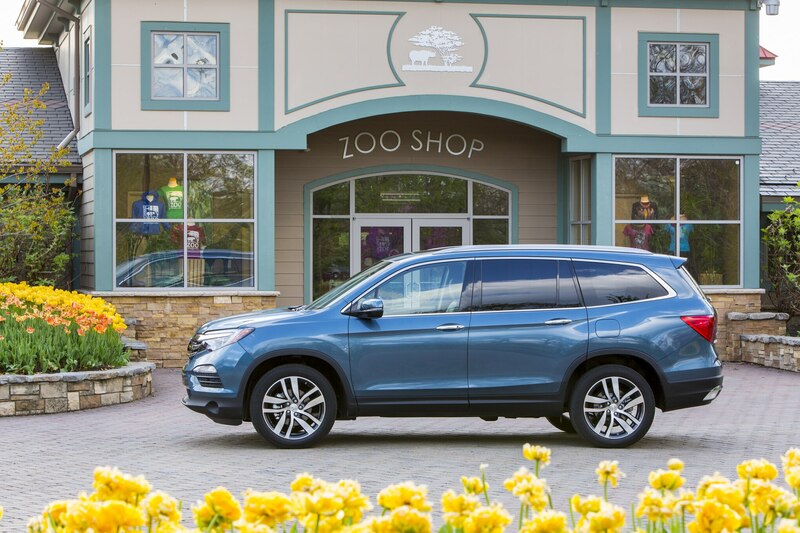 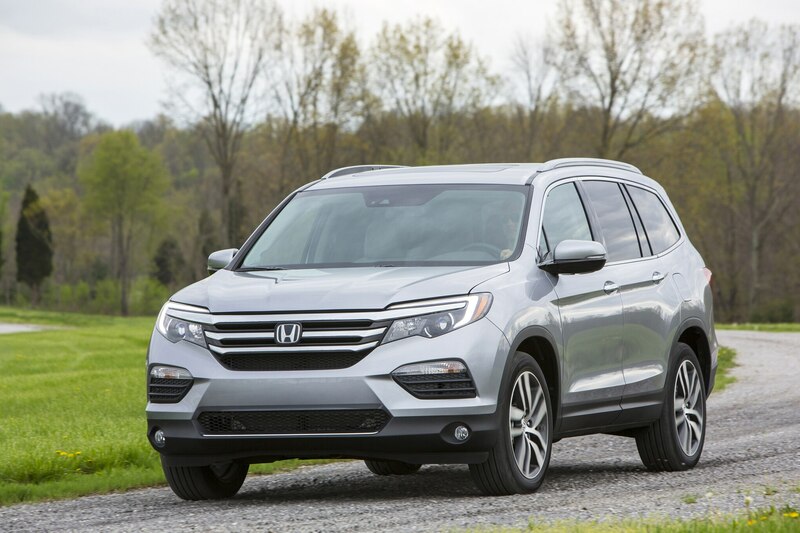 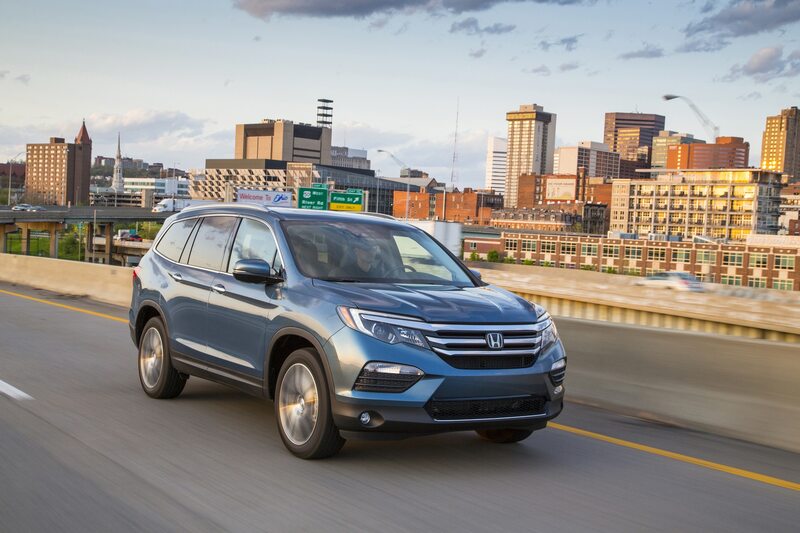 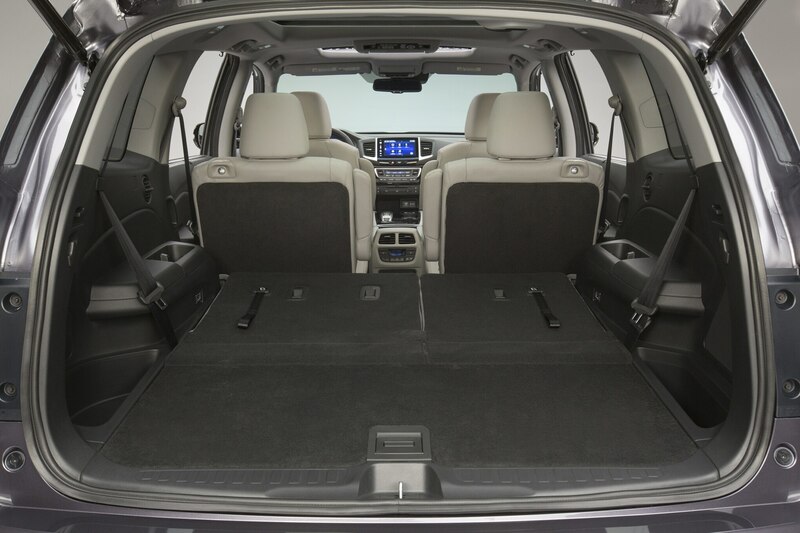 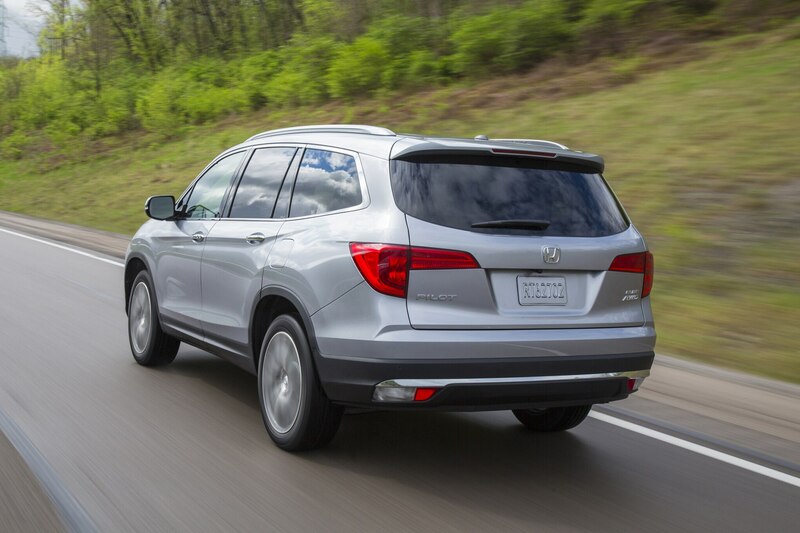 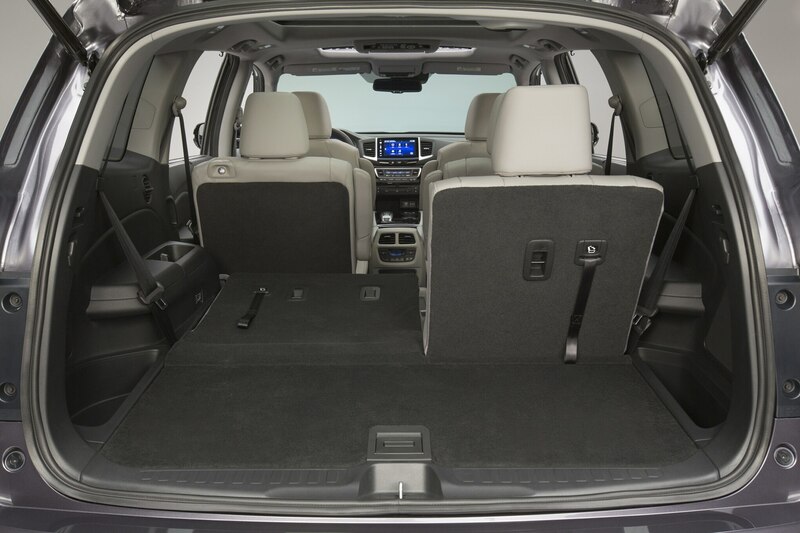 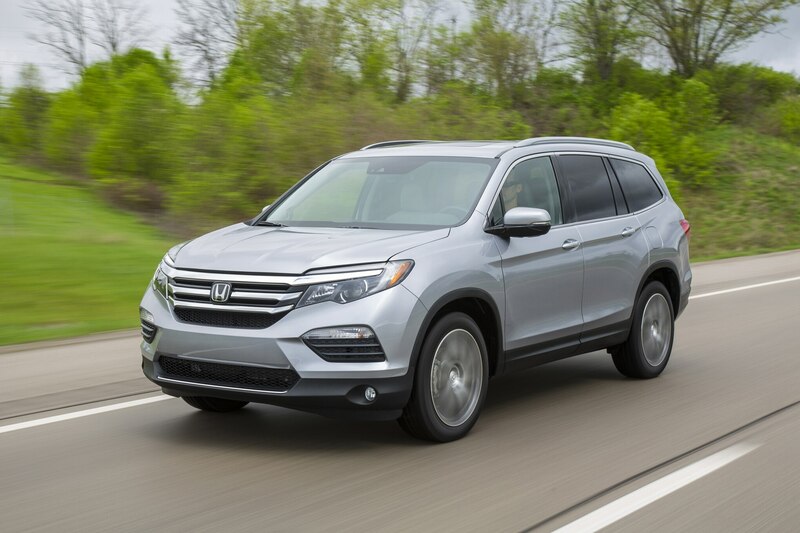 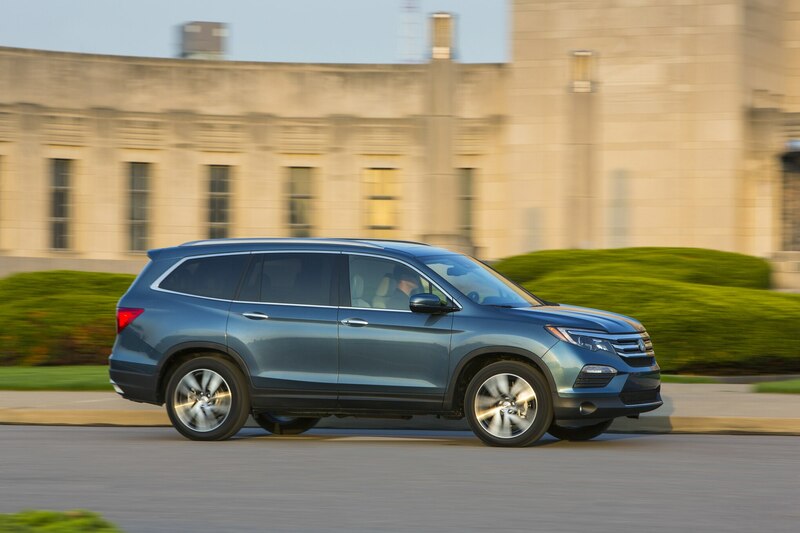 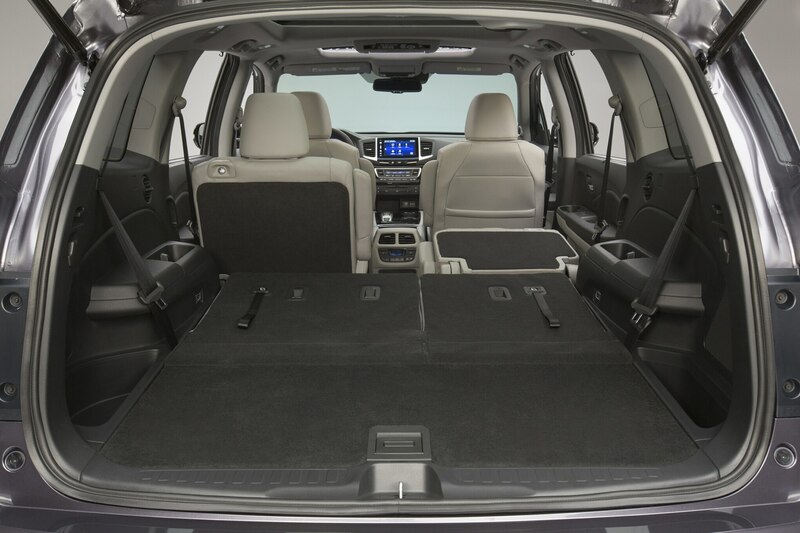 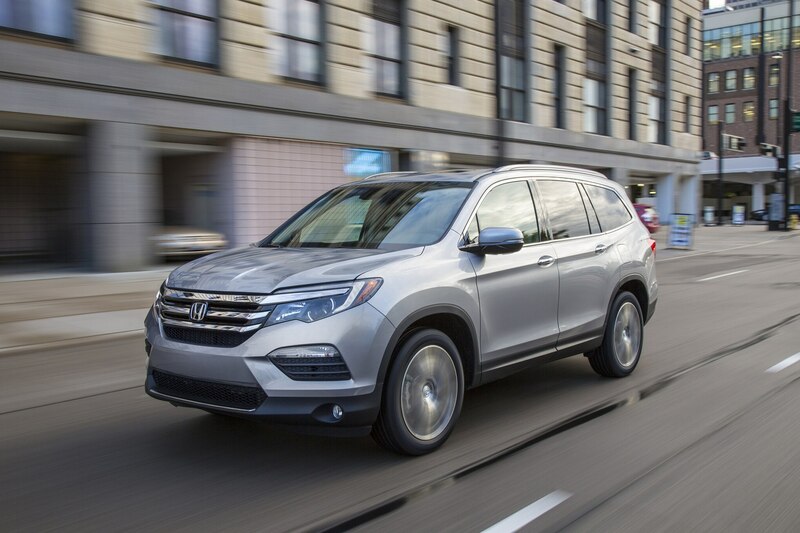 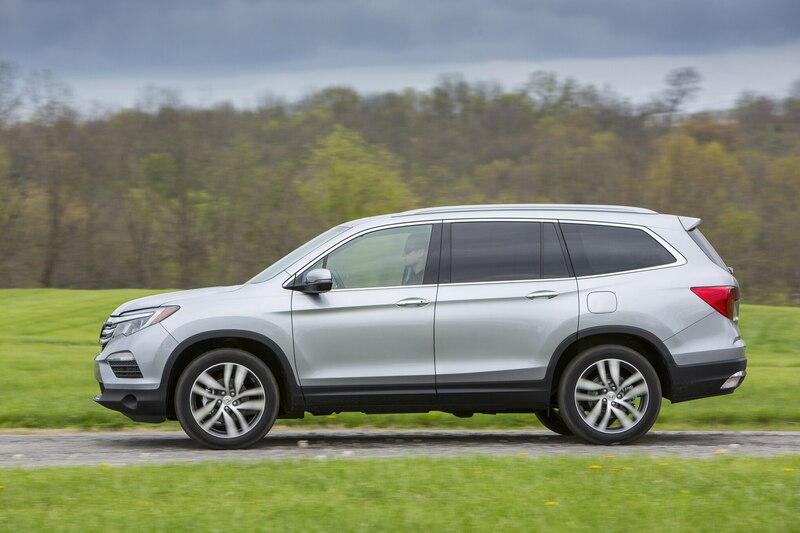 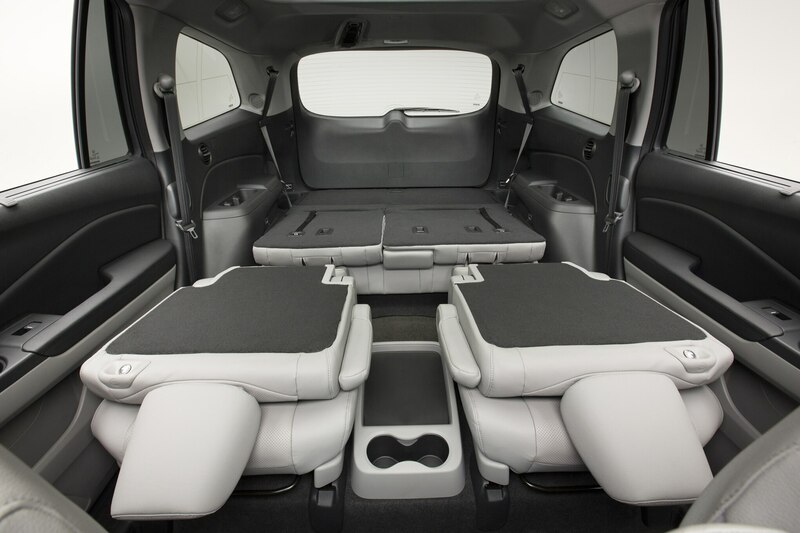 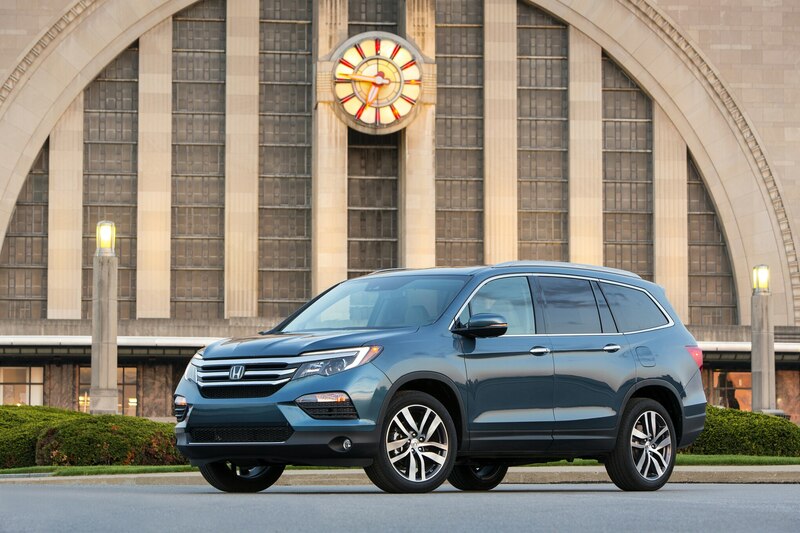 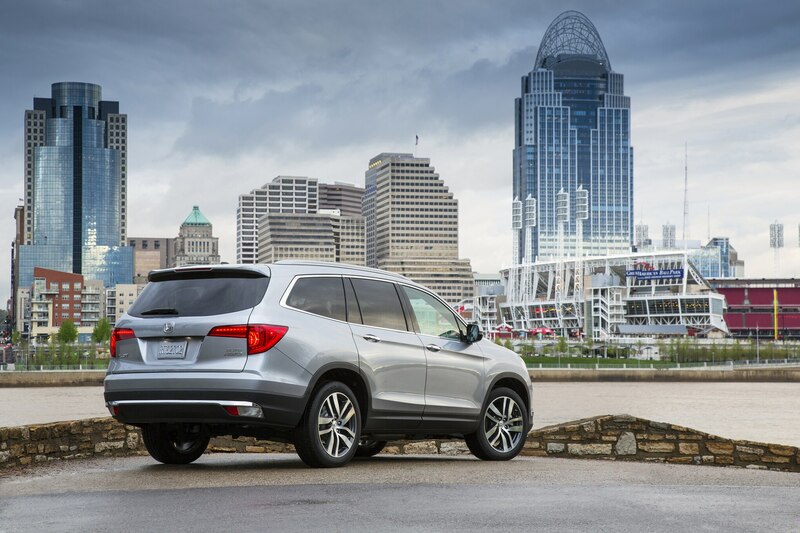 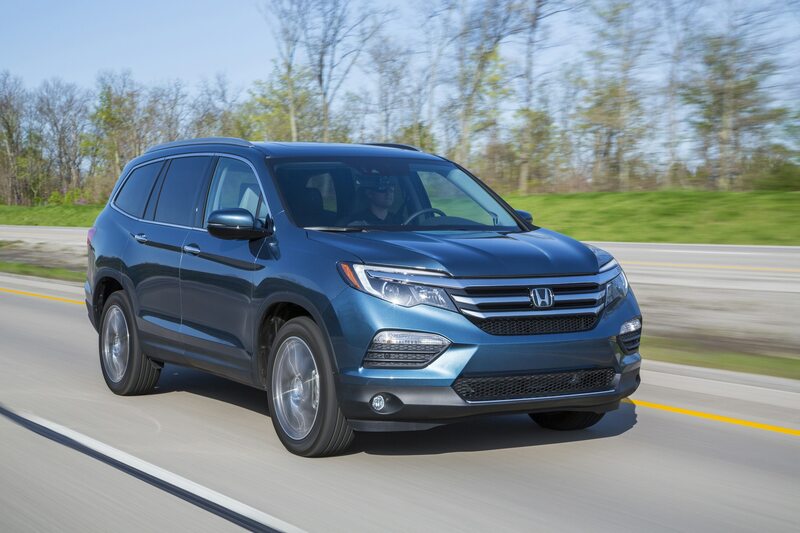 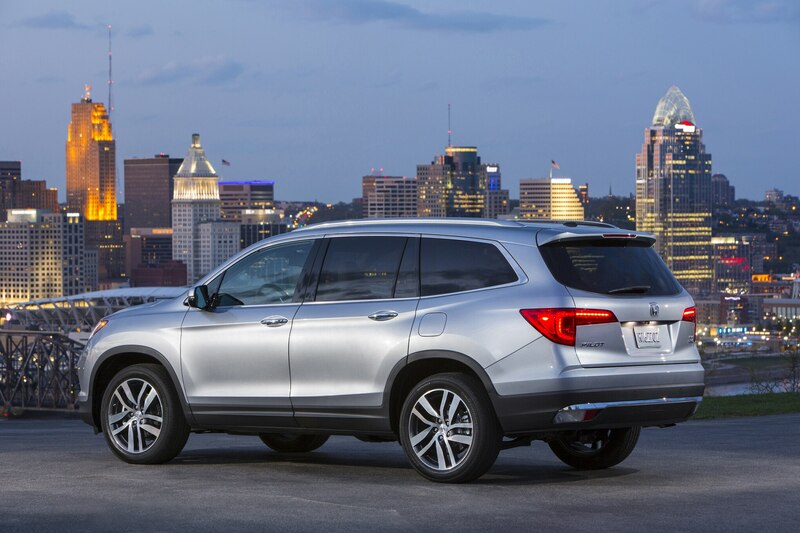 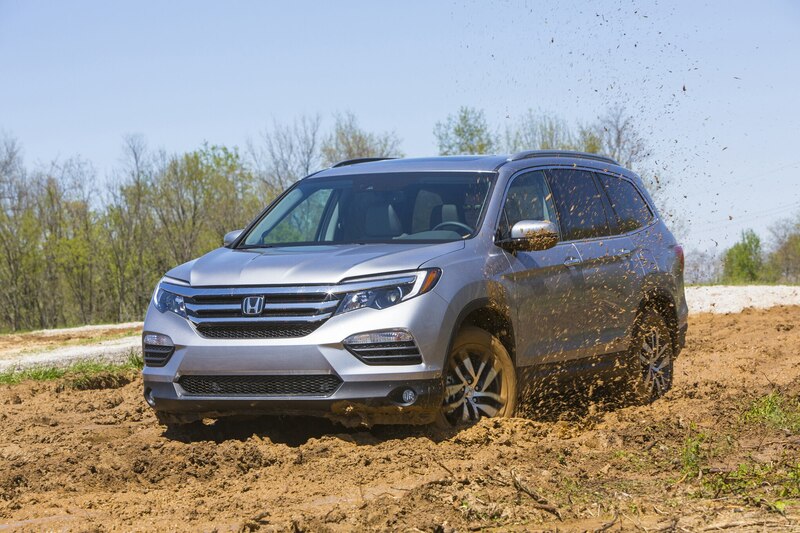 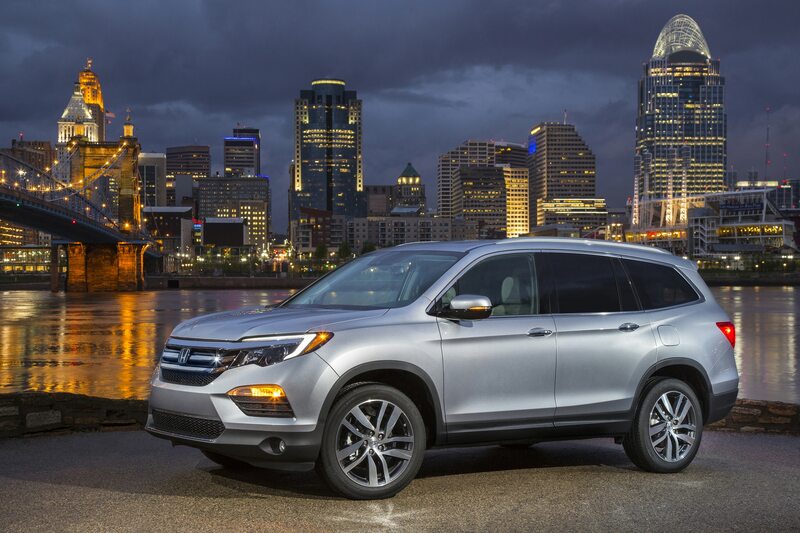 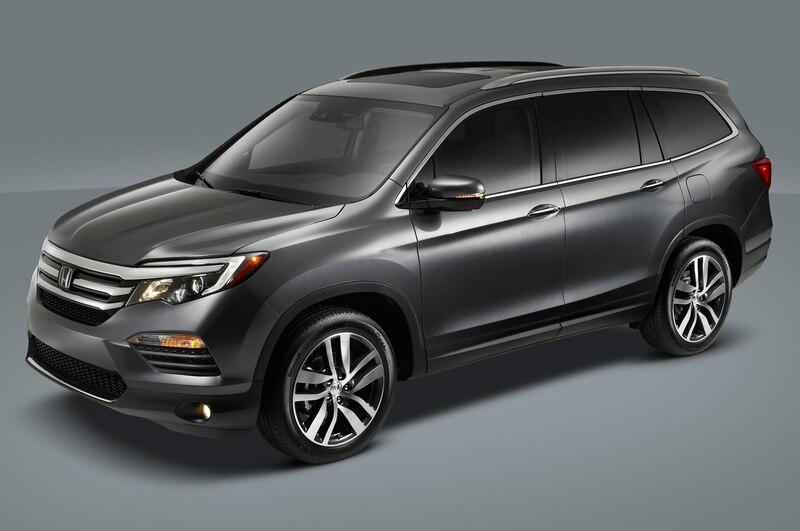 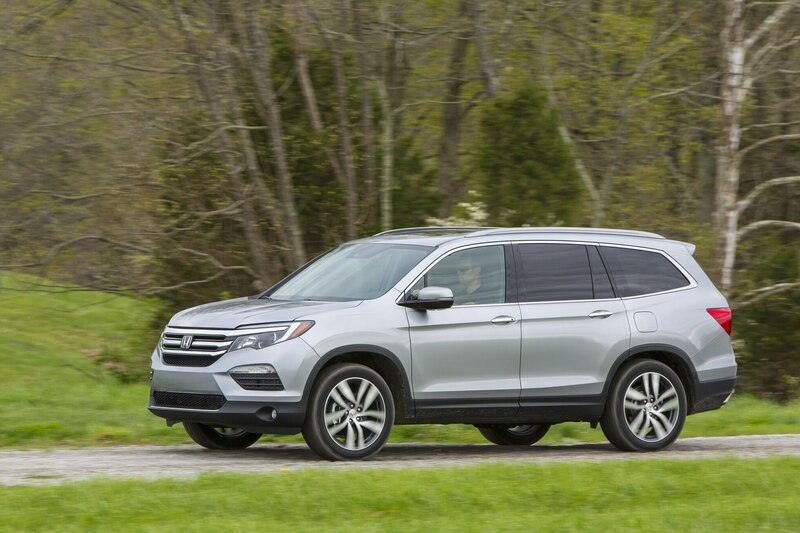 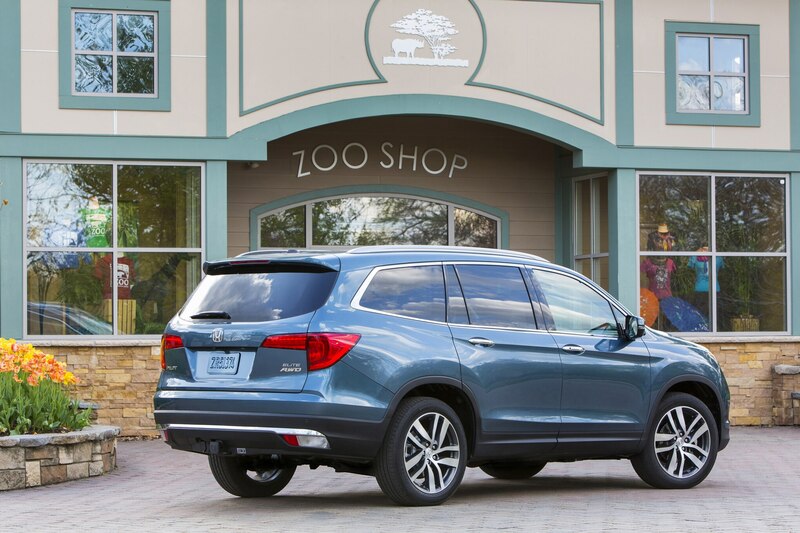 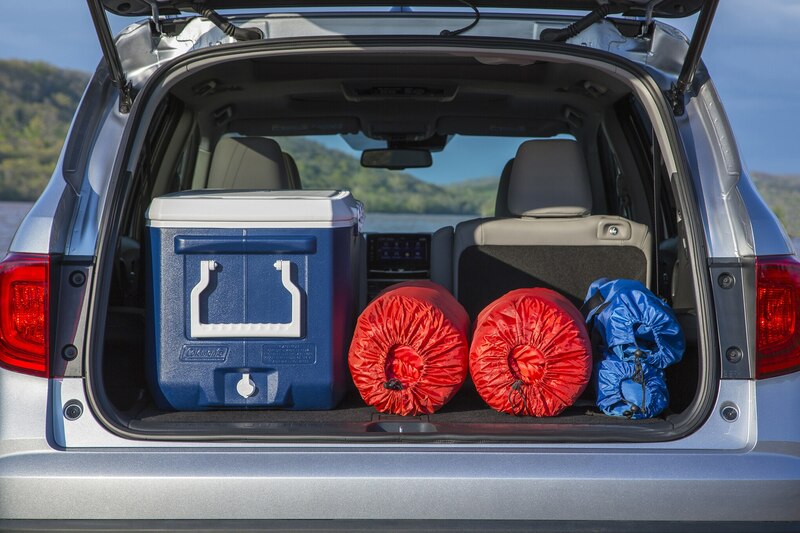 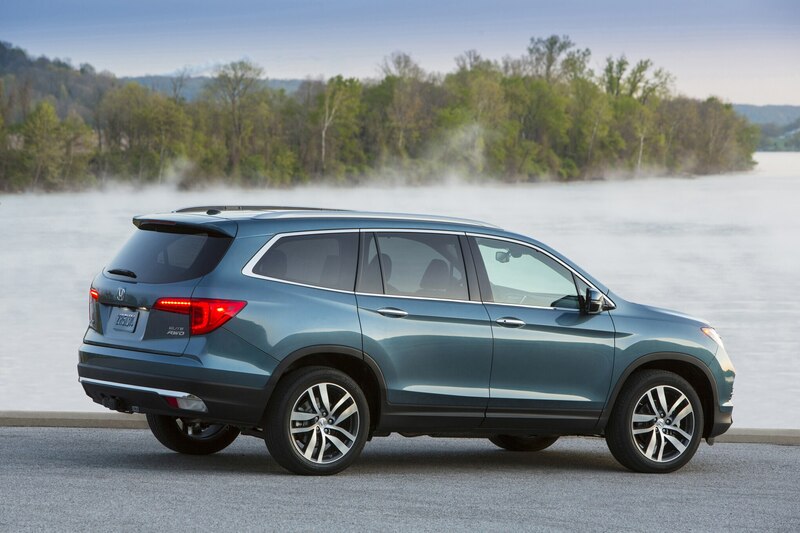 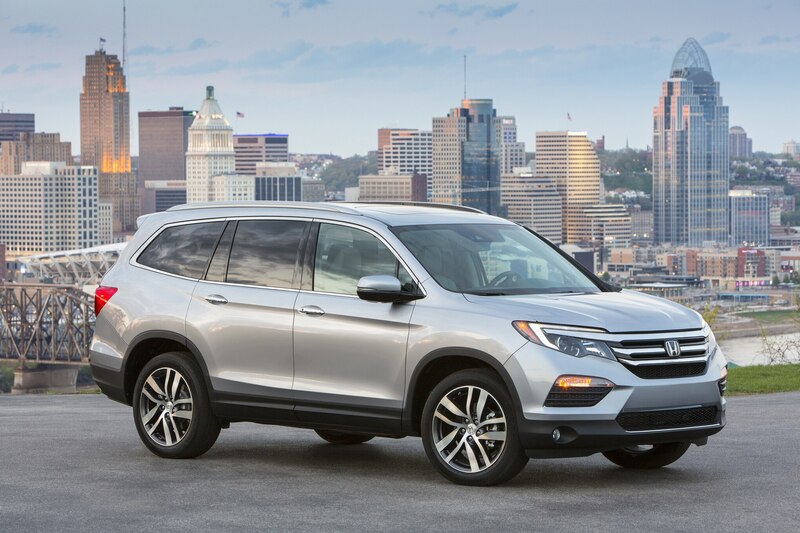 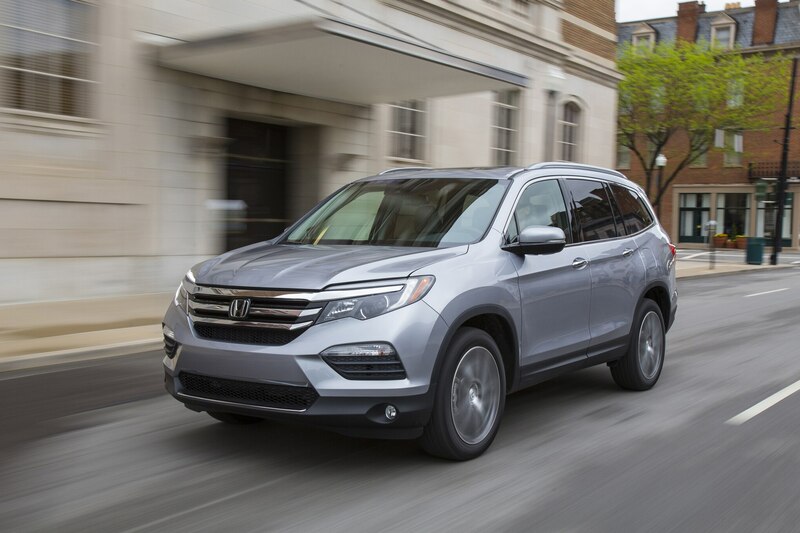 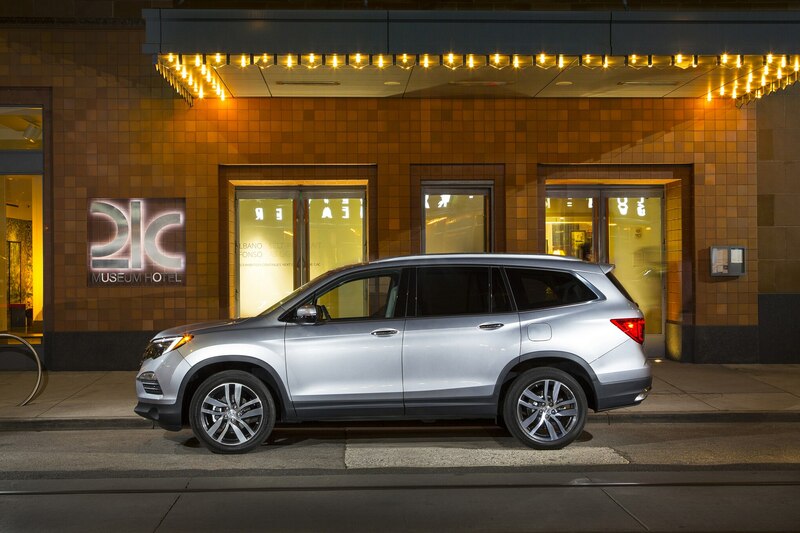 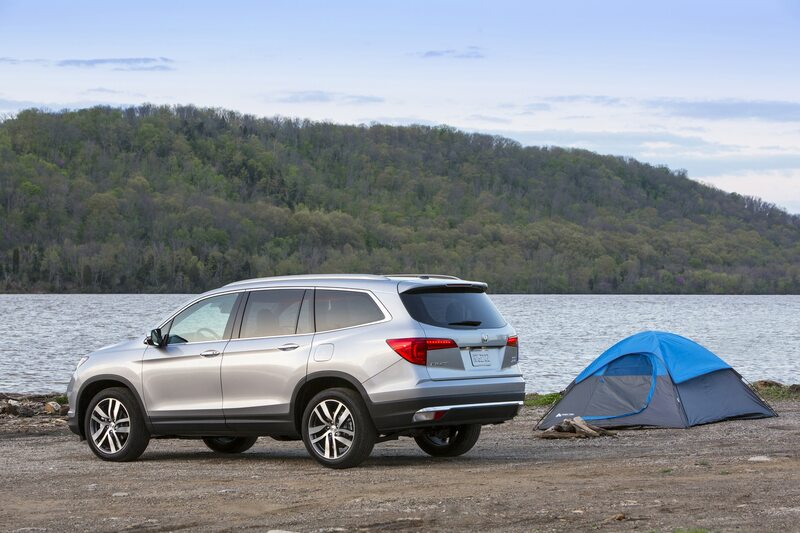 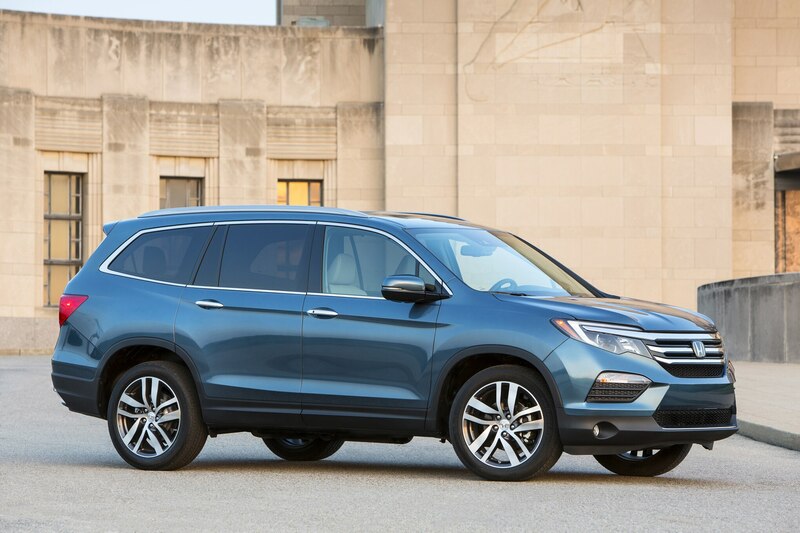 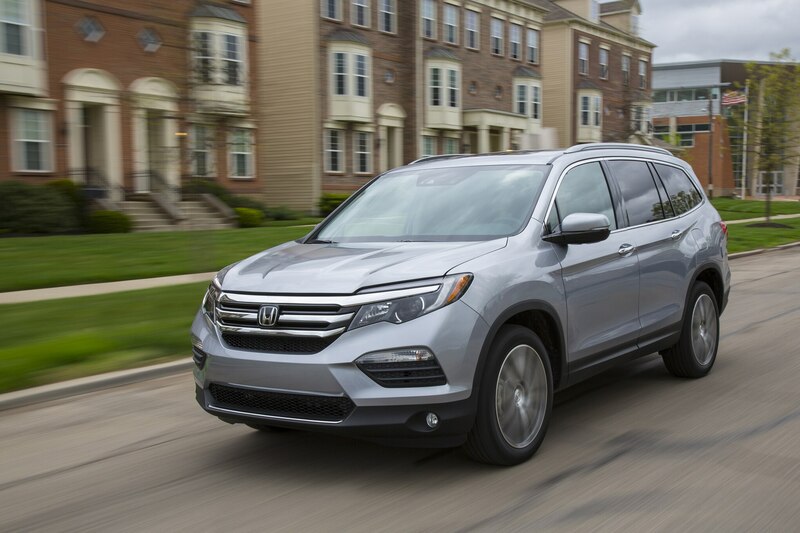 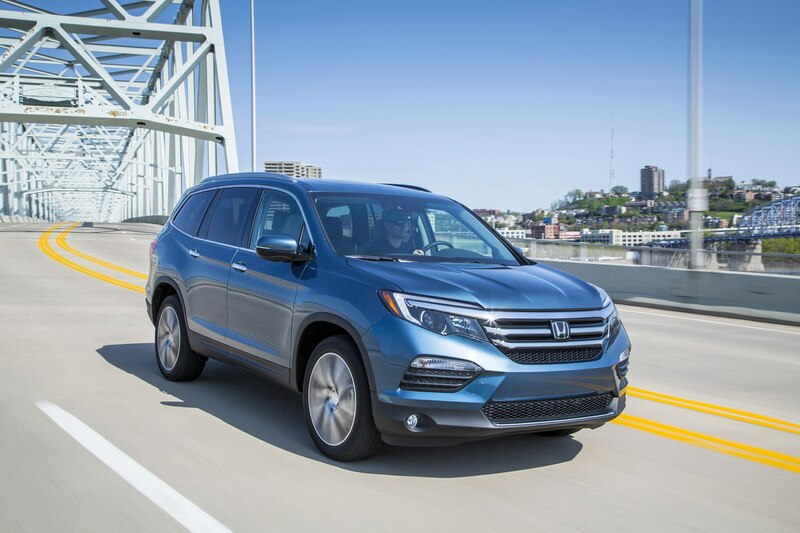 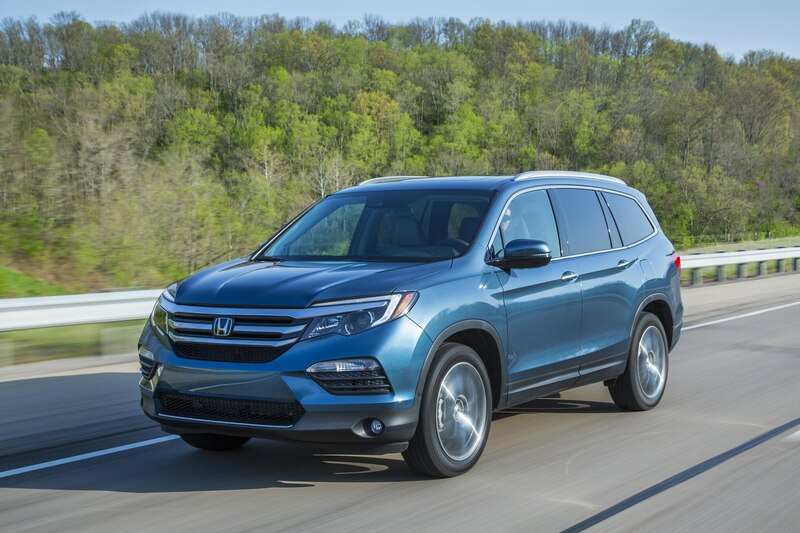 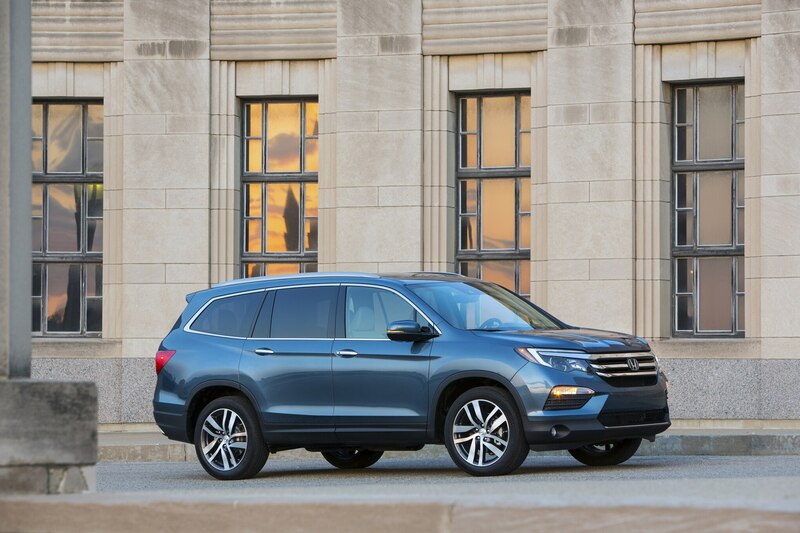 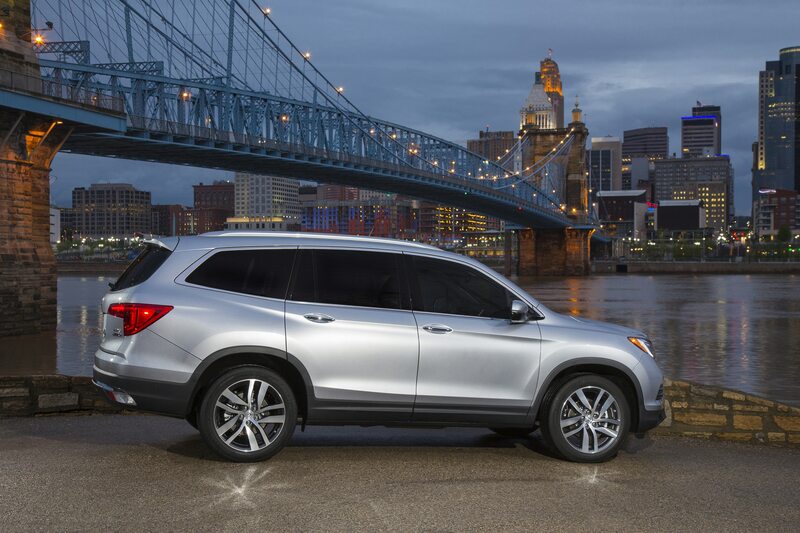 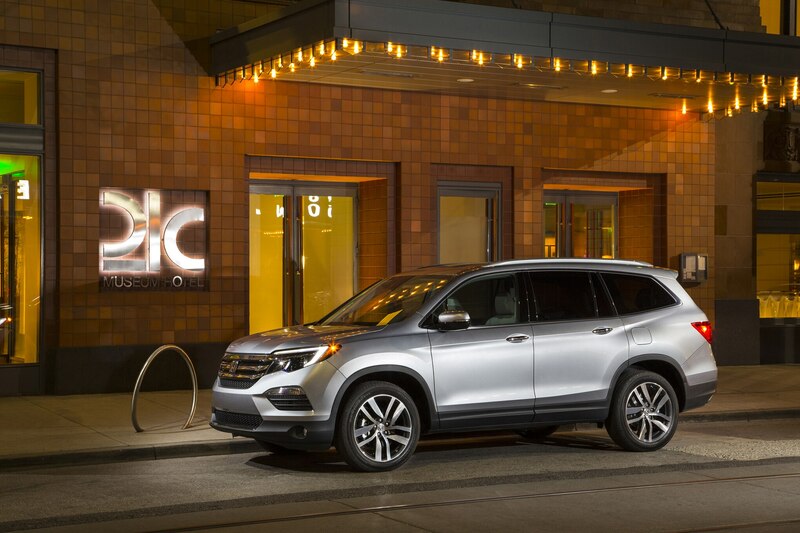 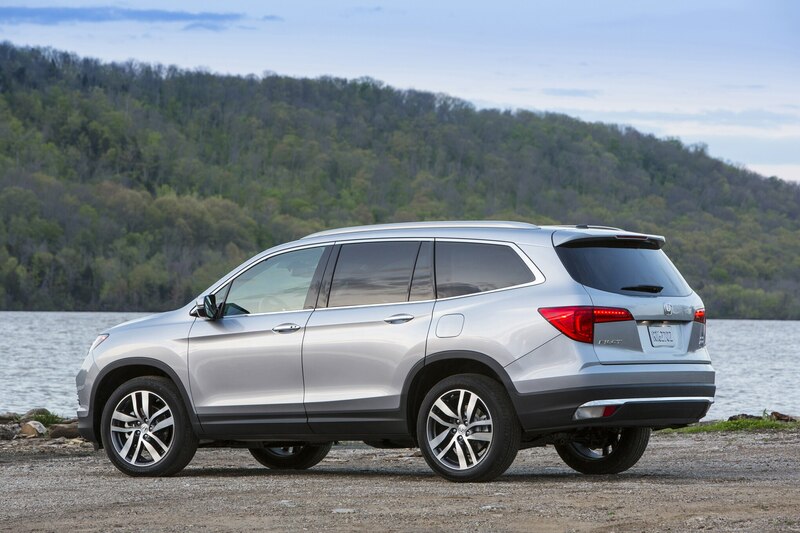 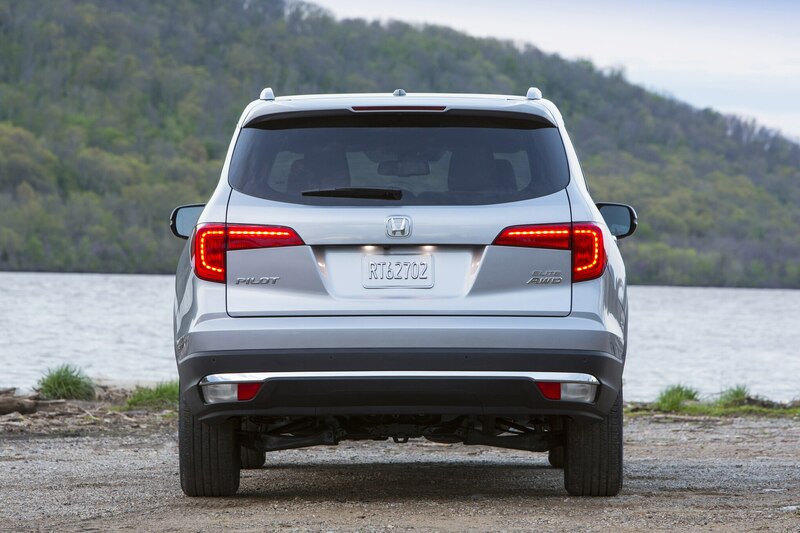 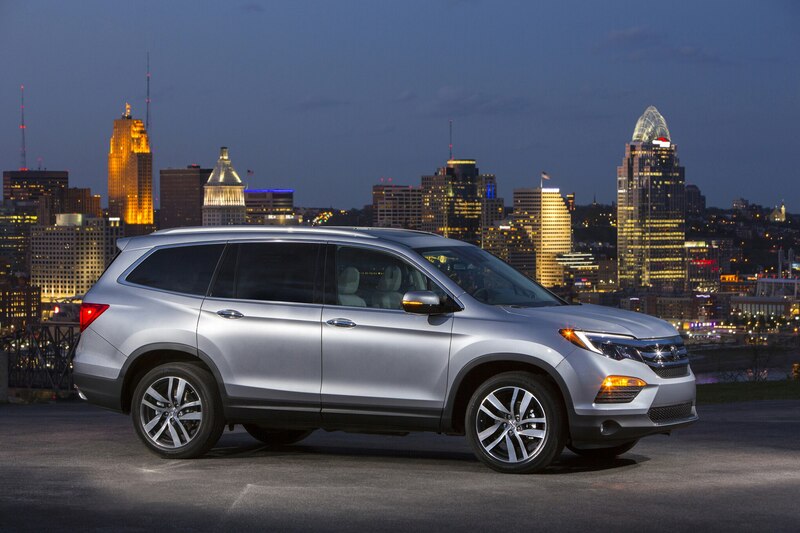 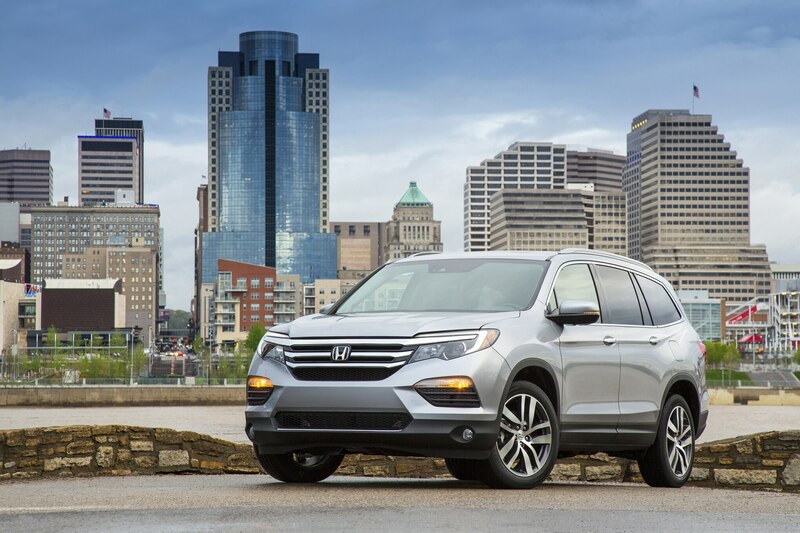 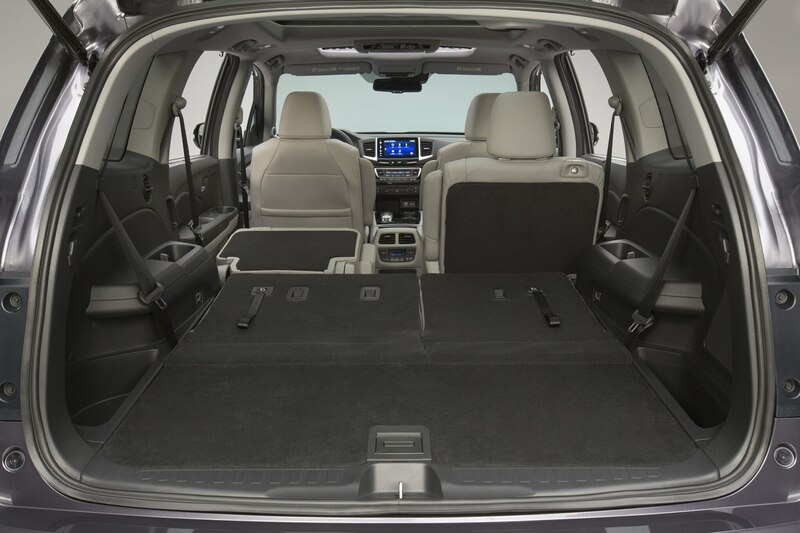 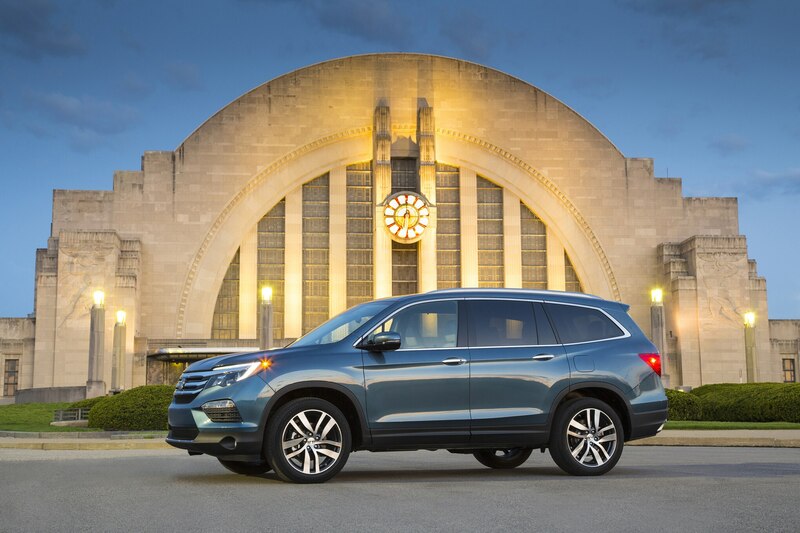 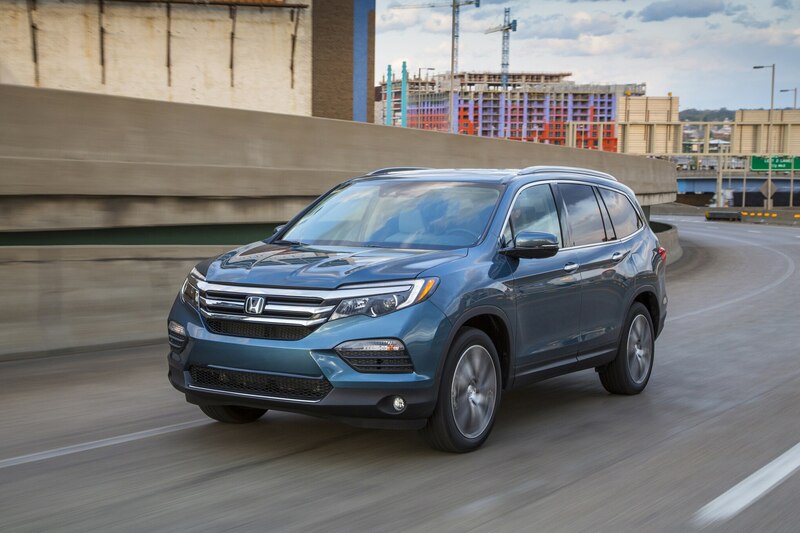 Honda took about 300 pounds out of the ’16 Pilot while increasing torsional rigidity by 25 percent and mass rigidity by 67 percent. 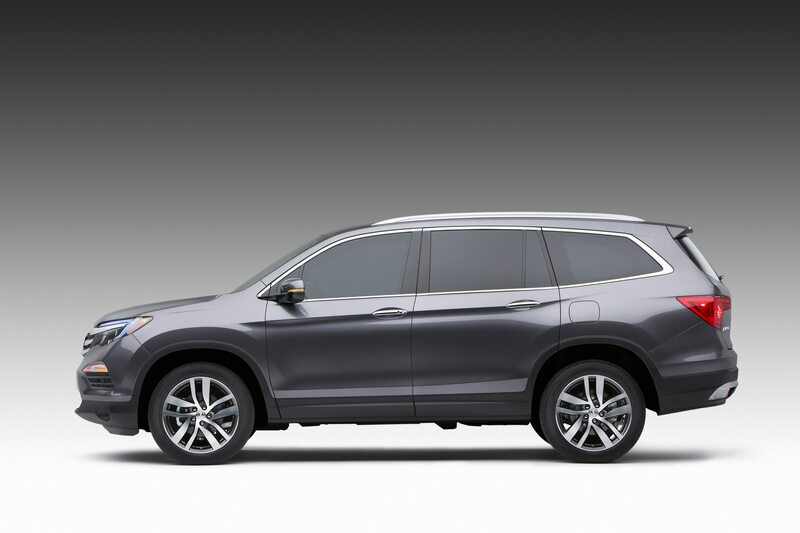 The Honda Pilot will share its three-bone unibody frame with the next Ridgeline pickup and next-generation Odyssey minivan. 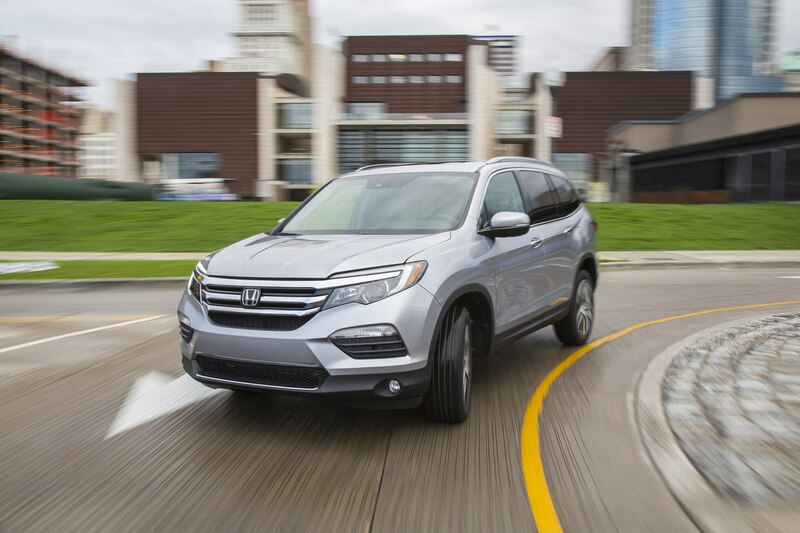 The standard IIHS tests required three 2016 Honda Pilots, Bautsch said — one for braking and another for roof crush, in addition to the small offset. 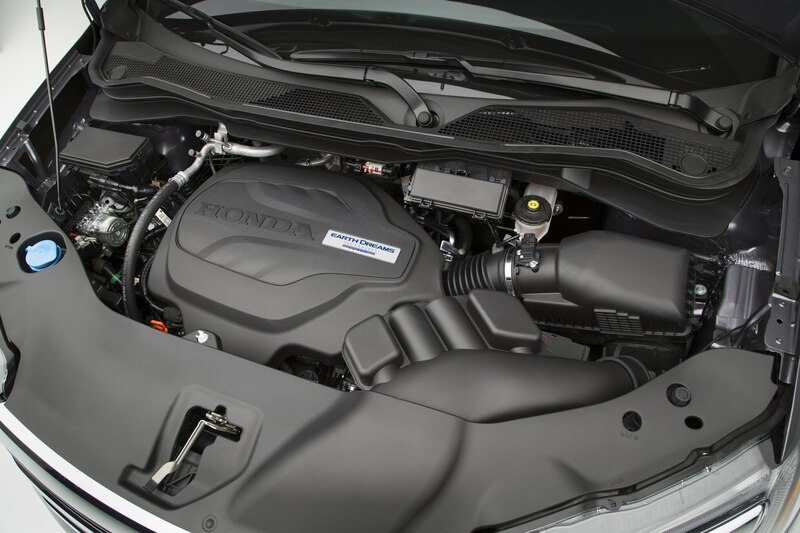 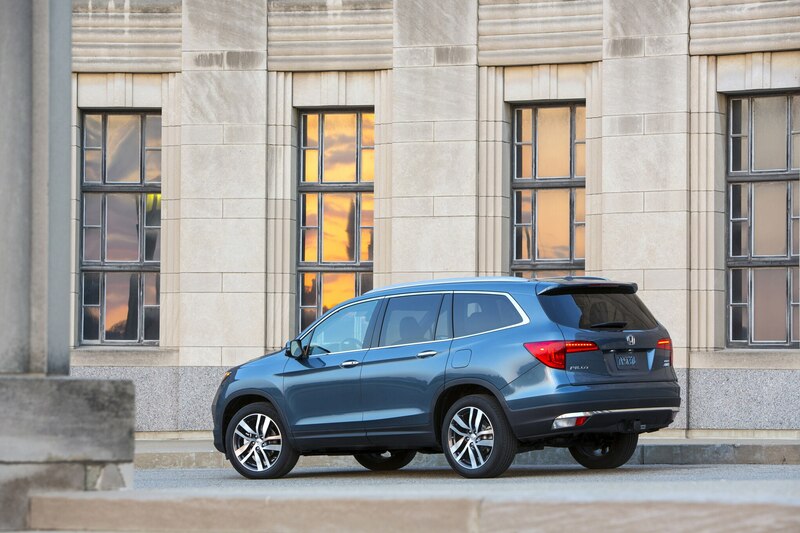 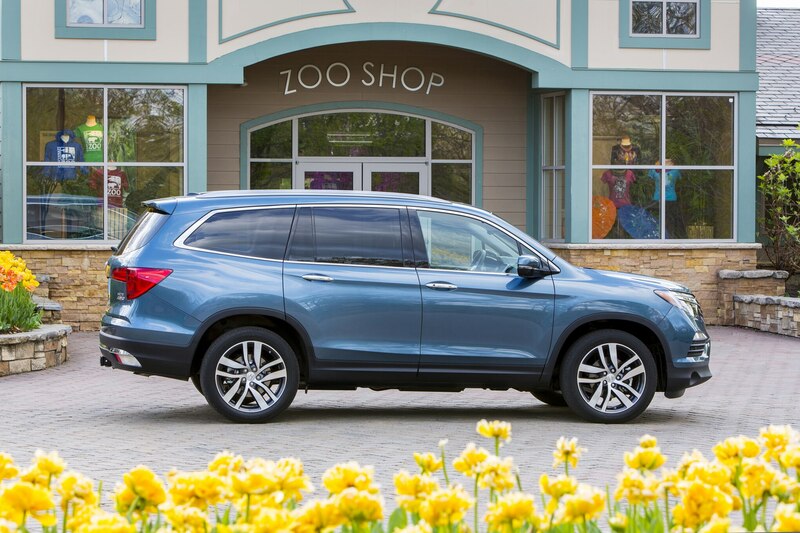 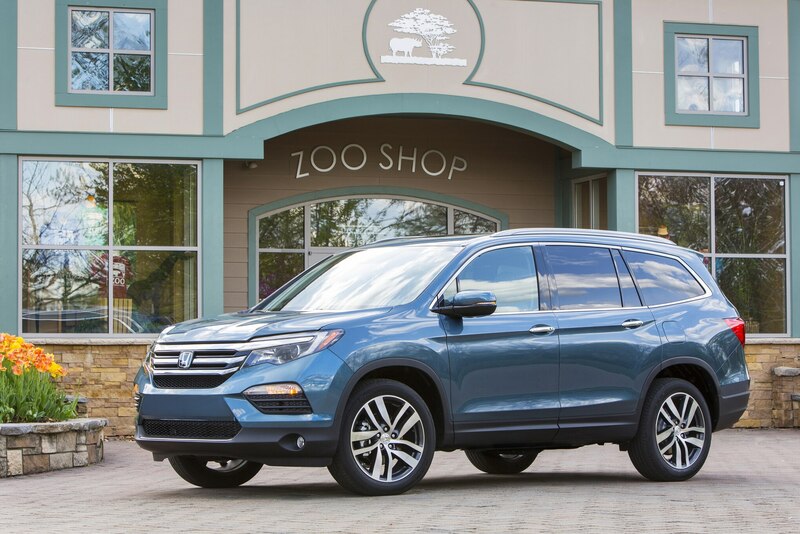 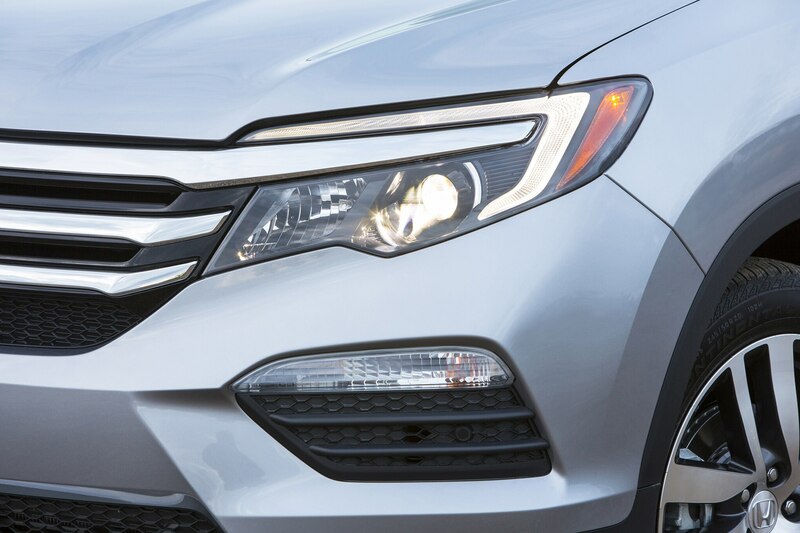 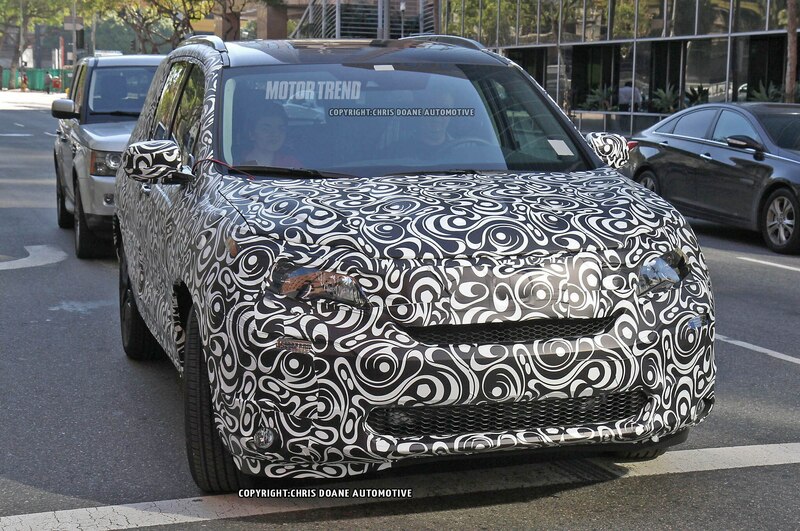 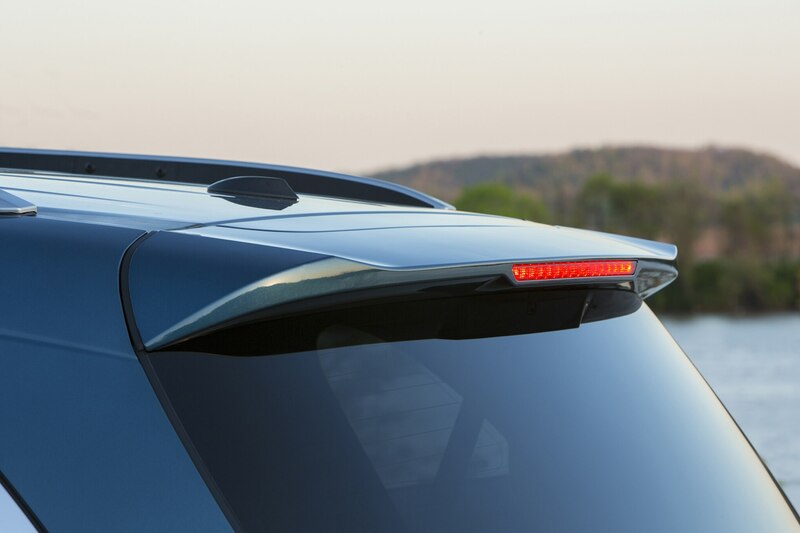 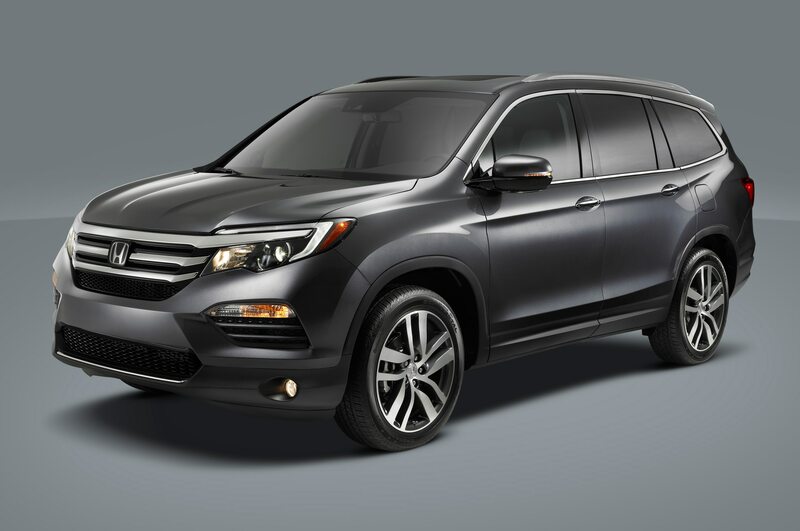 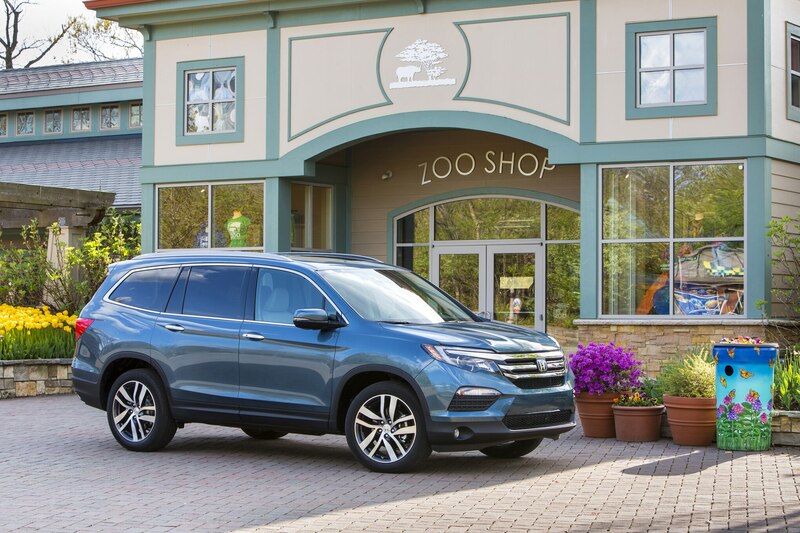 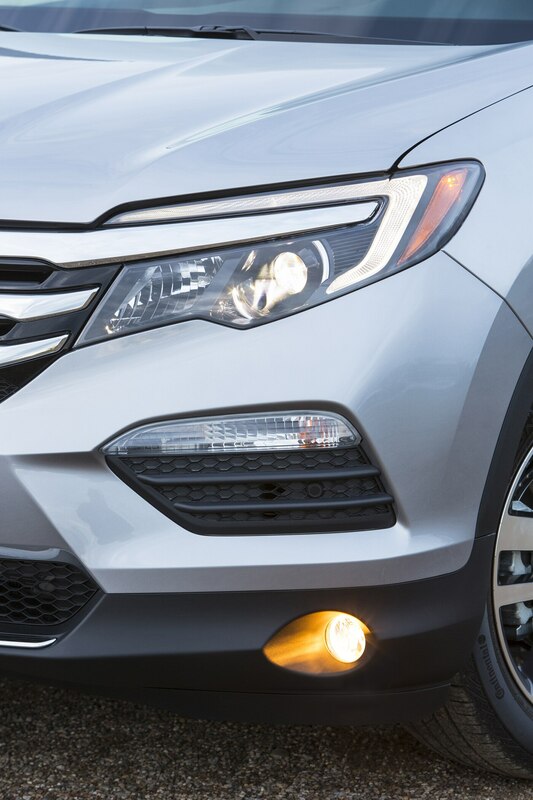 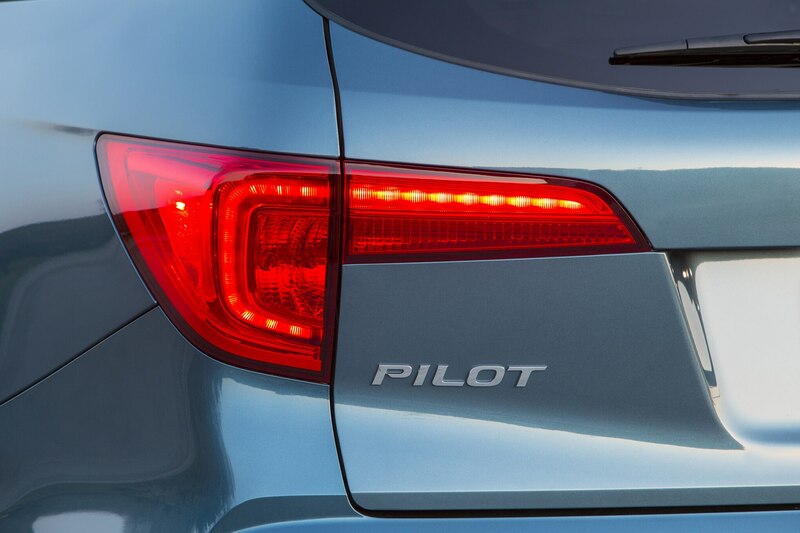 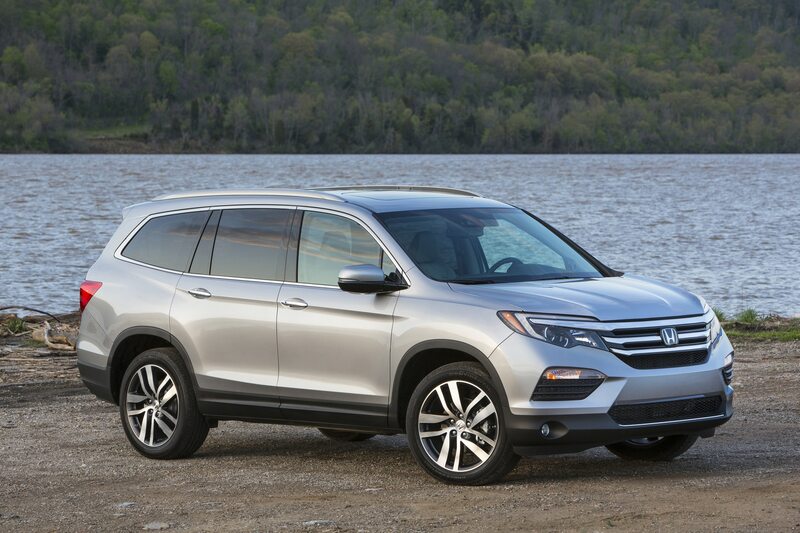 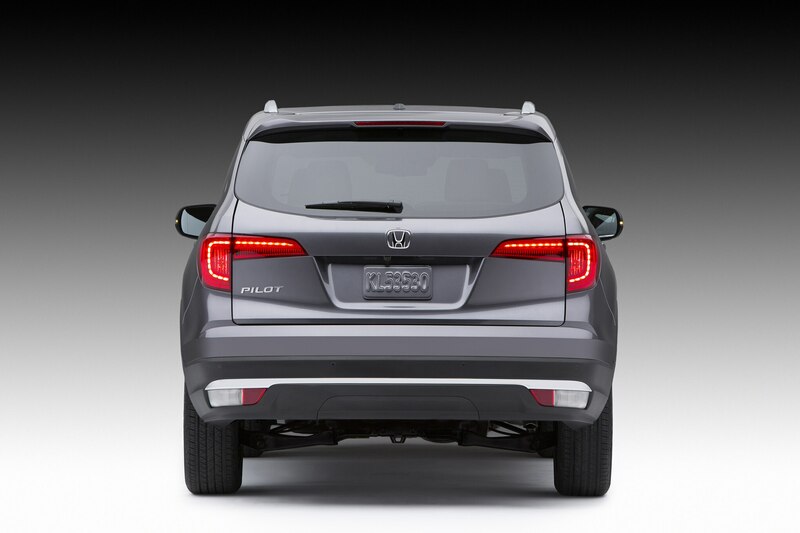 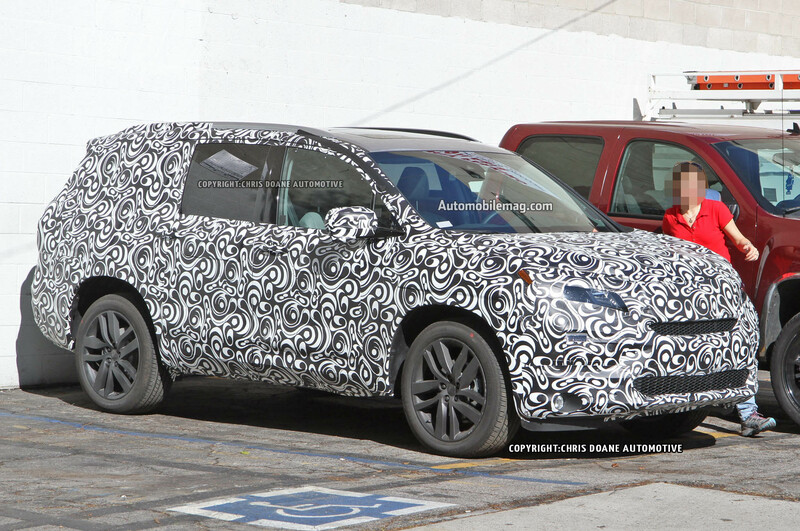 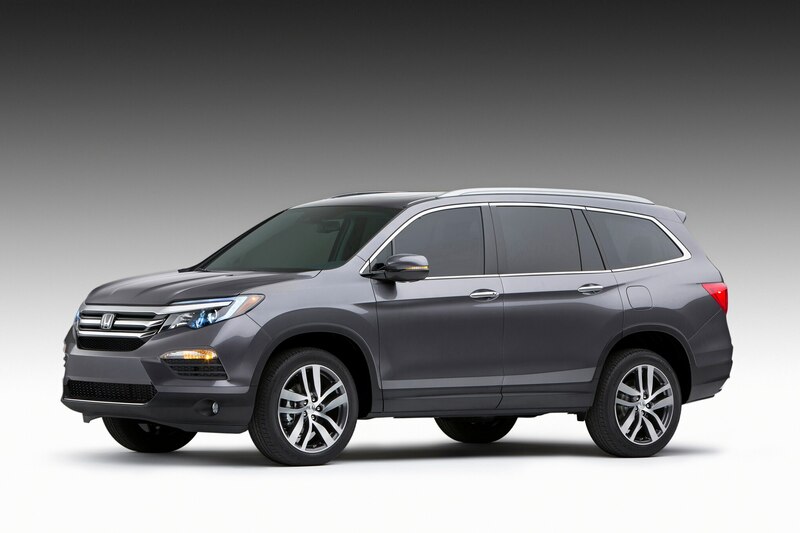 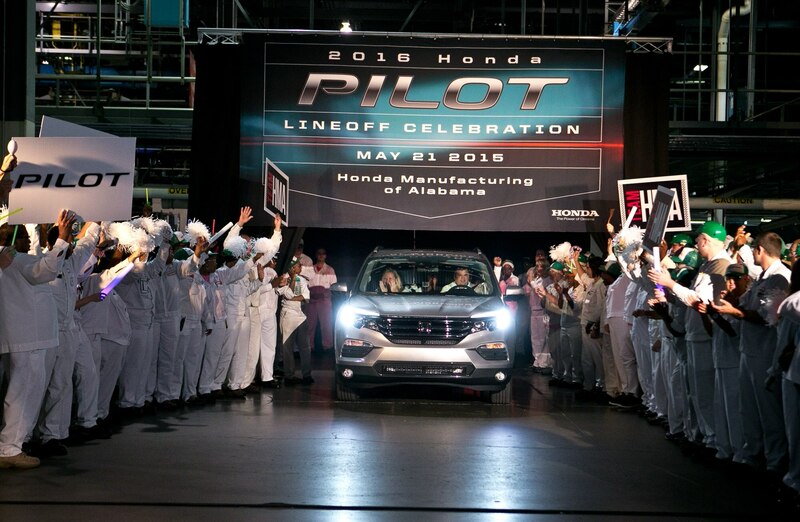 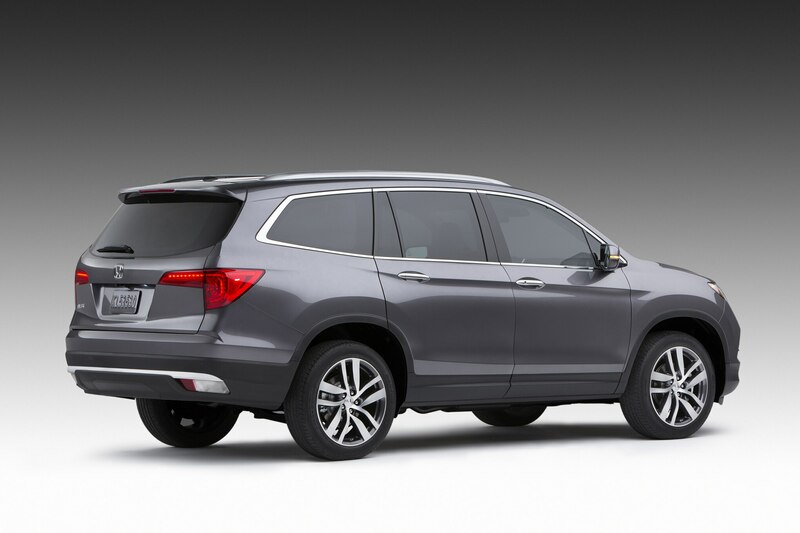 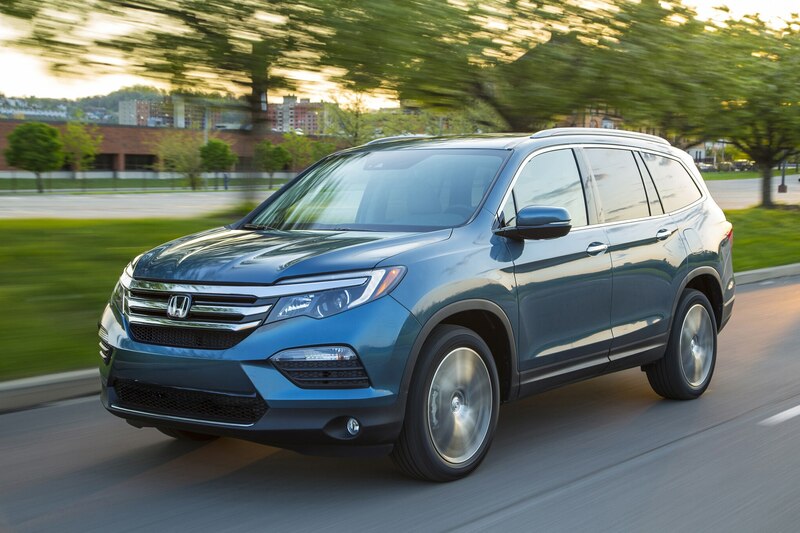 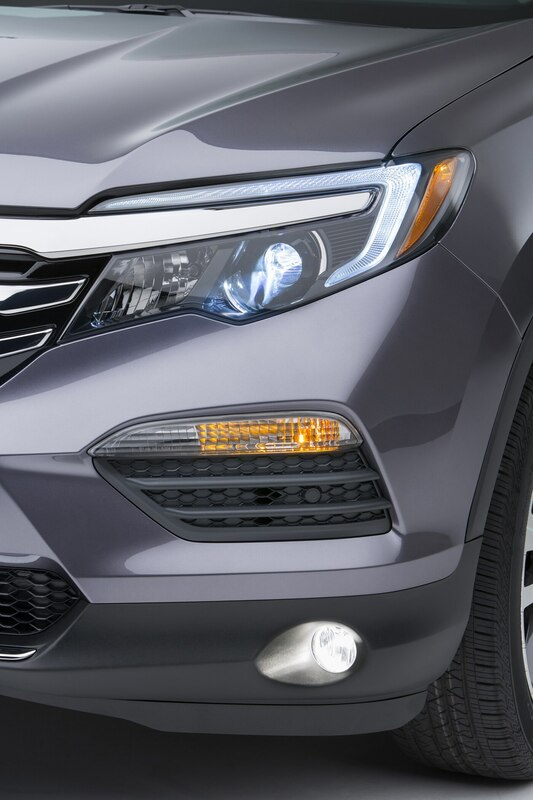 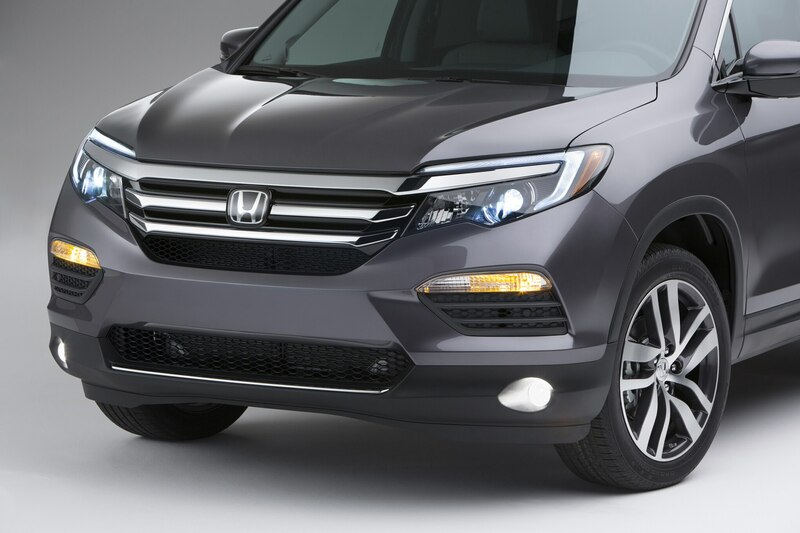 Relying heavily on computer-aided design, the Alabama-built 2016 Pilot is the first Honda model developed without physical preproduction prototypes. 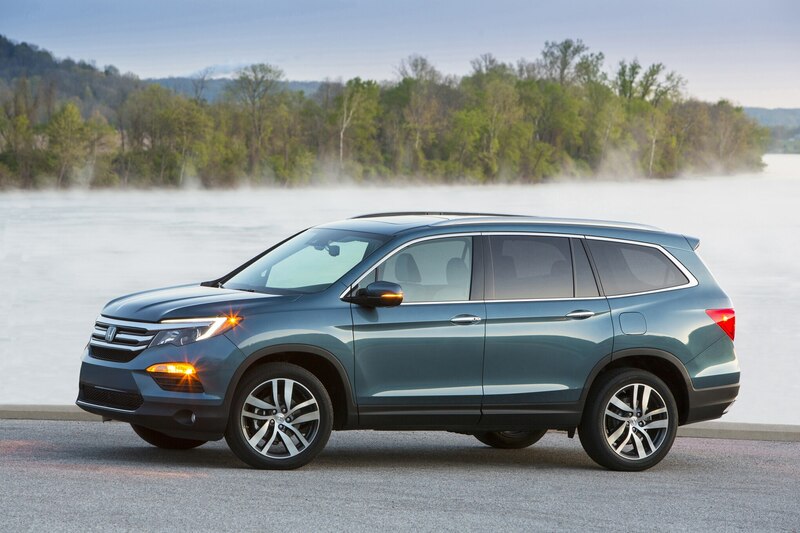 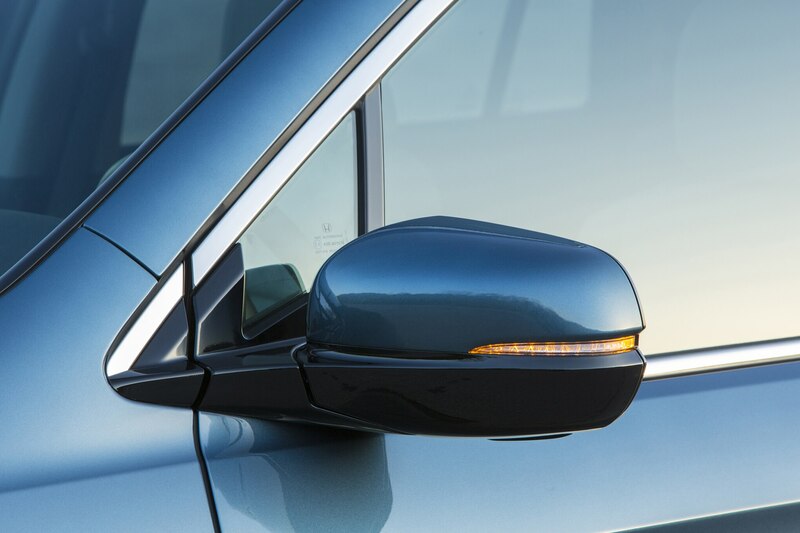 The Honda Sensing system includes collision mitigation braking, forward collision warning, lane keeping assist, adaptive cruise Control, lane departure warning, and road departure mitigation. 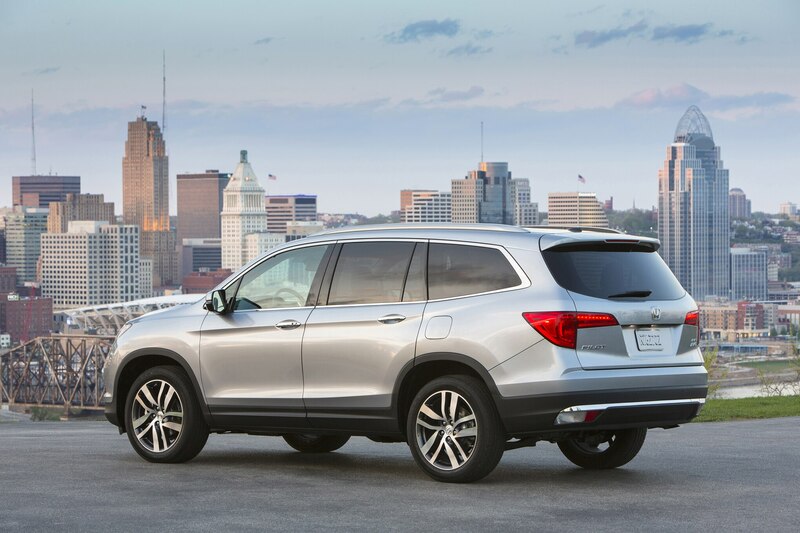 American Honda projects that 11 of its 2016 Honda and Acura models will earn top safety scores from the IIHS and NHTSA. 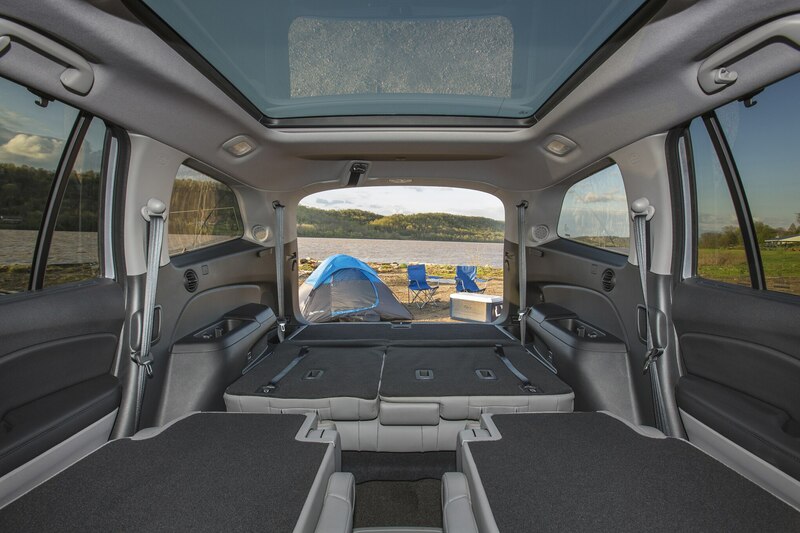 Room for the whole family to butcher Weezer.